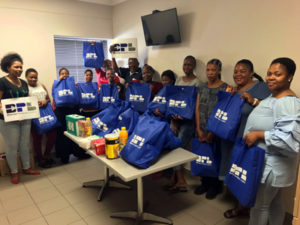 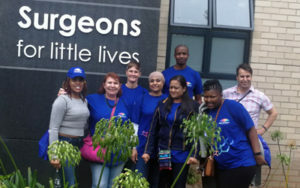 We had a training session for all the volunteers at the beautiful new Surgeons for little lives offices at Baragwanath Hospital. 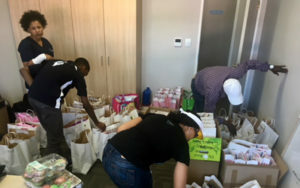 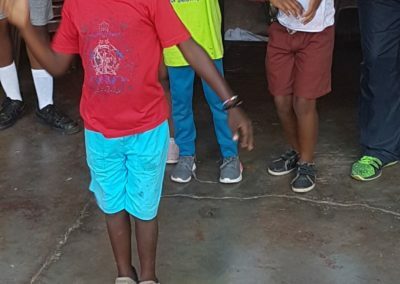 There were six attendees from Surgeons for little lives and two new volunteers/crew members from the Just Footprints Foundation. 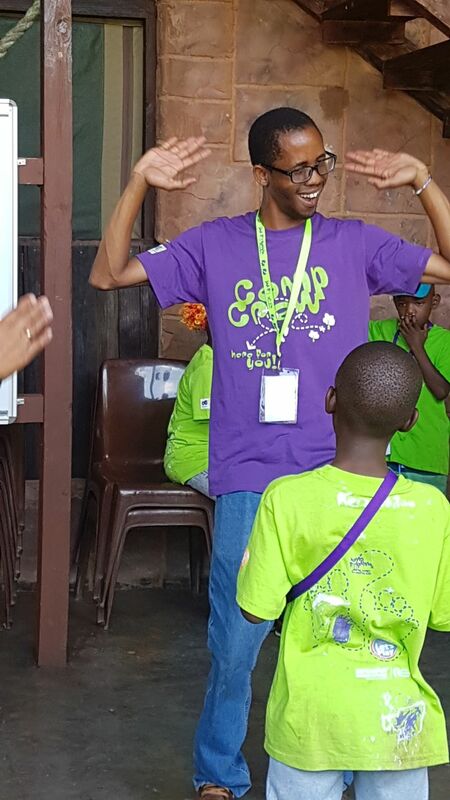 It was great to share our camp goals, roles and responsibilities and programme for the camp. 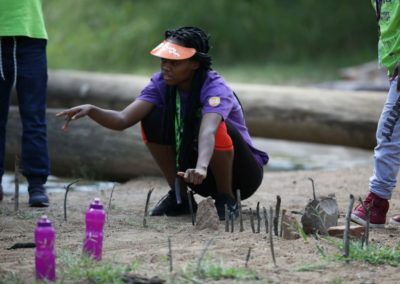 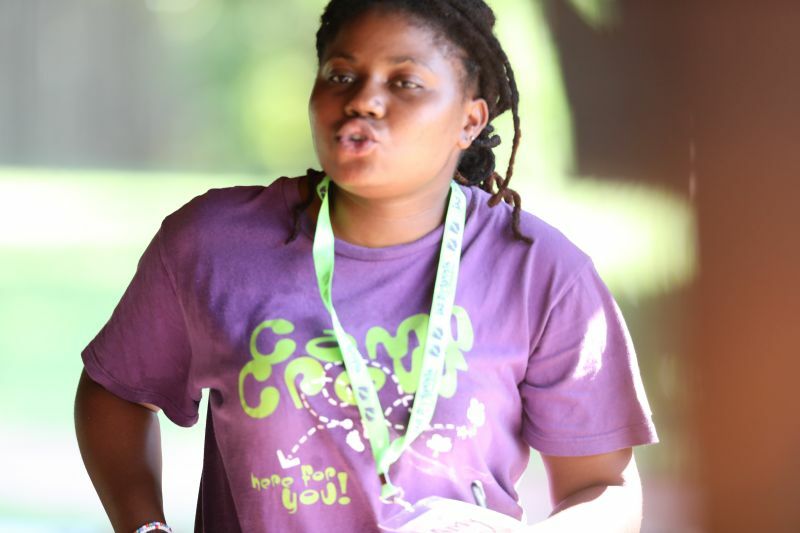 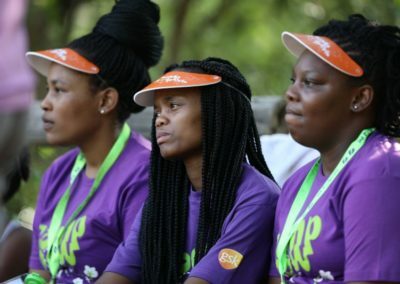 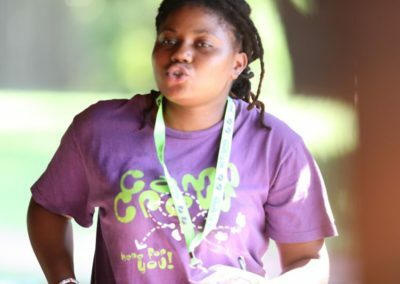 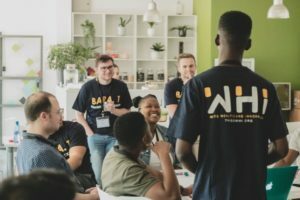 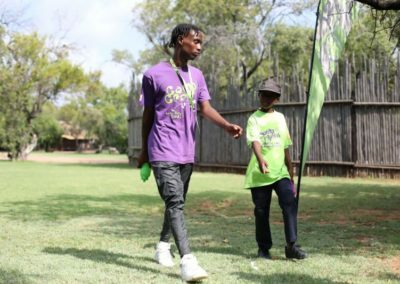 It was so informative to speak to each attendee about the campers that will attend the camp which made it possible for us to equip the site and prepare the crew for all the special requirements and requests made by them. 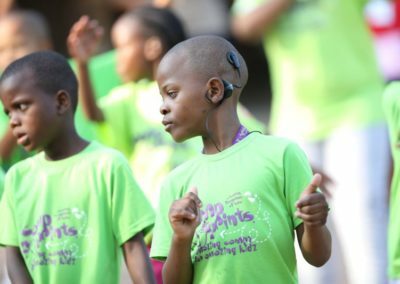 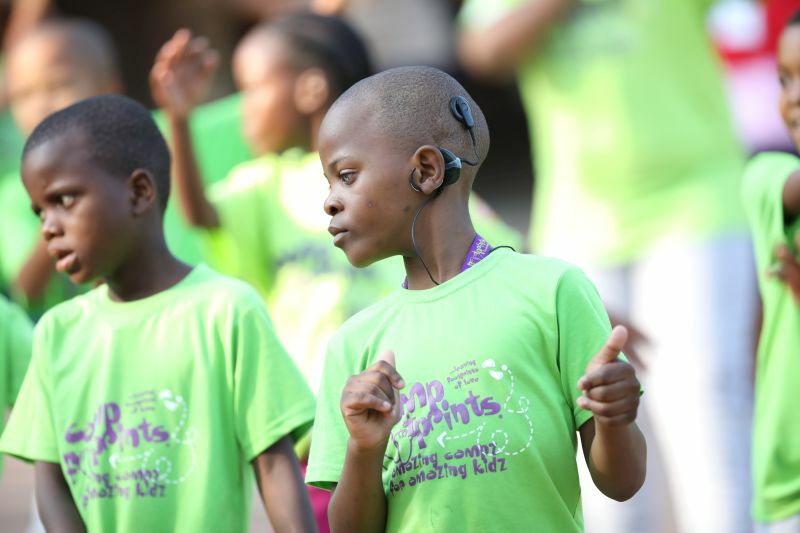 Two campers attended the camp that had cochlear implants. 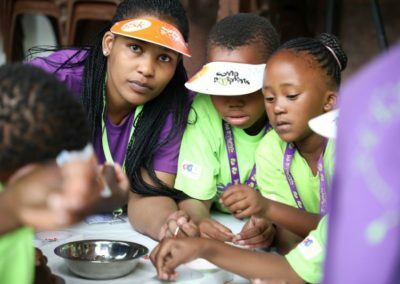 The Surgeons for little lives team organized a specialist to be part of the training session to explain and guide us on the device. 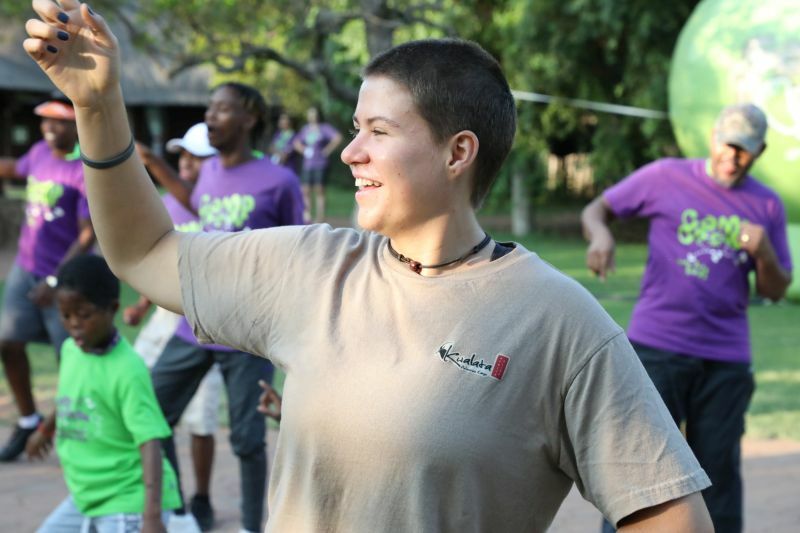 Each volunteer was eager and looking forward to joining us as a Camp Footprints crew member. 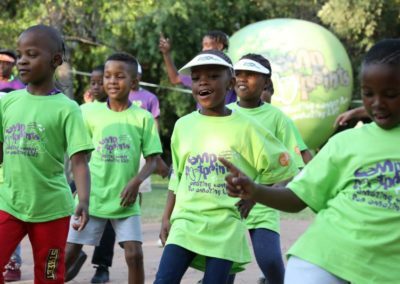 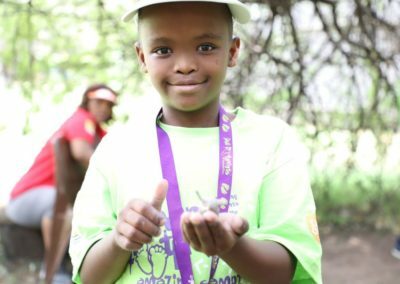 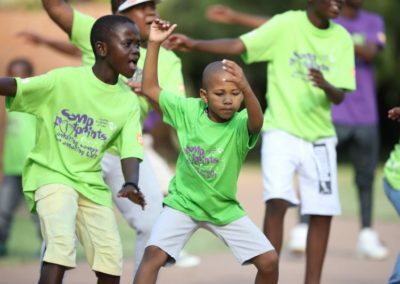 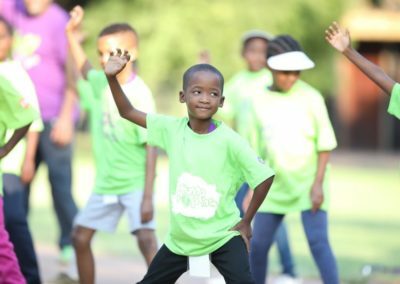 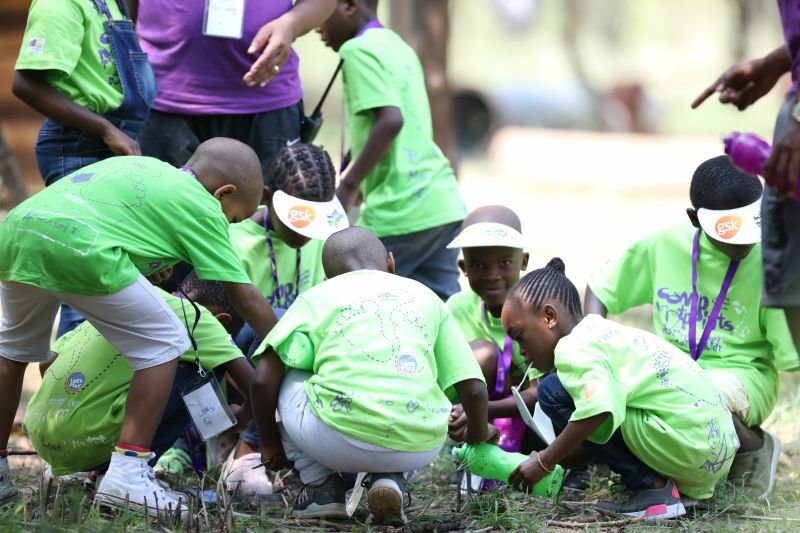 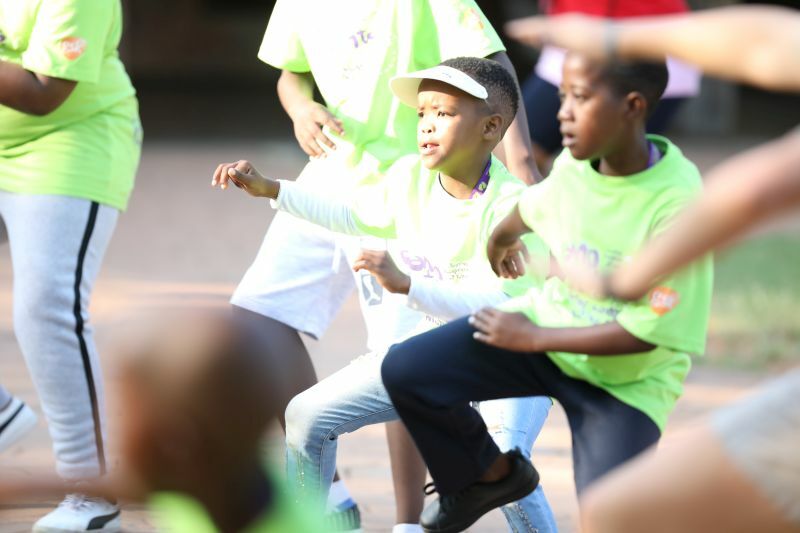 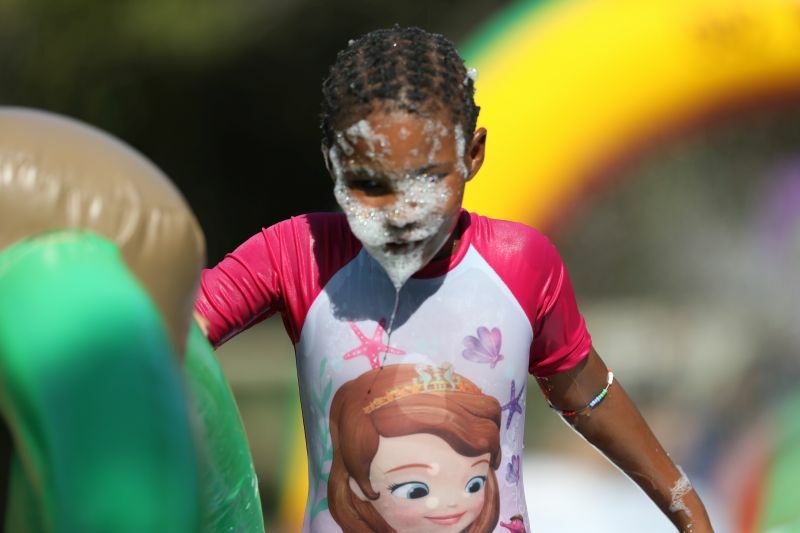 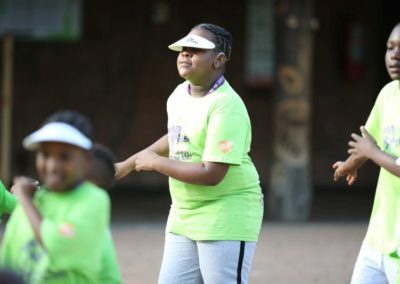 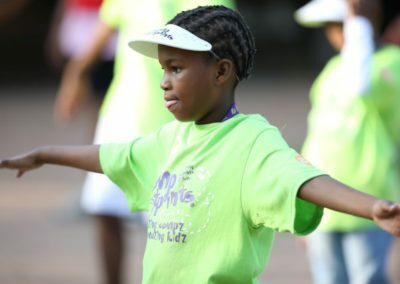 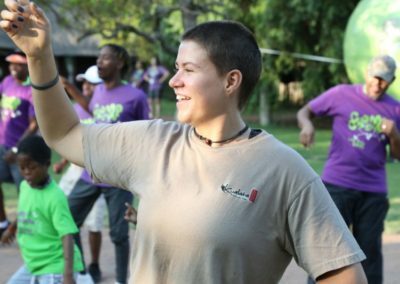 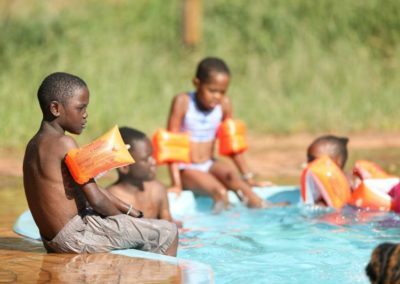 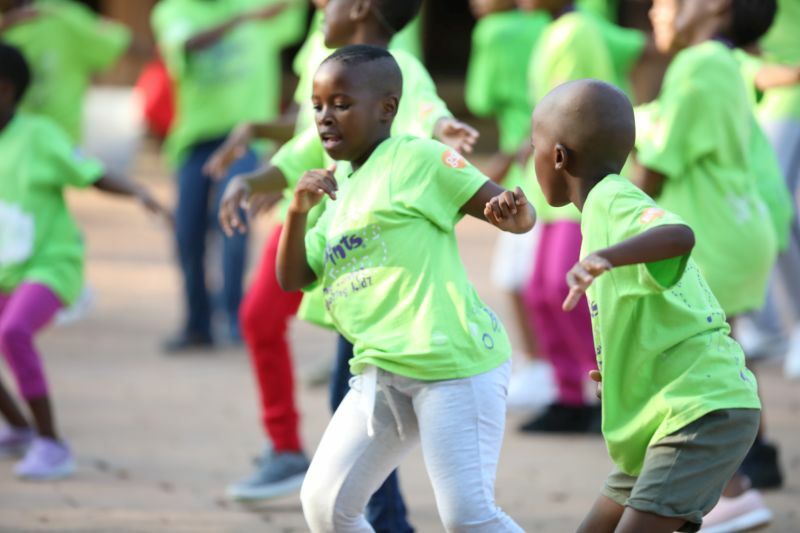 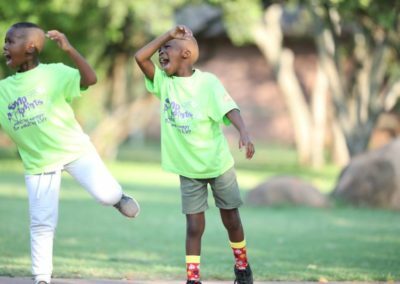 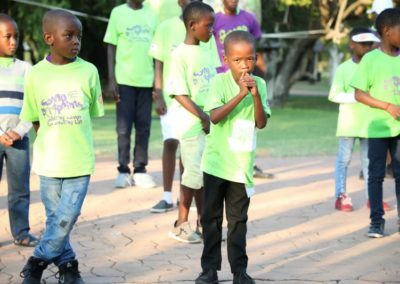 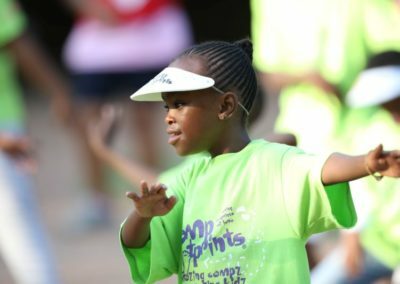 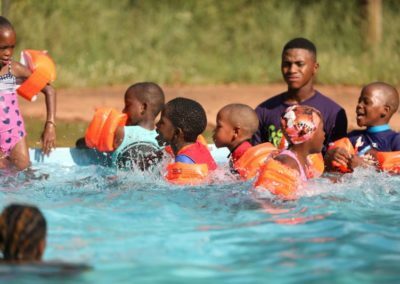 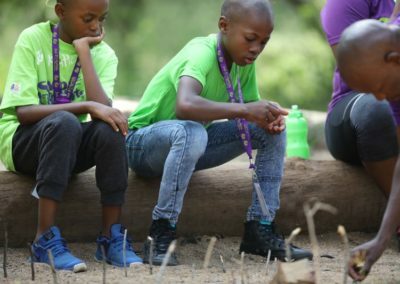 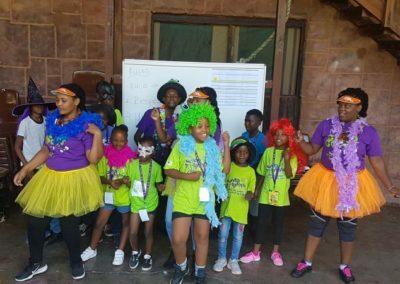 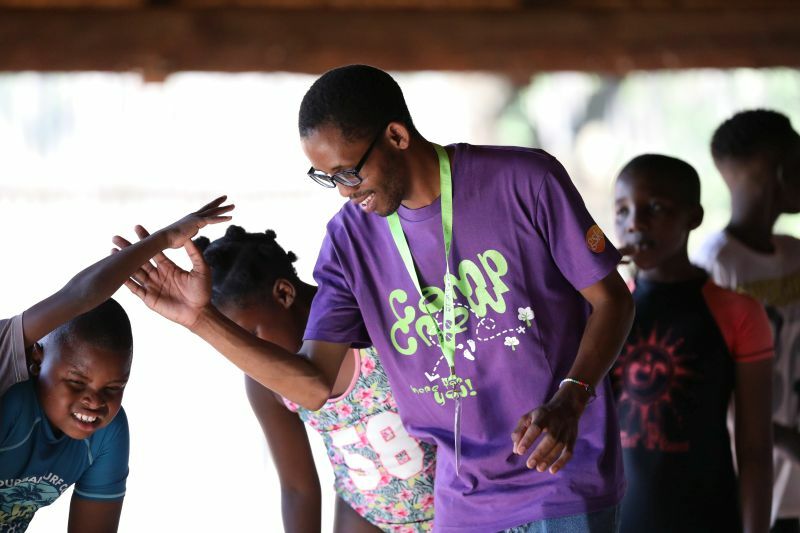 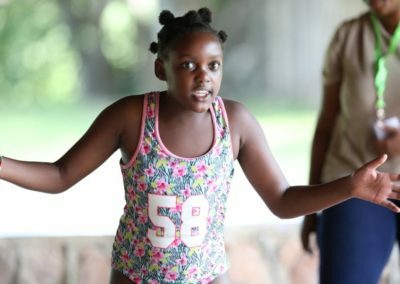 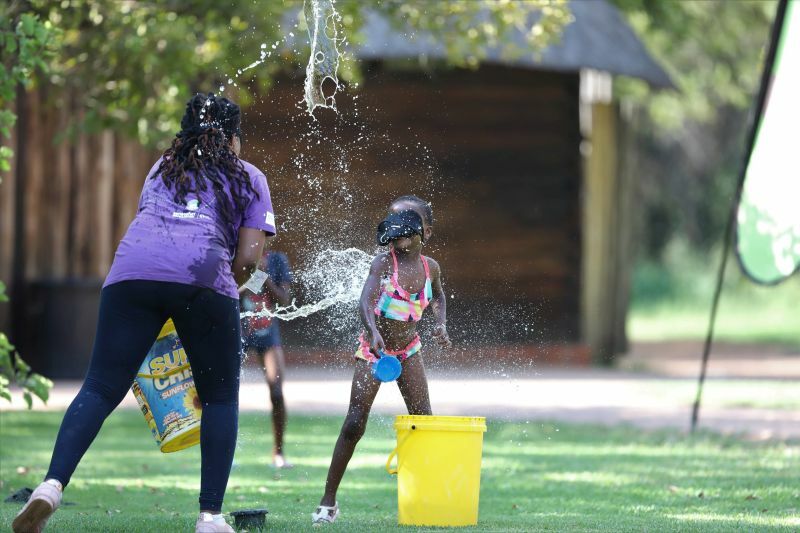 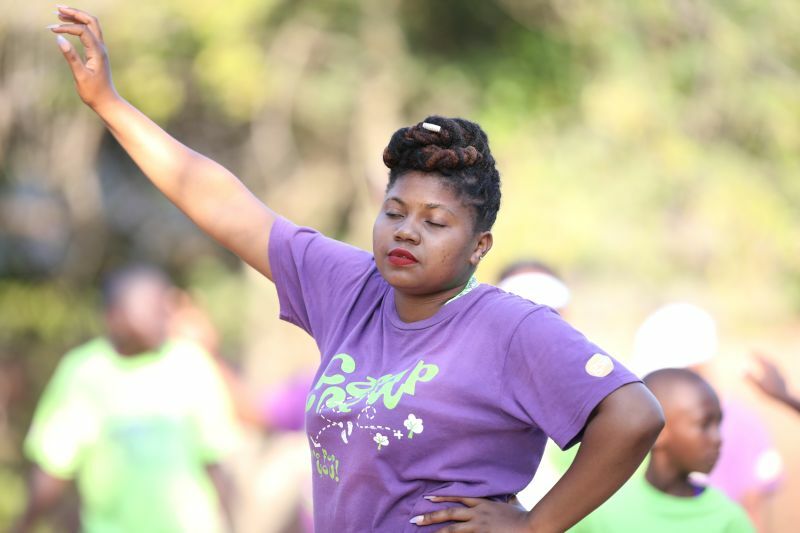 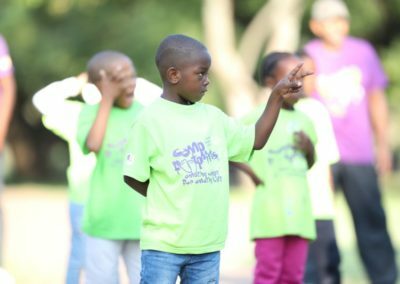 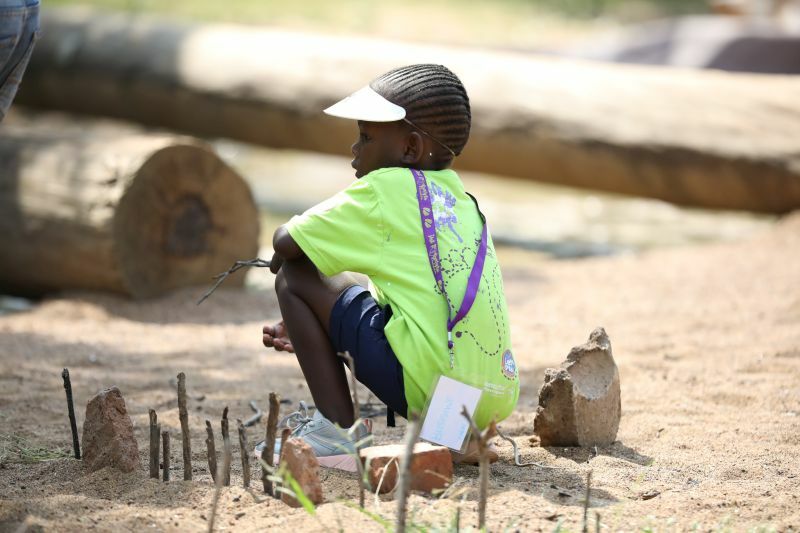 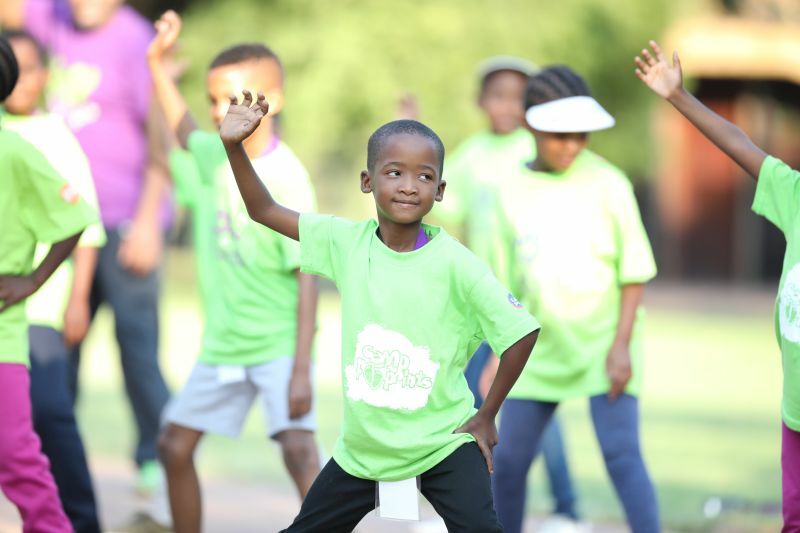 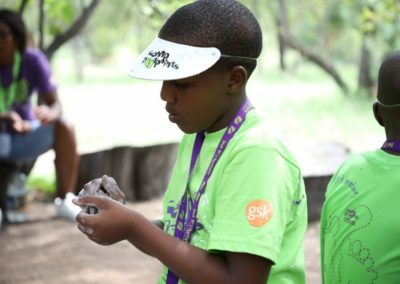 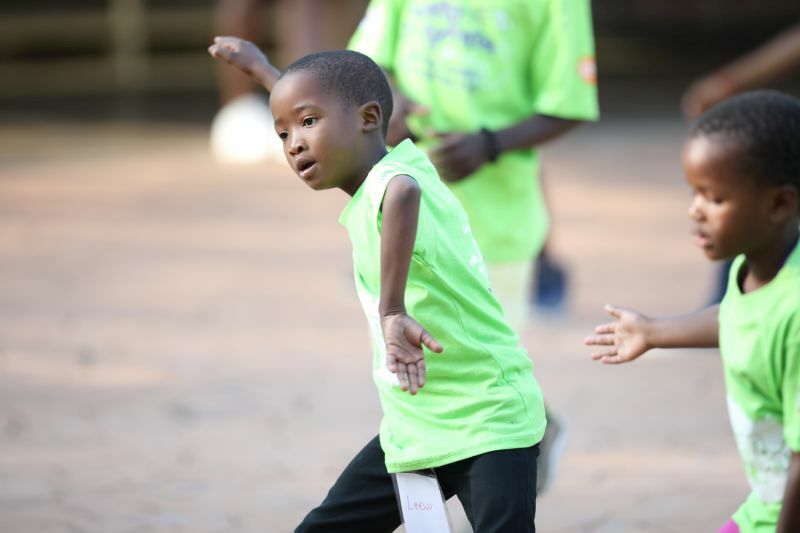 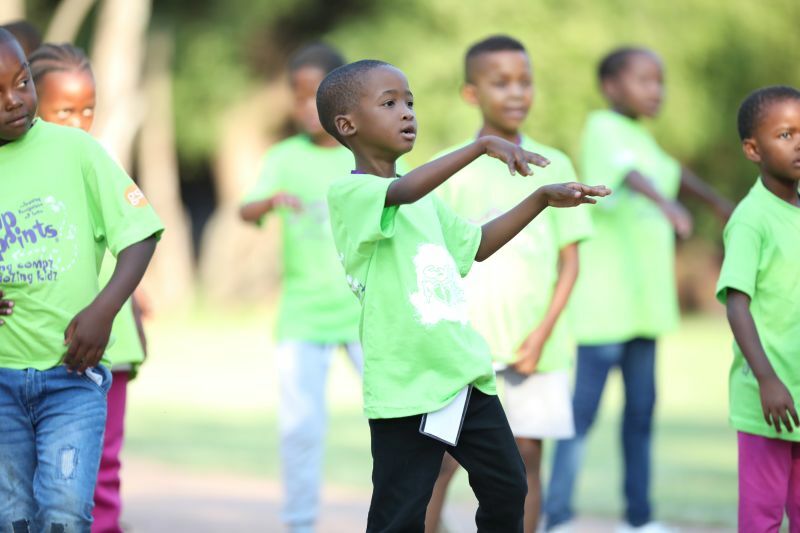 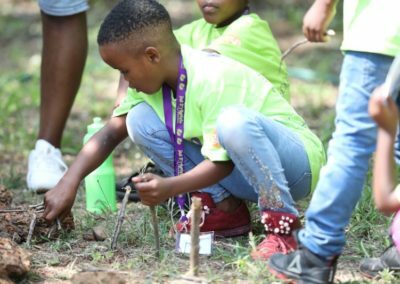 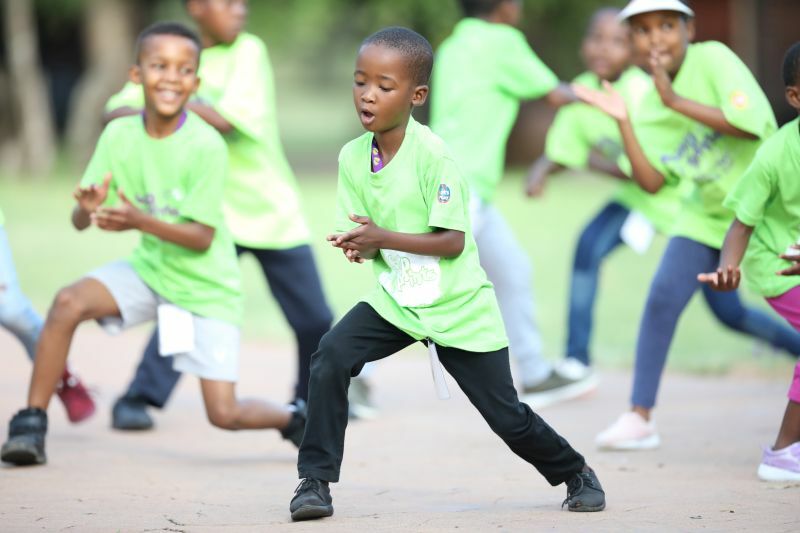 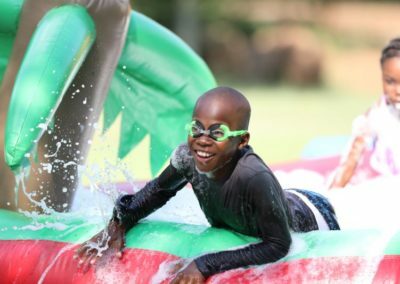 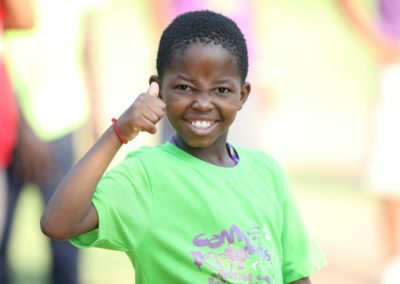 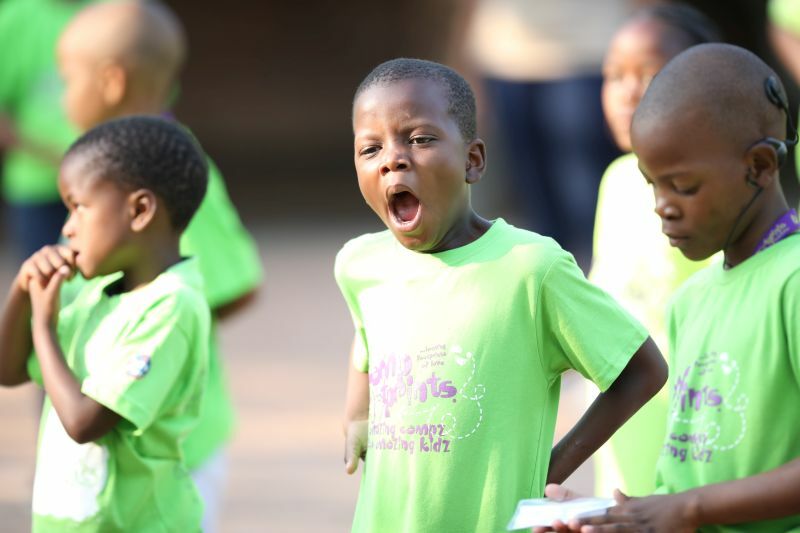 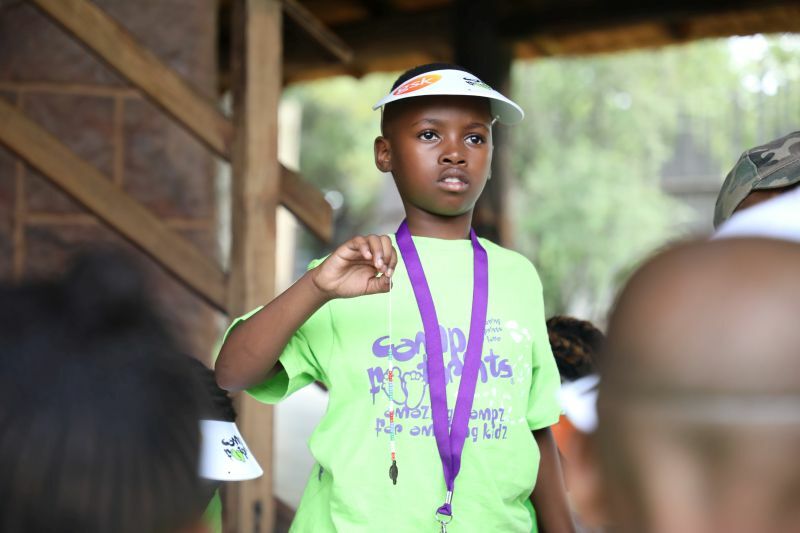 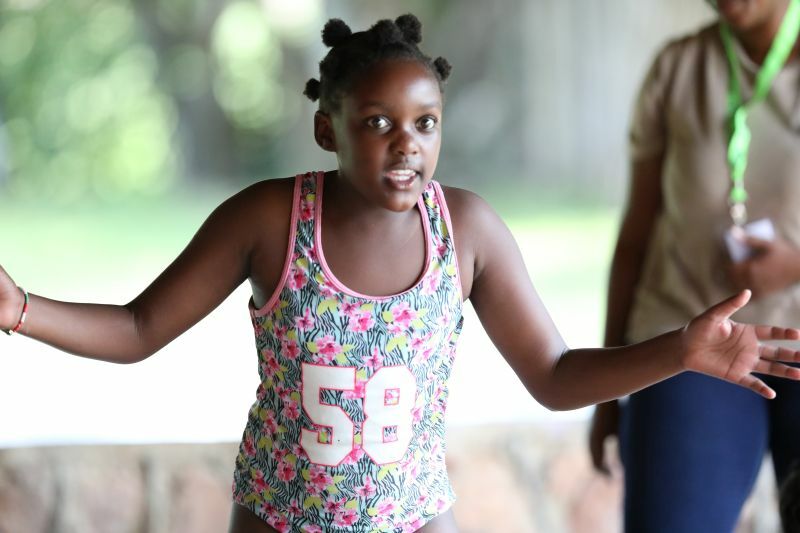 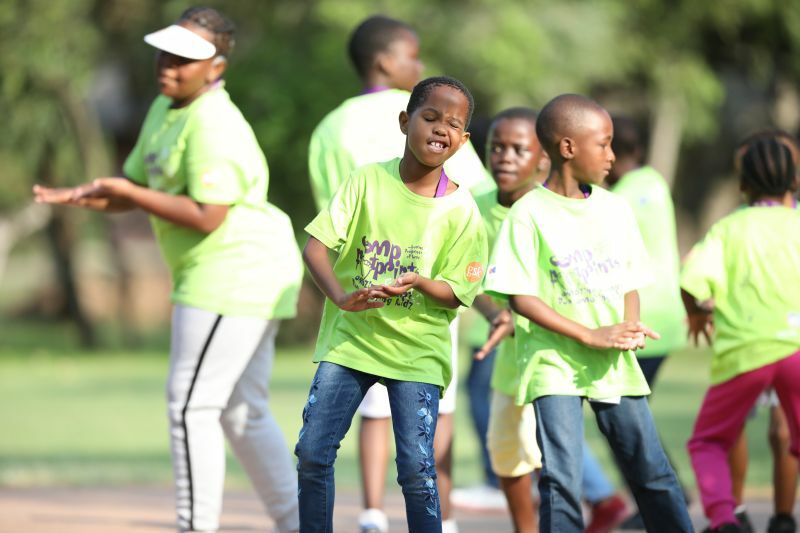 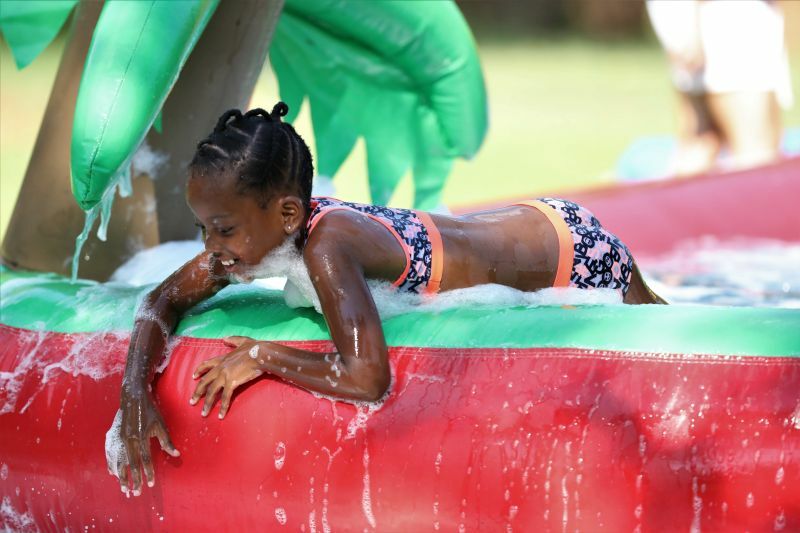 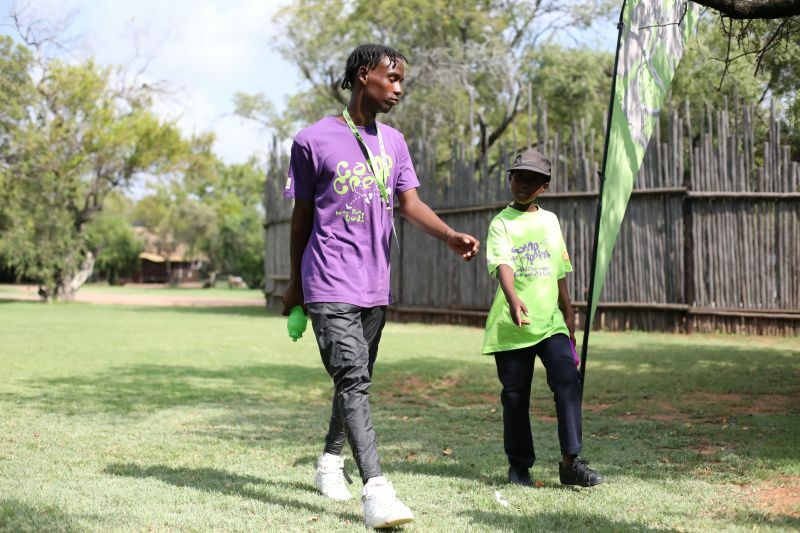 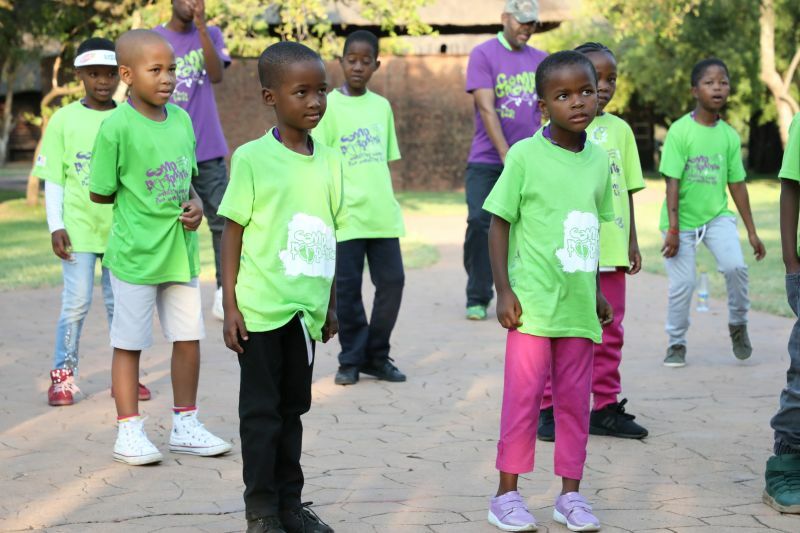 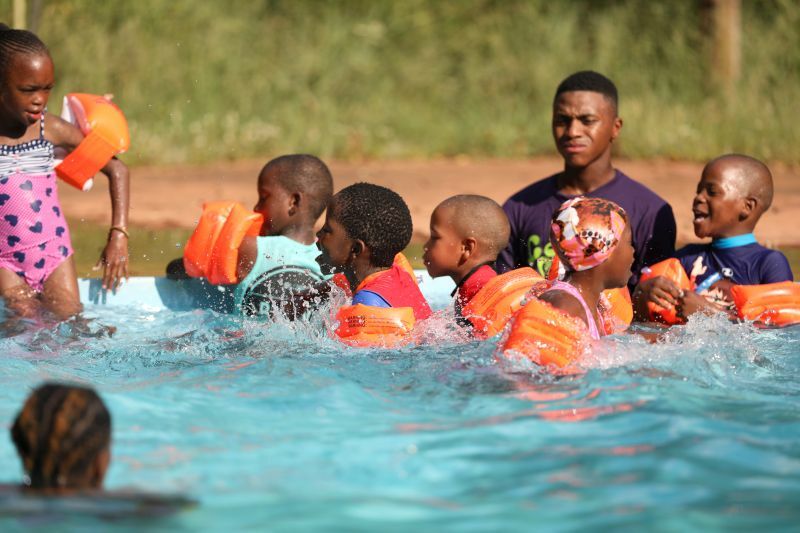 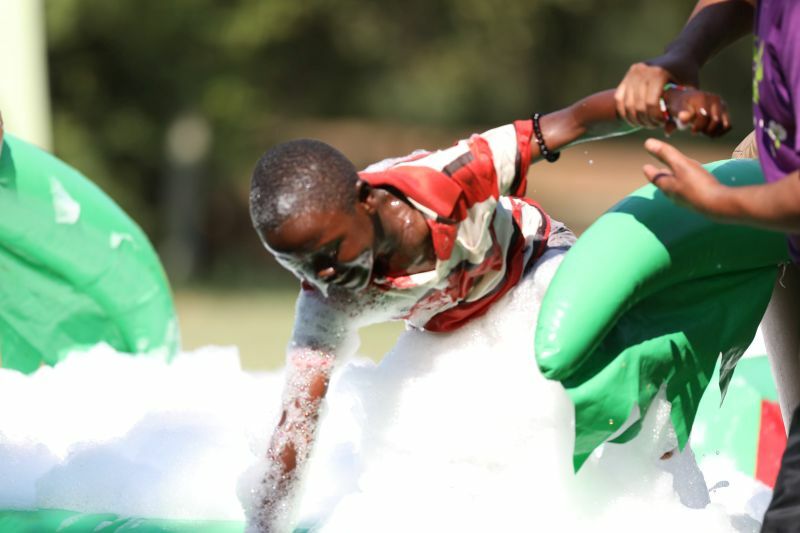 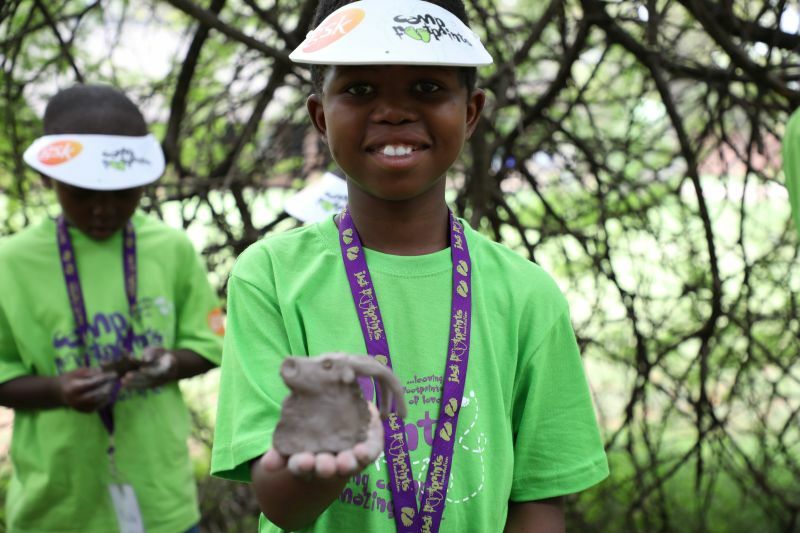 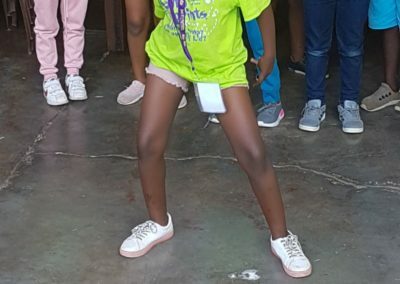 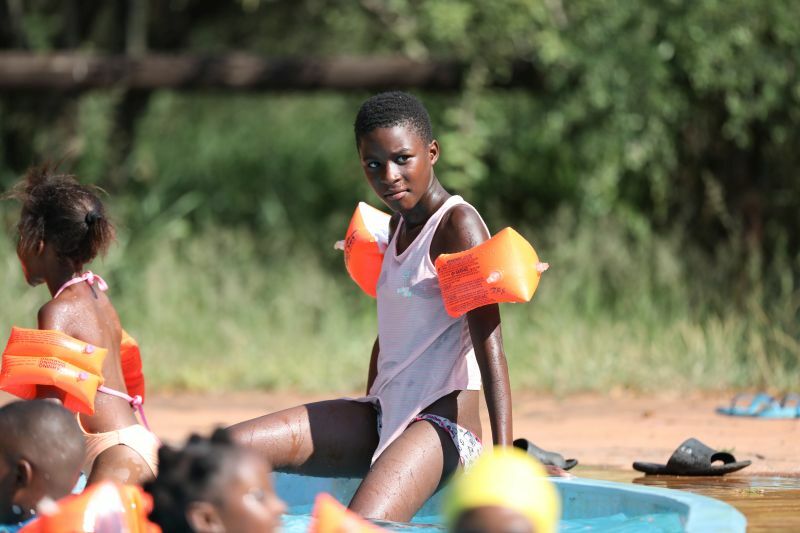 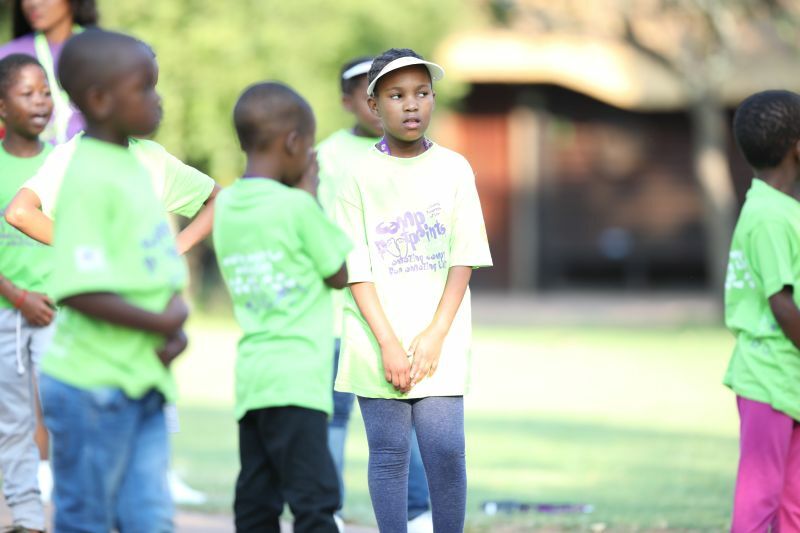 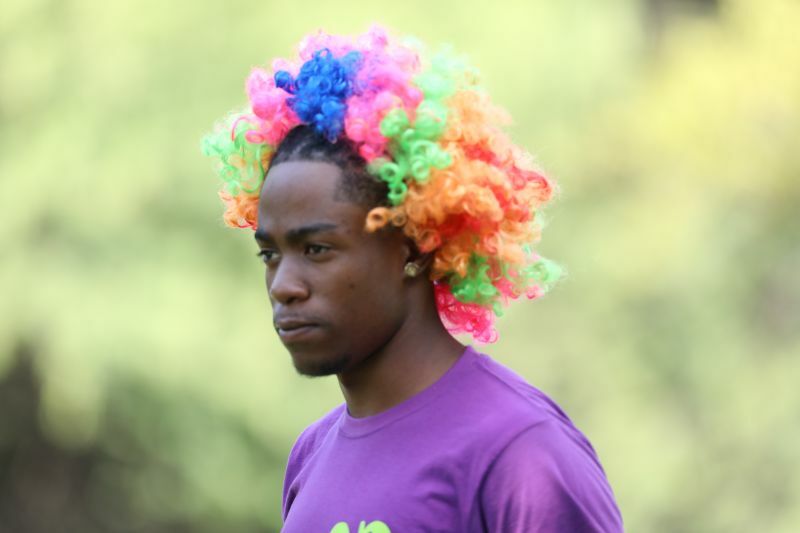 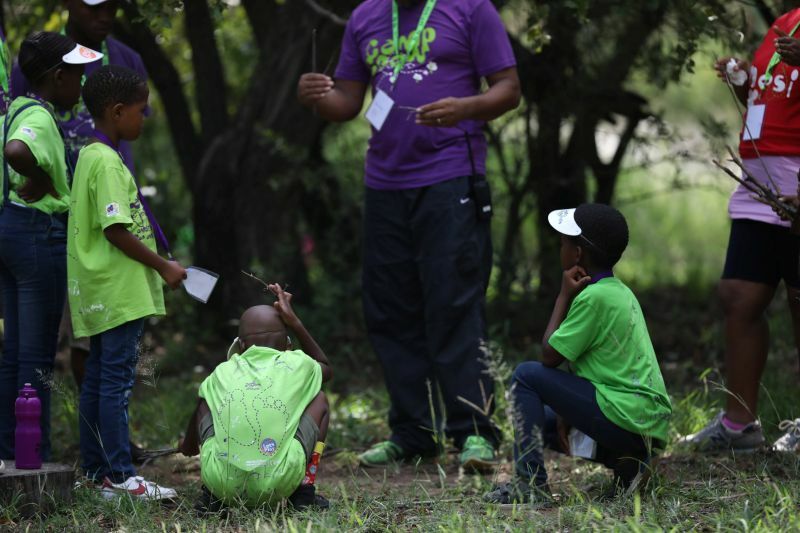 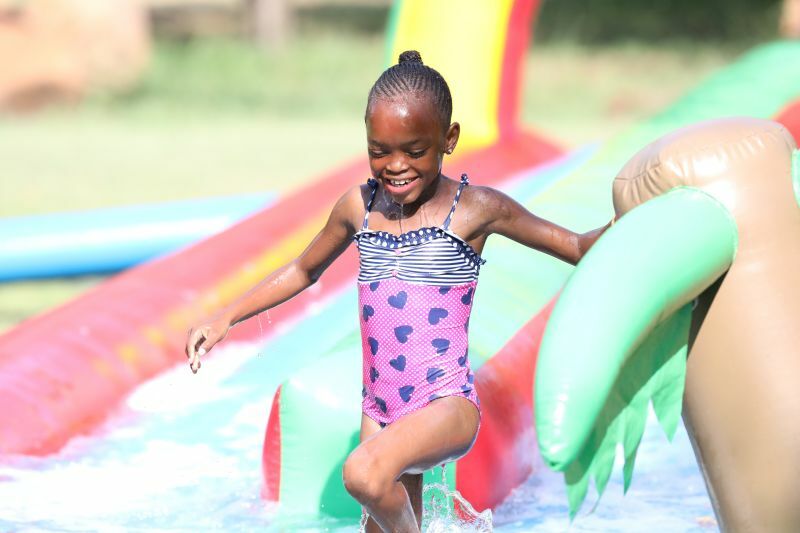 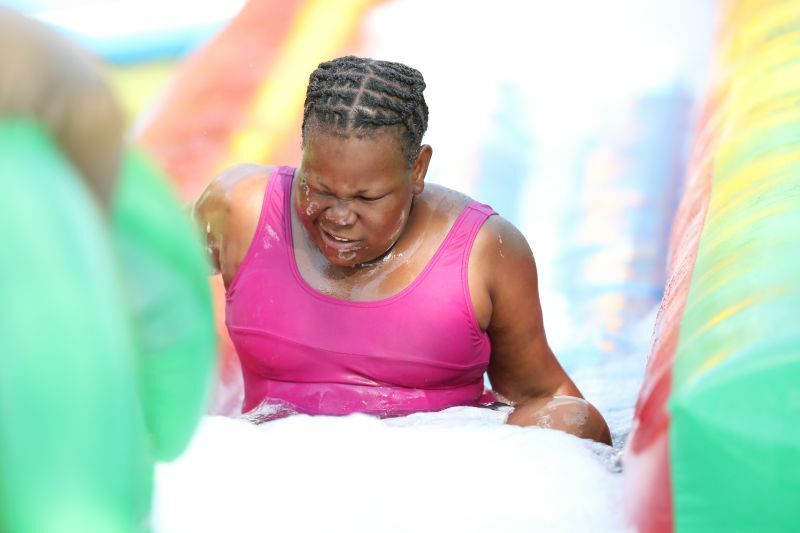 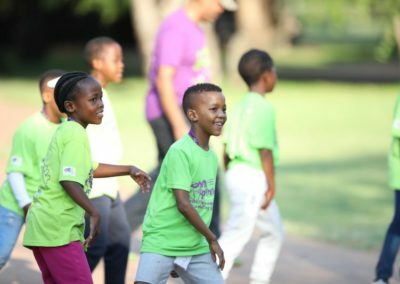 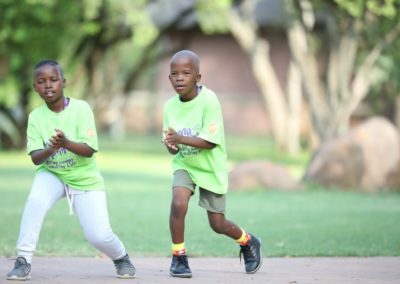 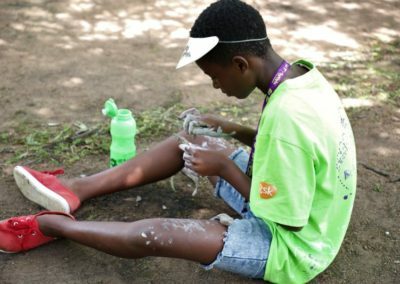 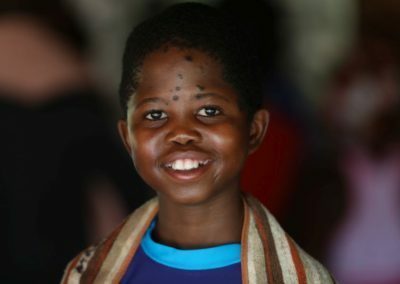 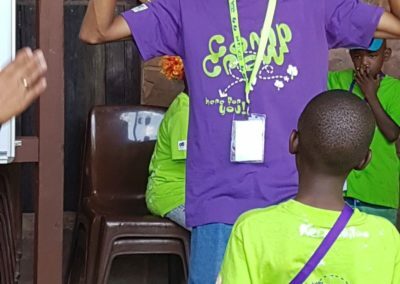 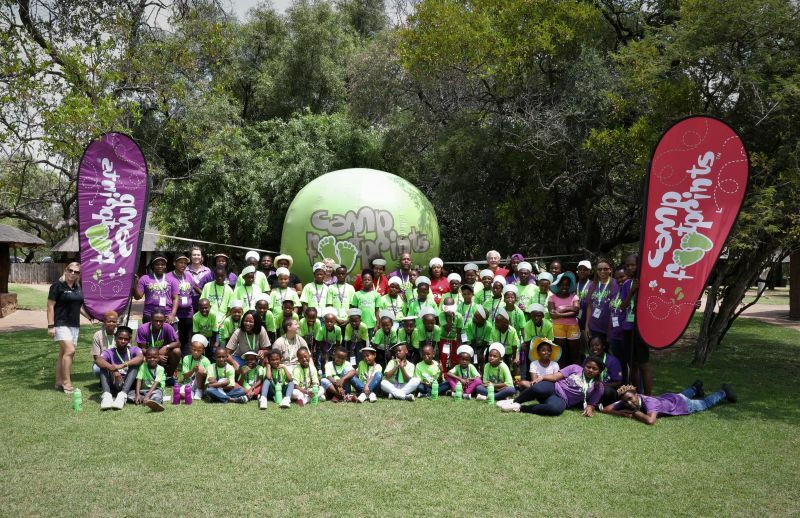 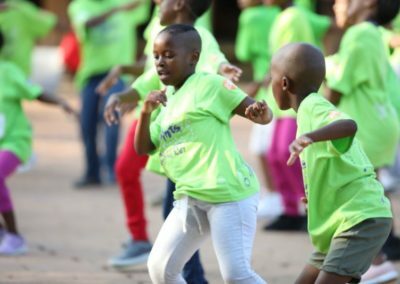 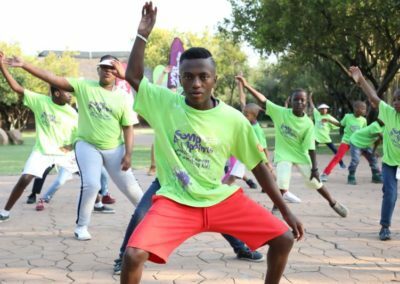 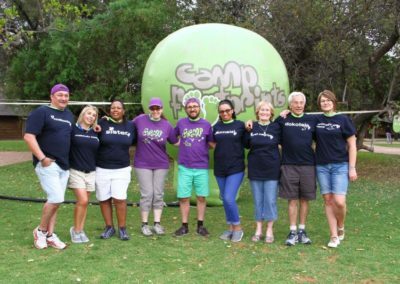 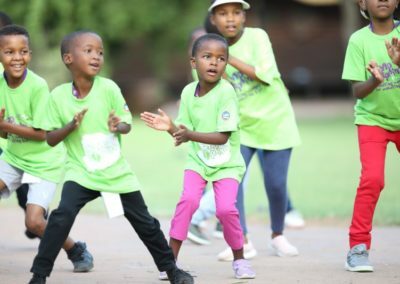 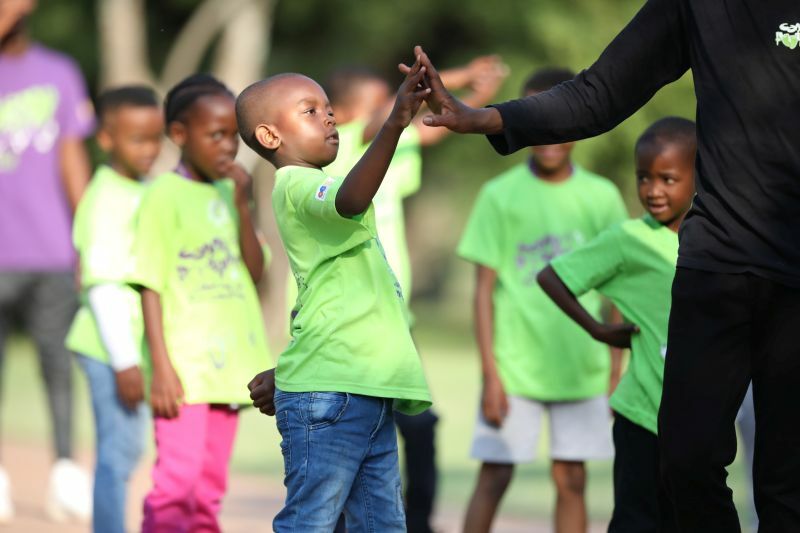 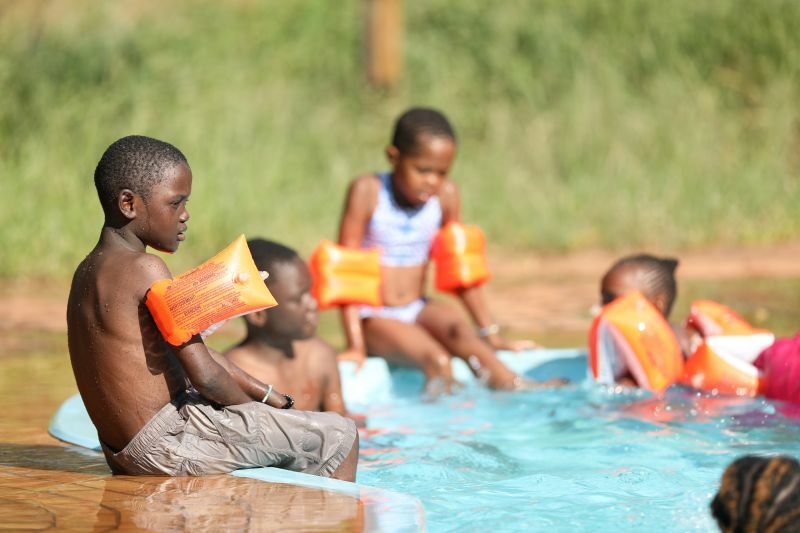 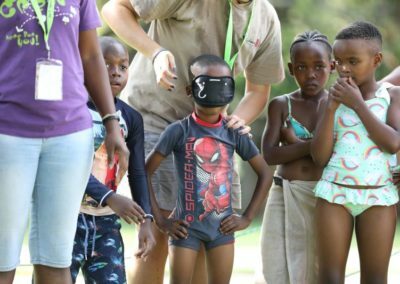 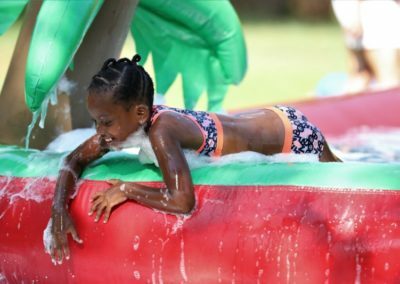 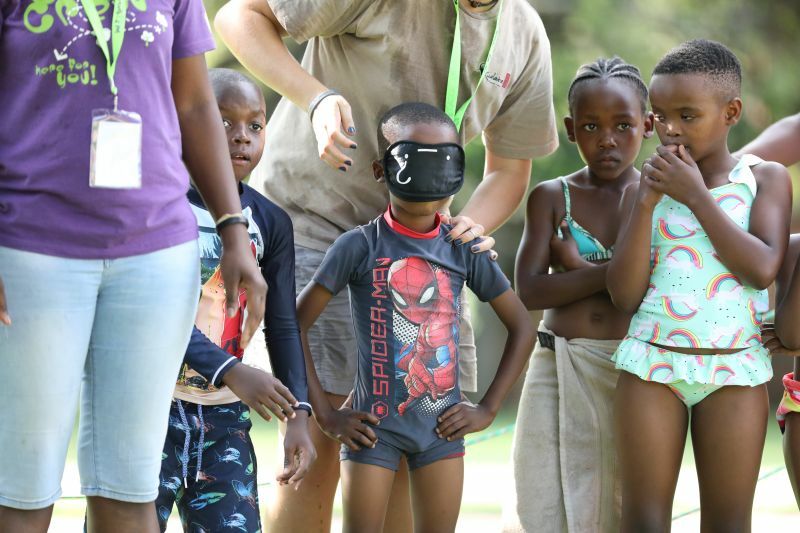 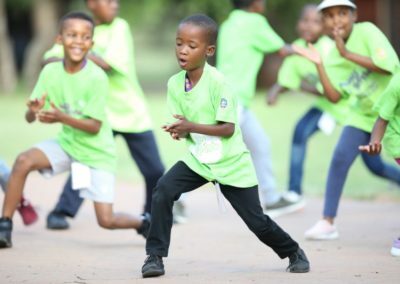 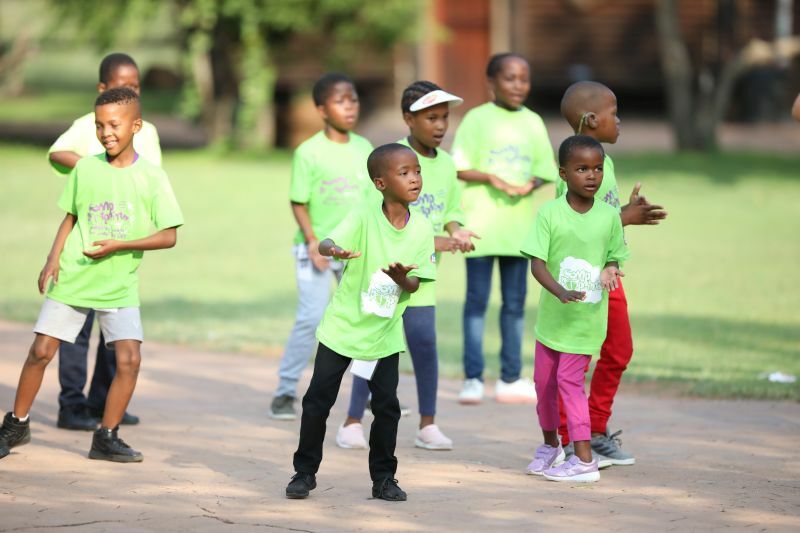 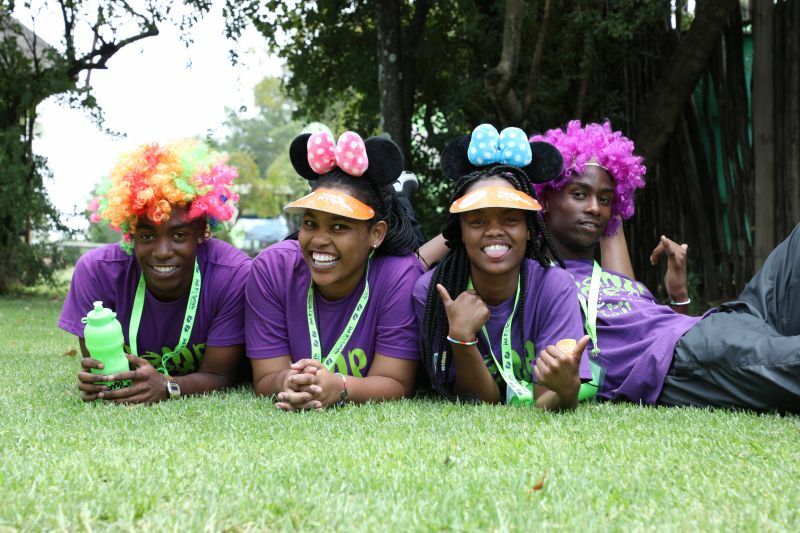 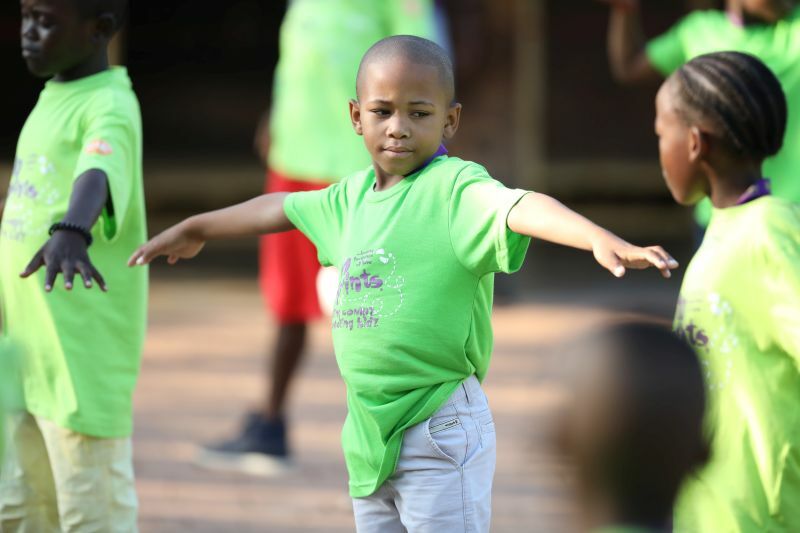 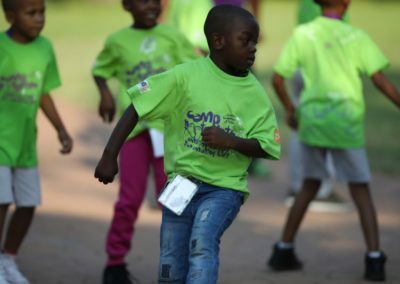 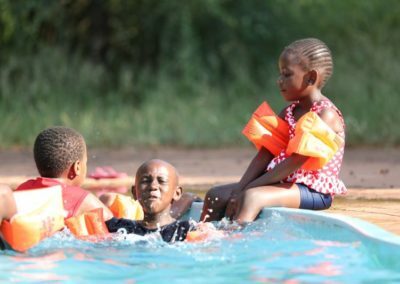 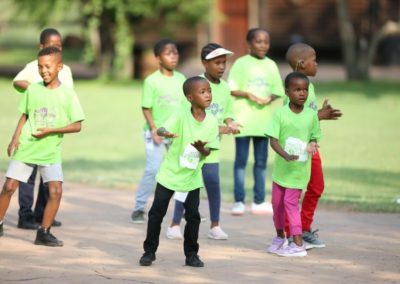 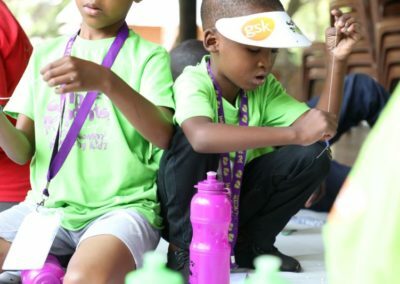 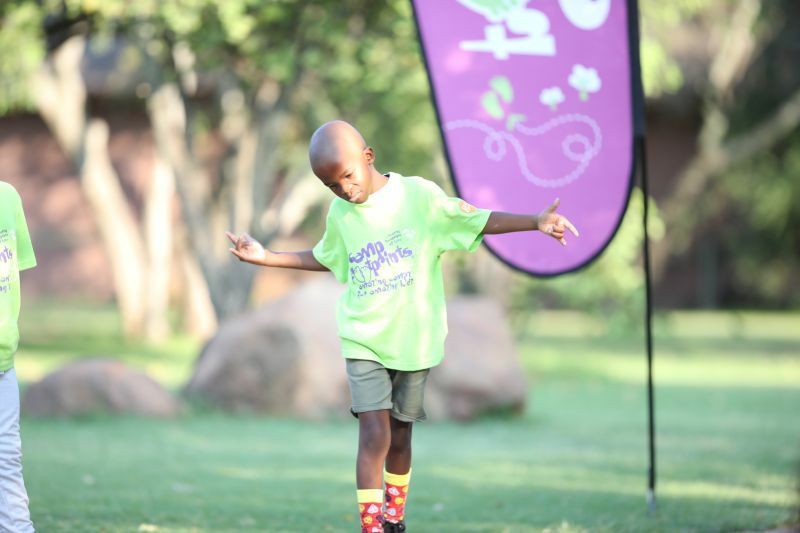 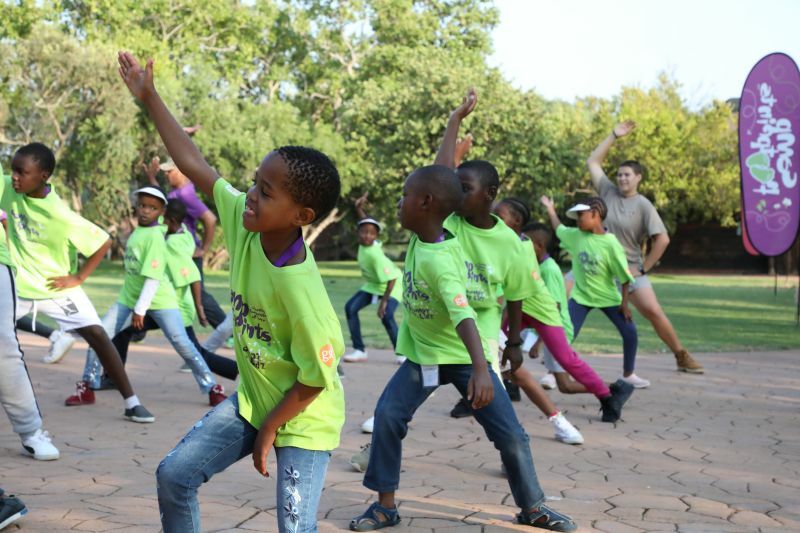 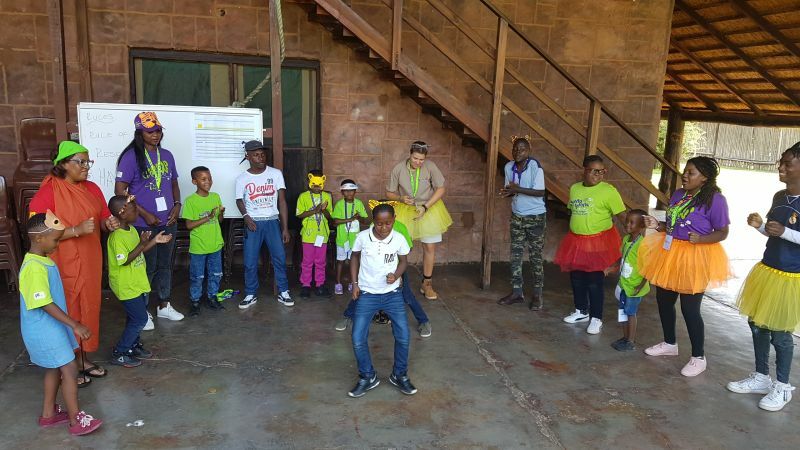 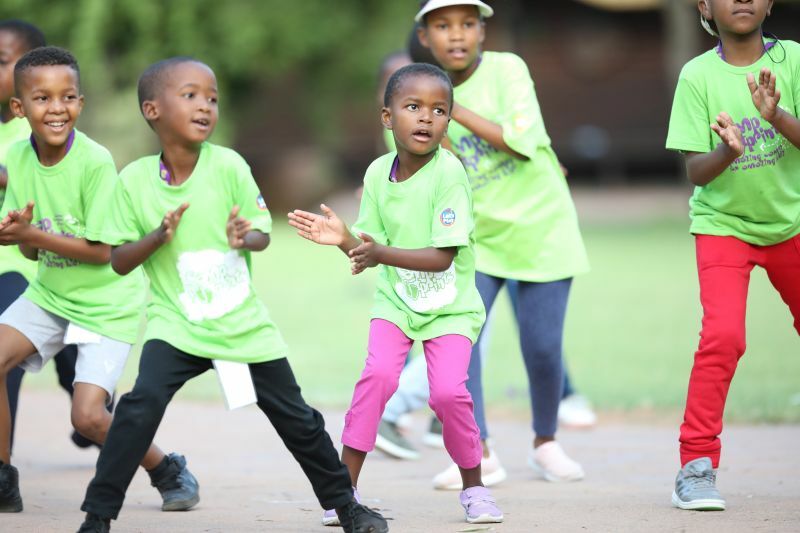 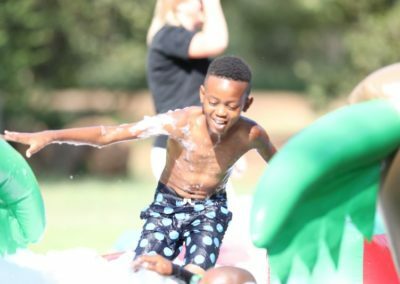 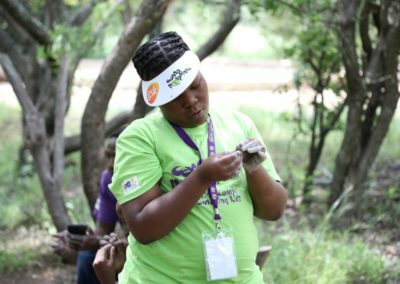 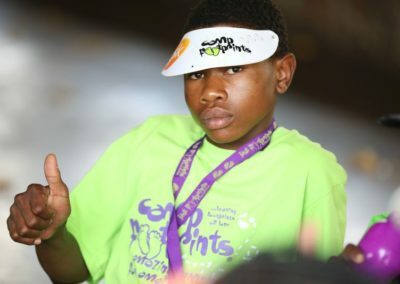 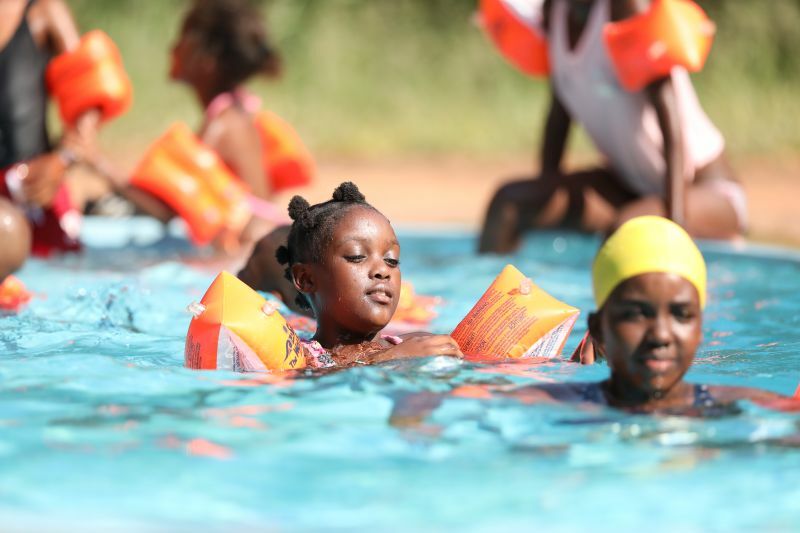 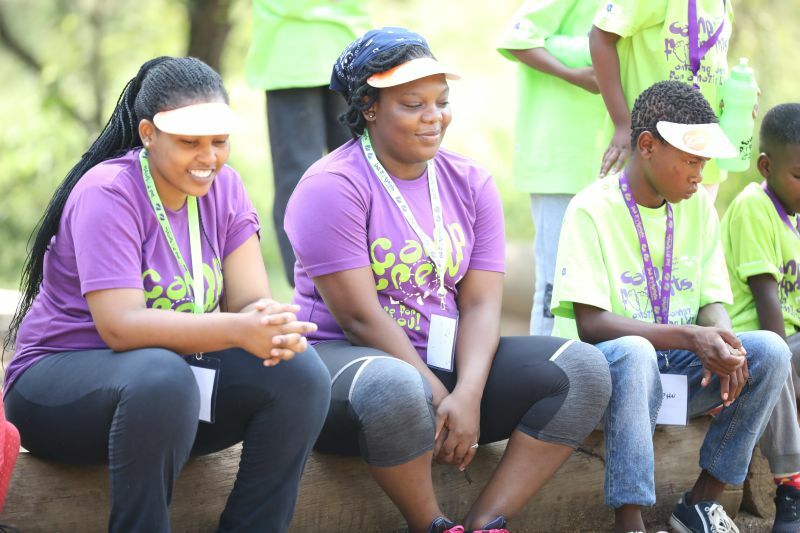 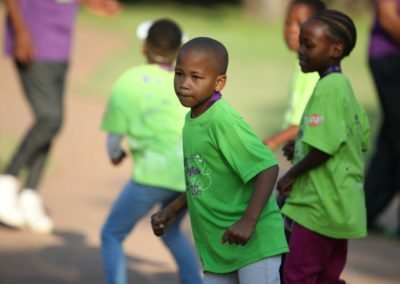 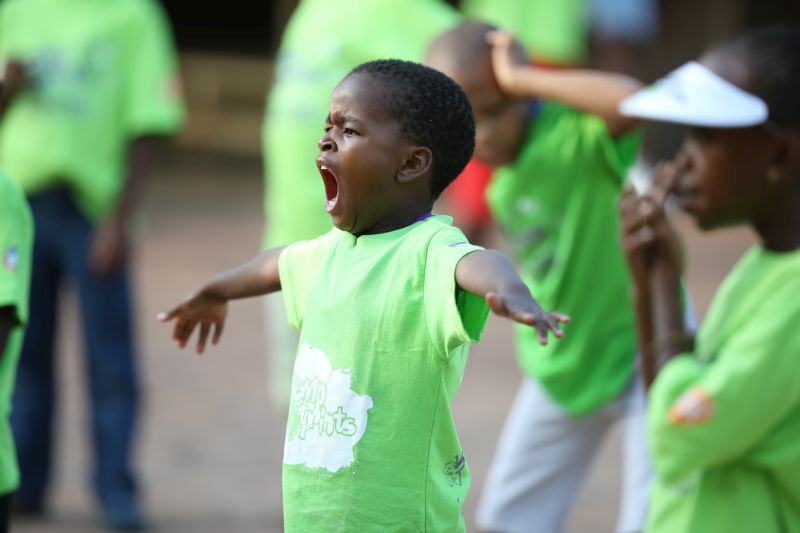 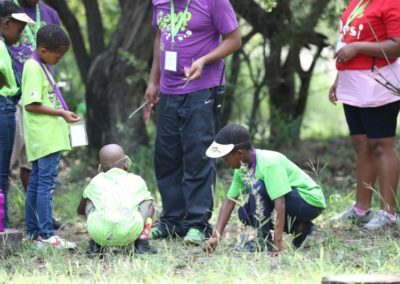 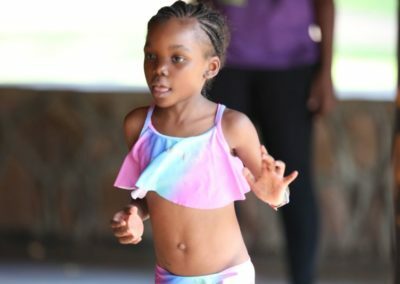 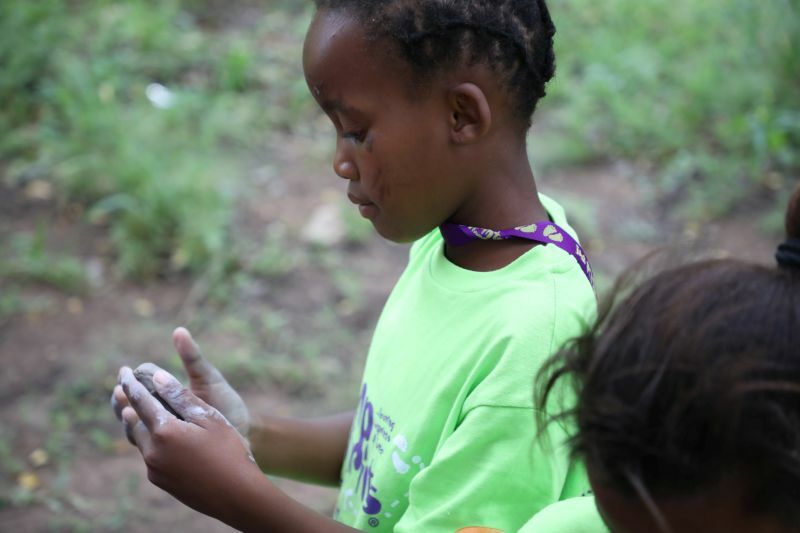 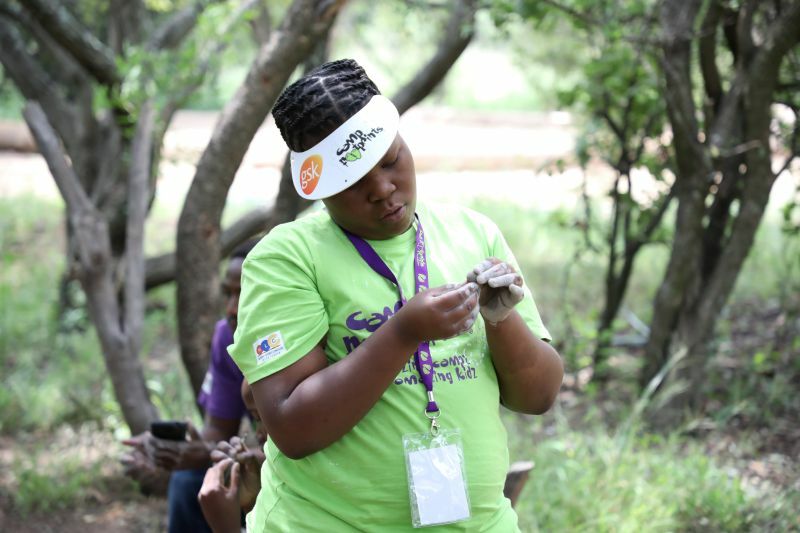 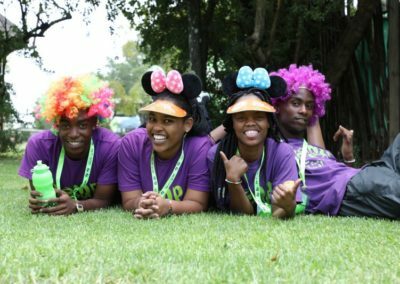 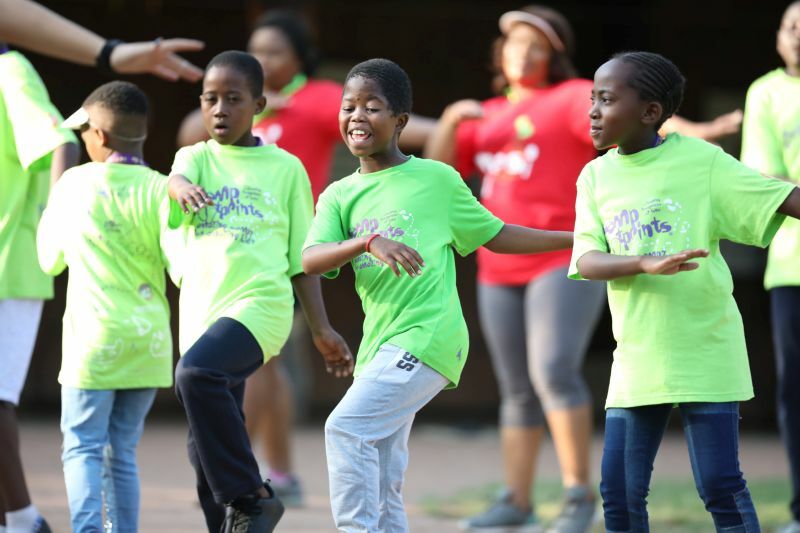 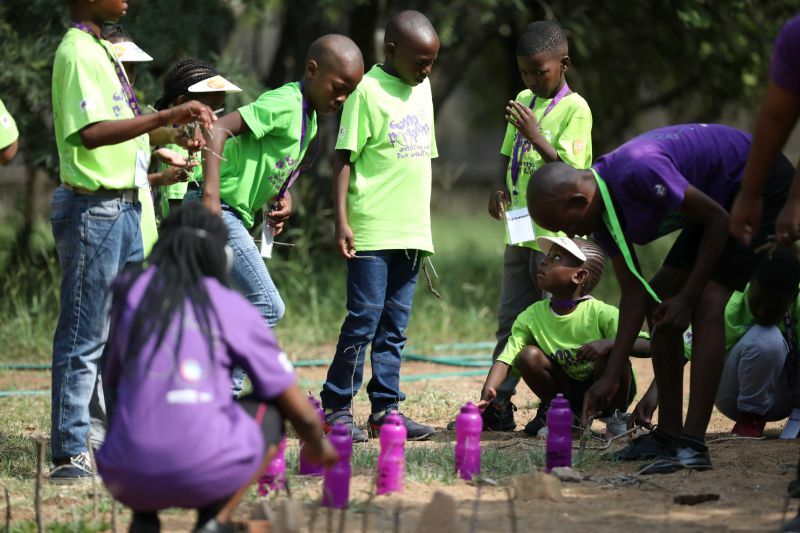 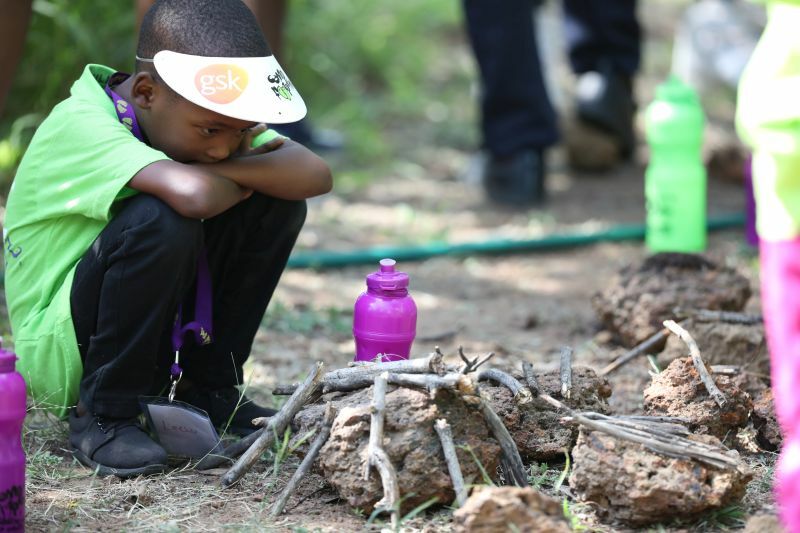 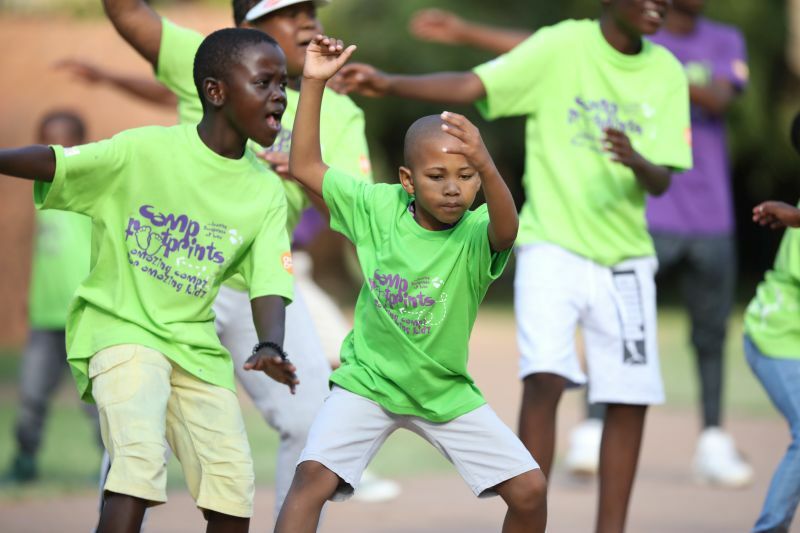 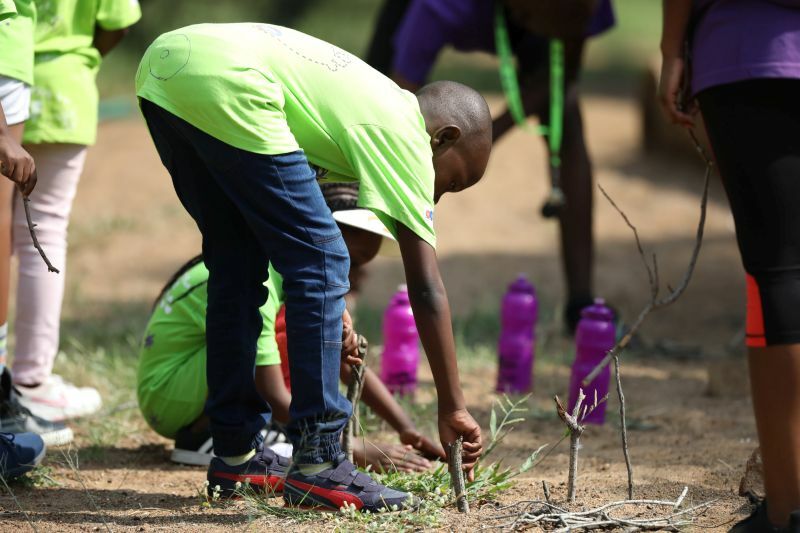 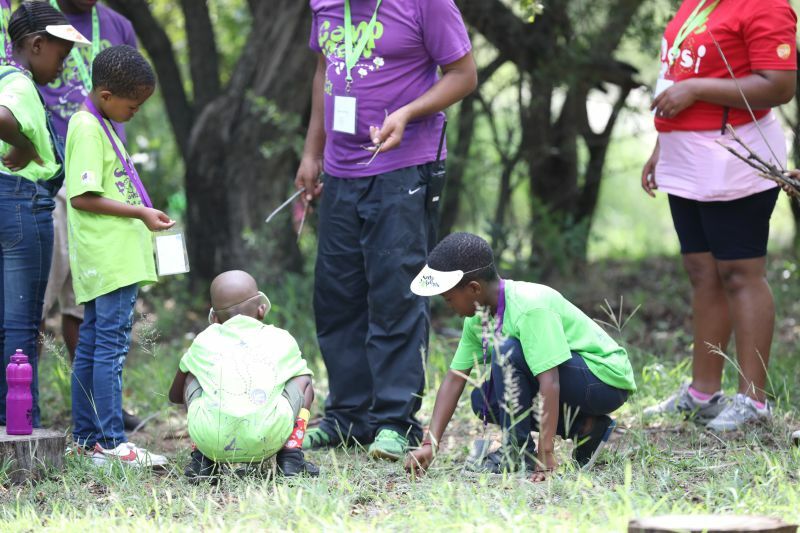 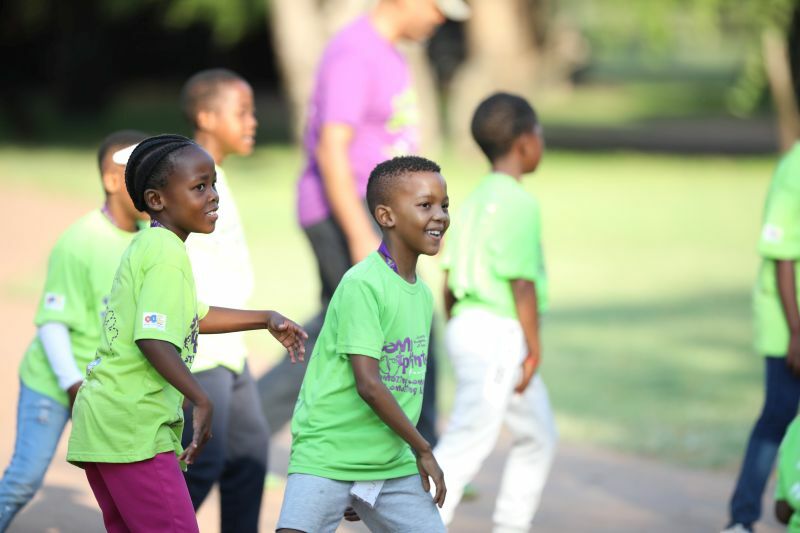 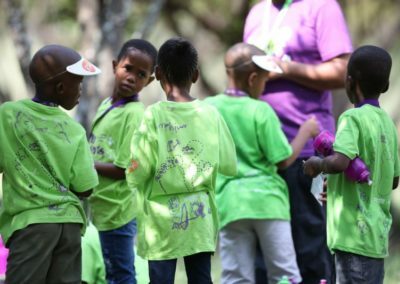 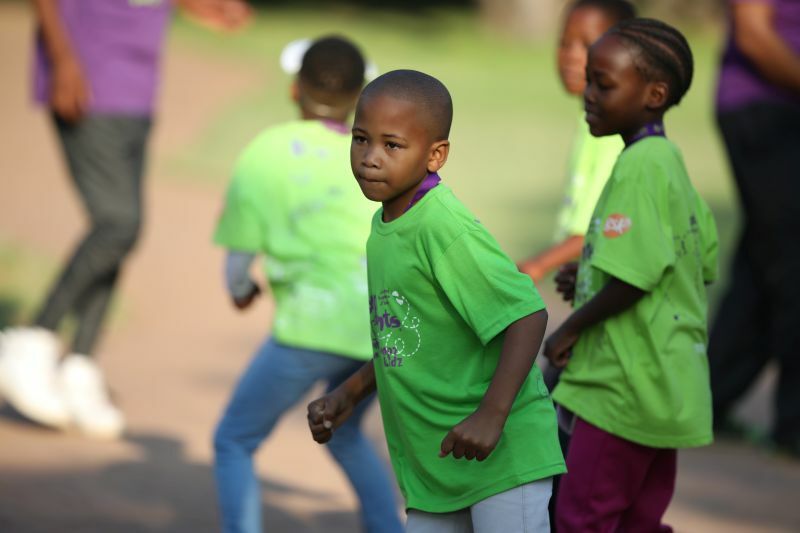 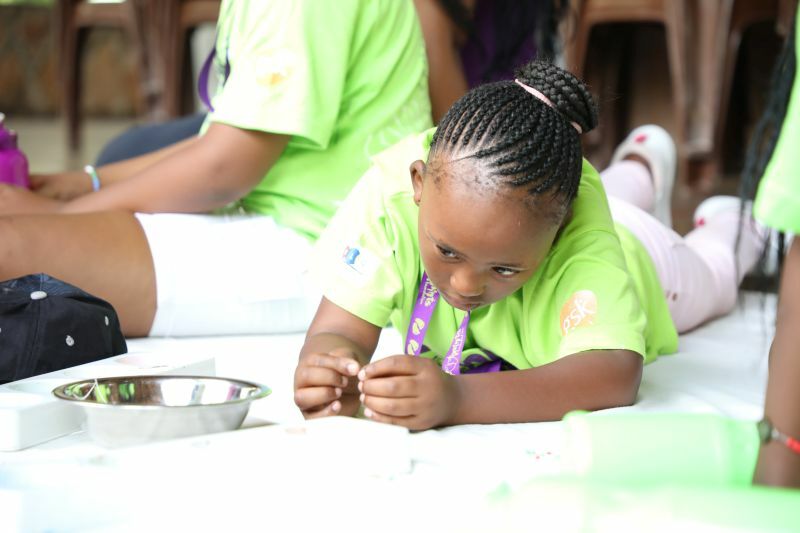 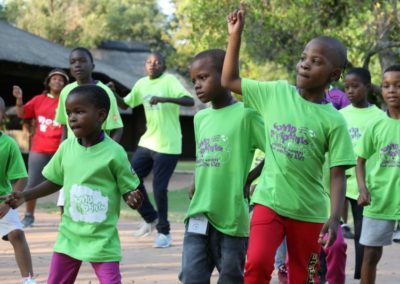 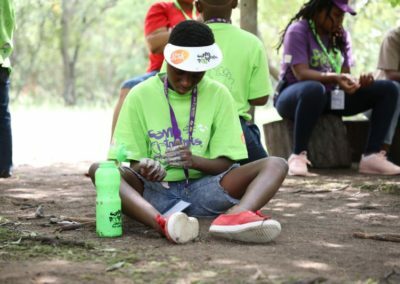 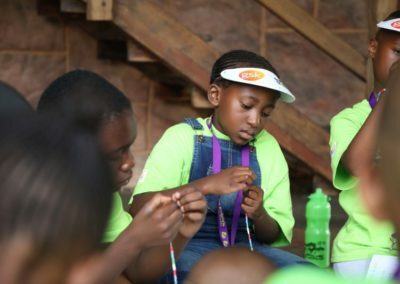 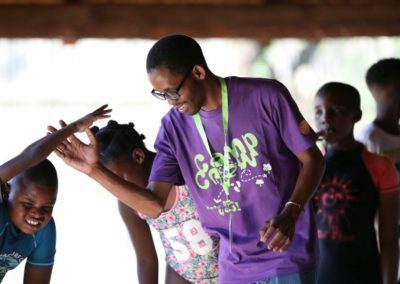 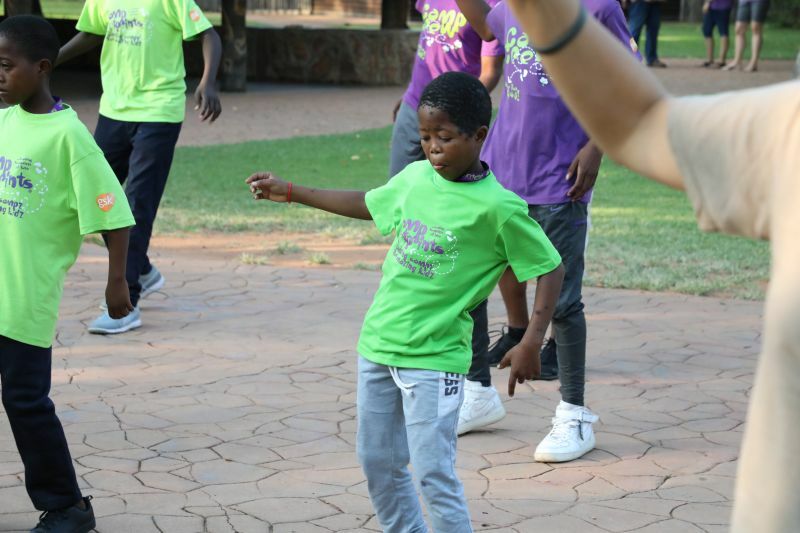 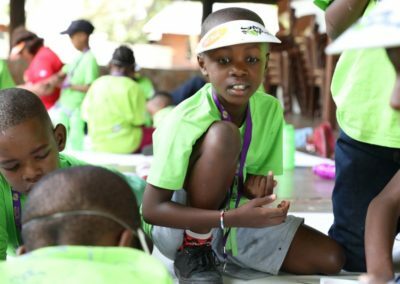 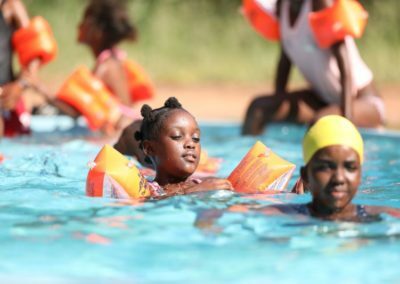 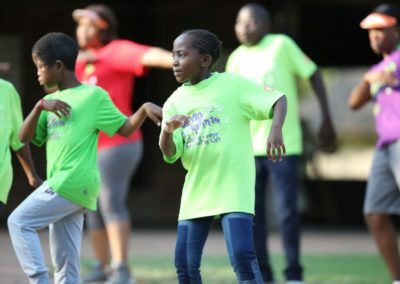 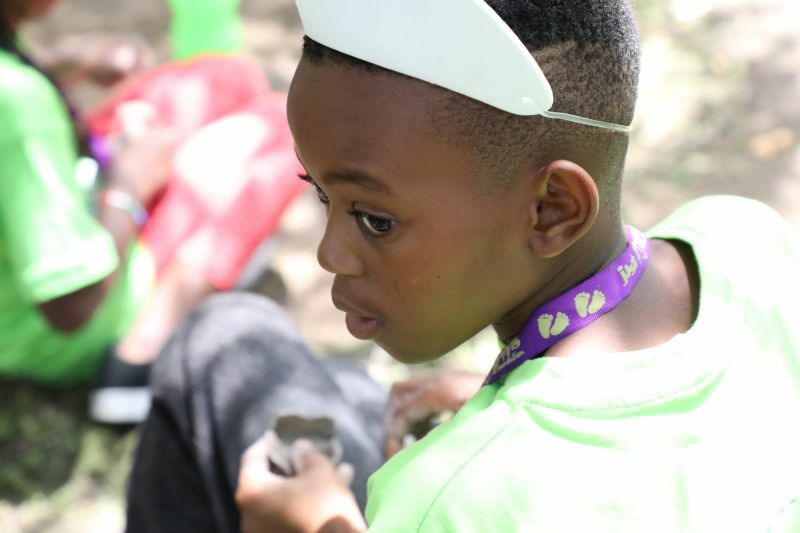 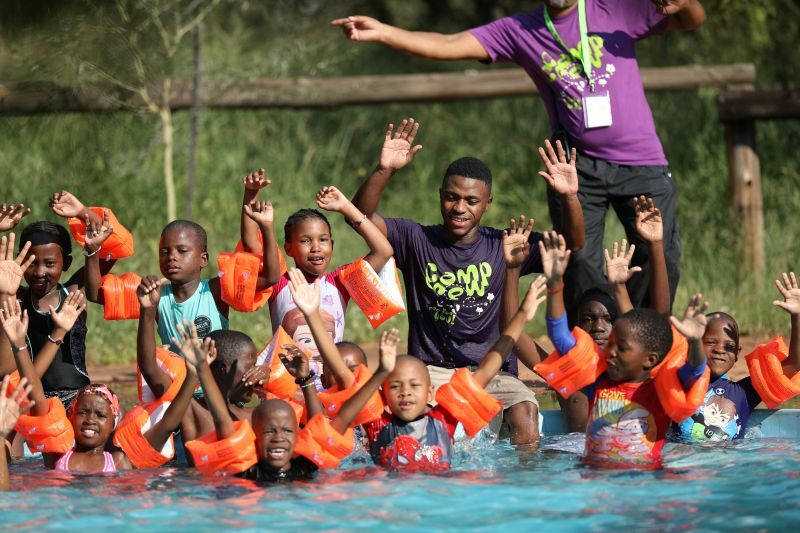 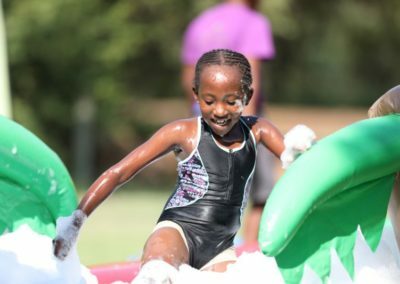 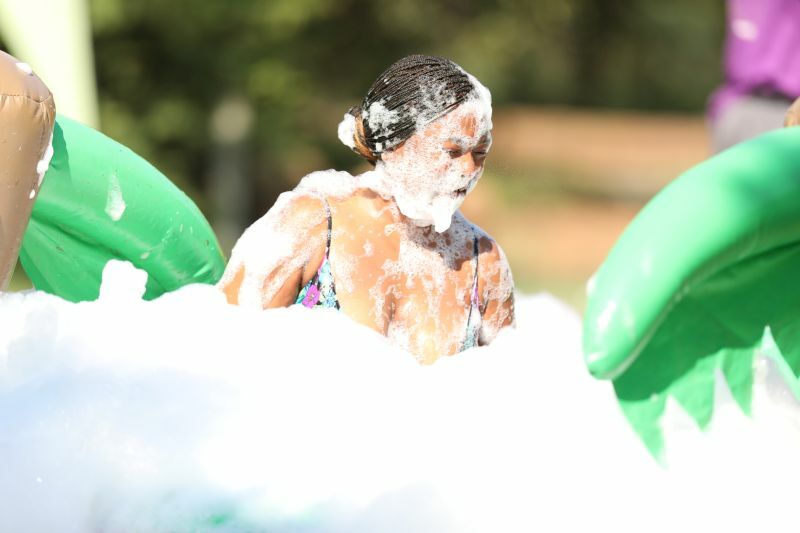 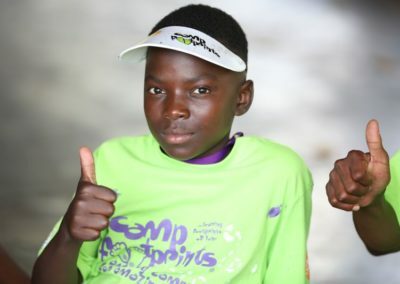 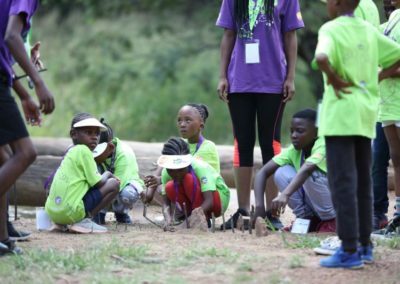 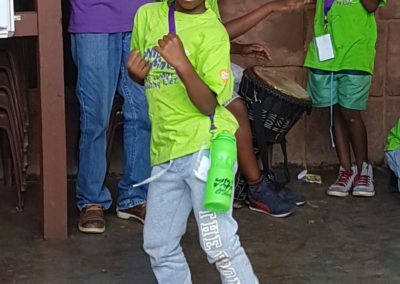 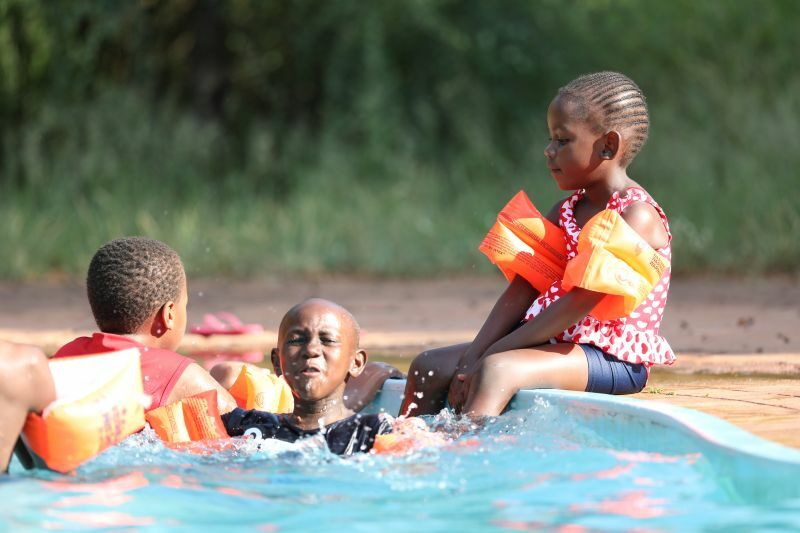 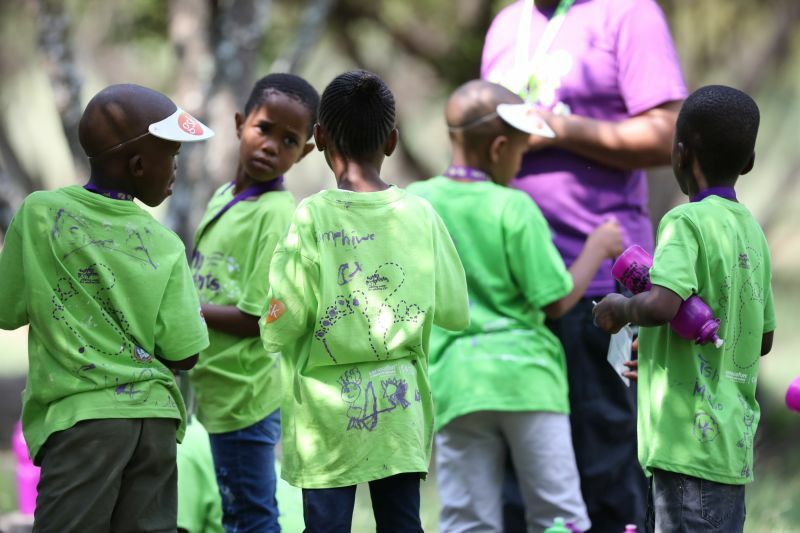 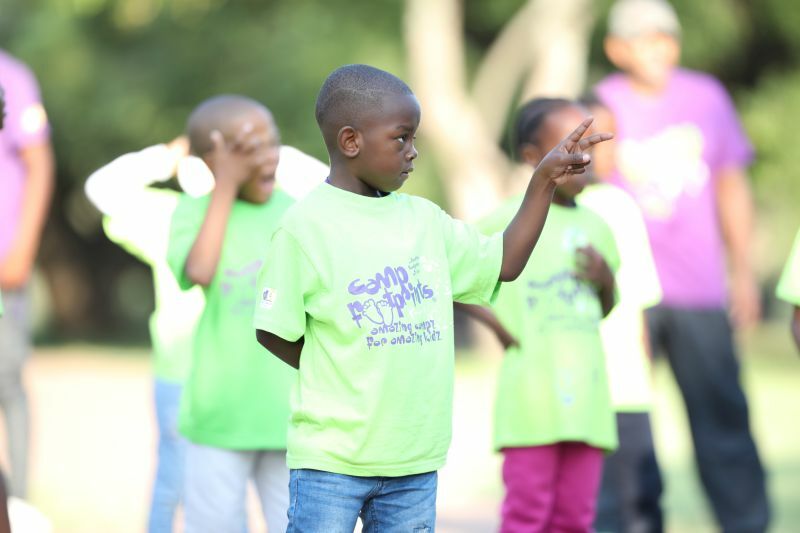 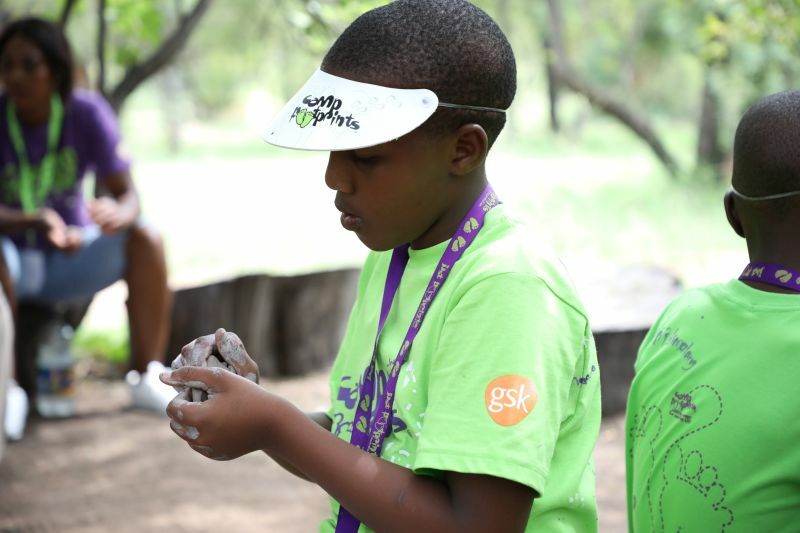 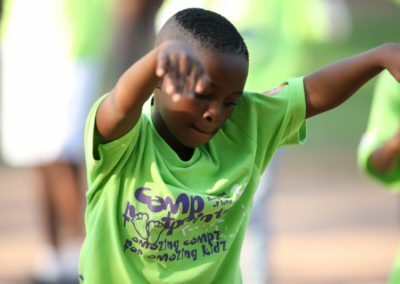 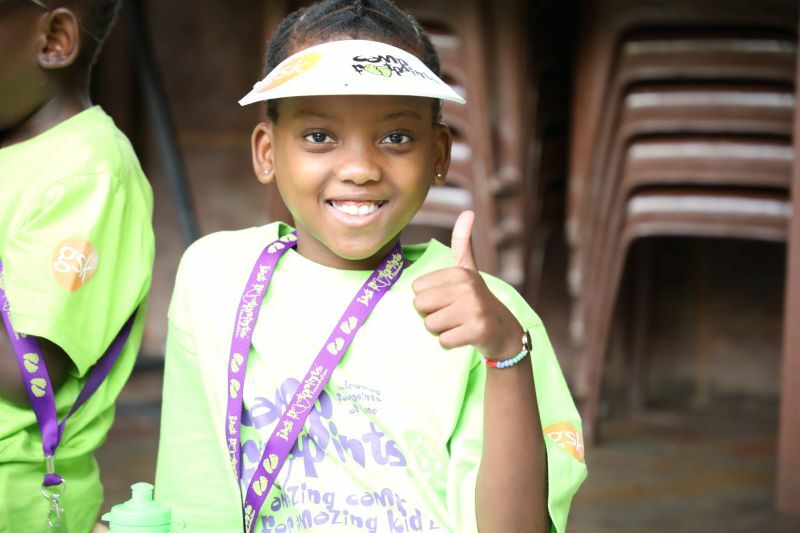 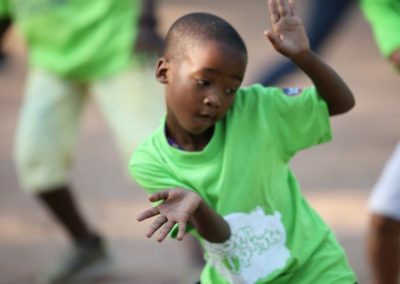 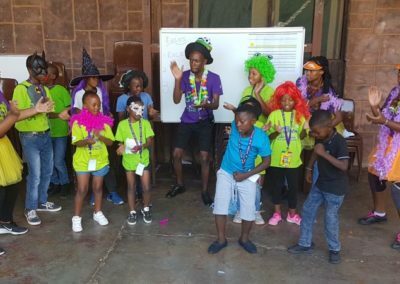 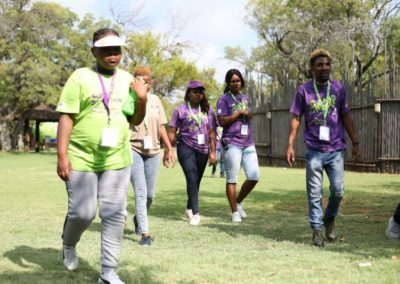 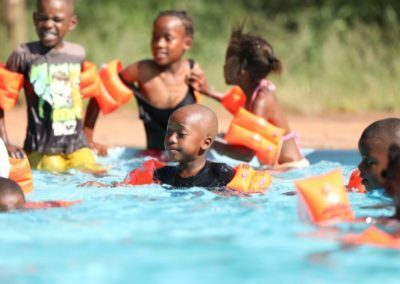 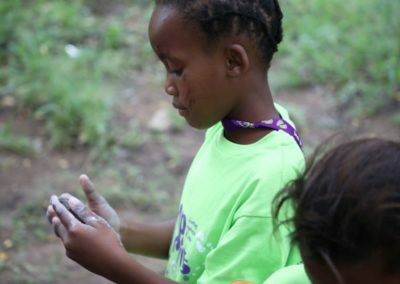 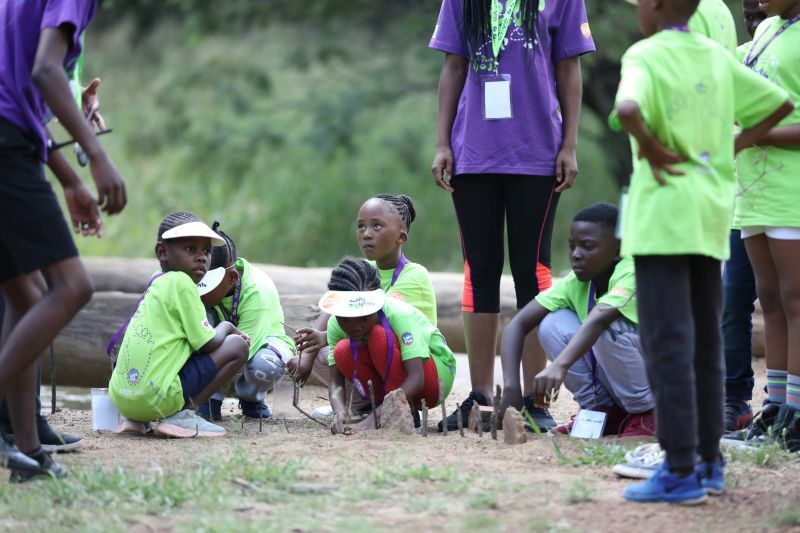 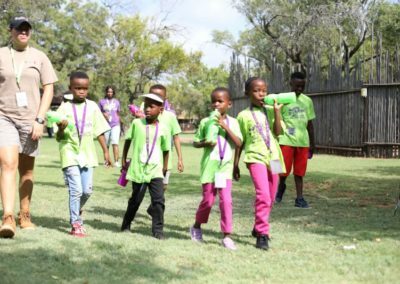 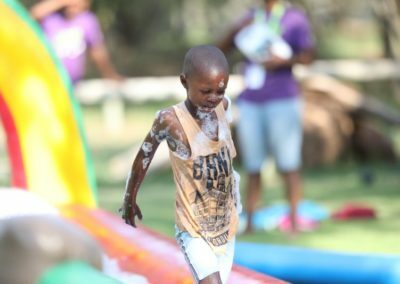 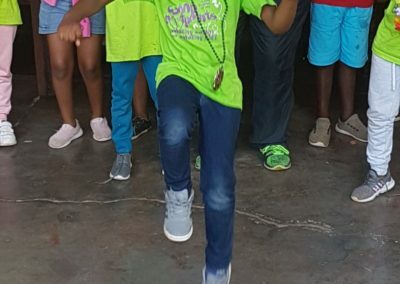 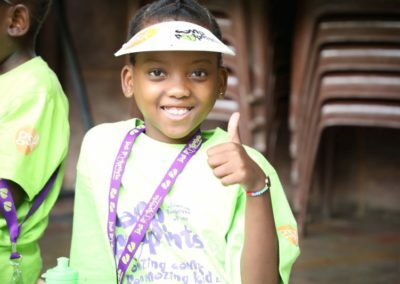 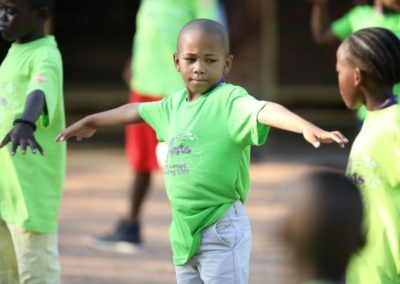 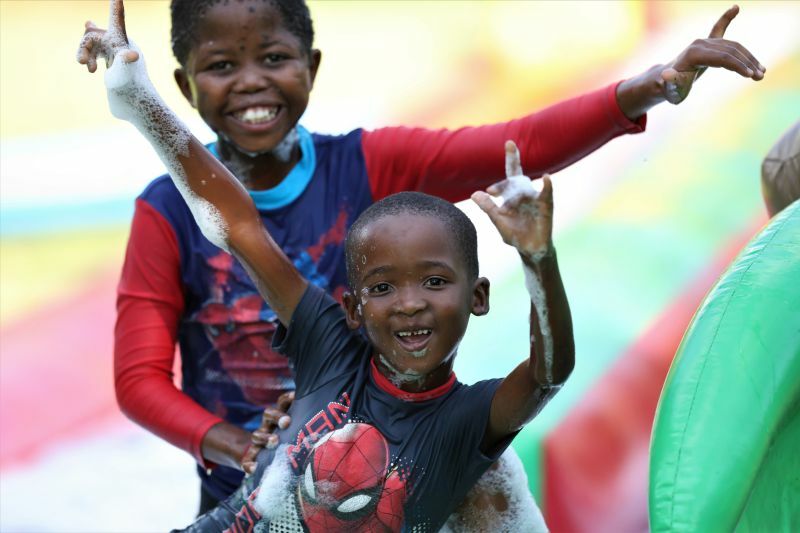 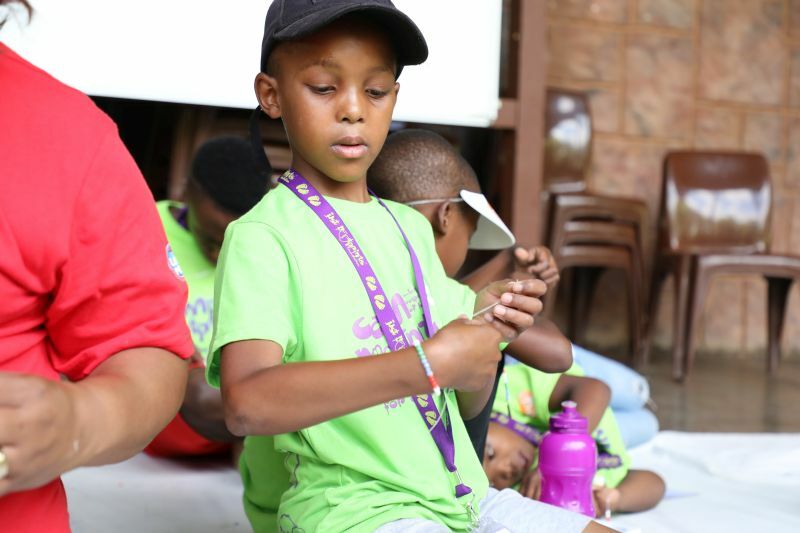 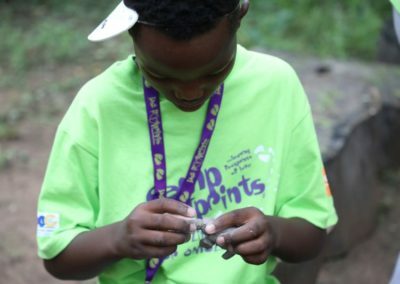 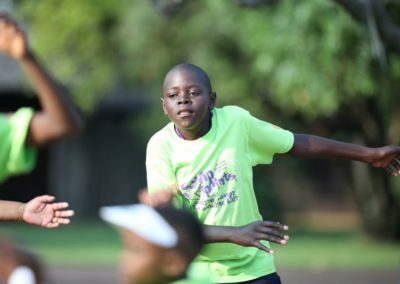 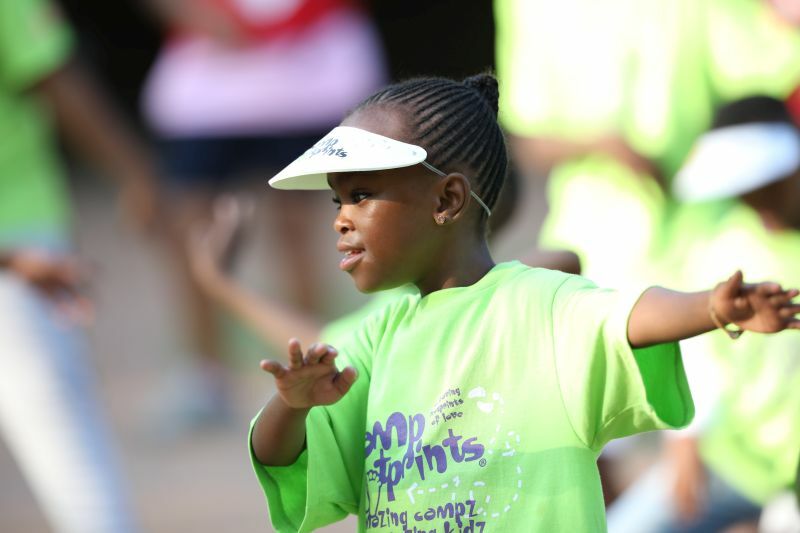 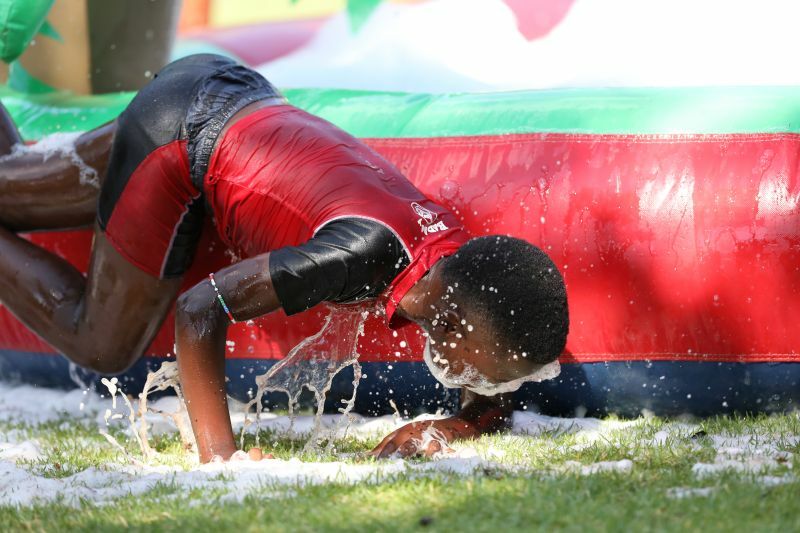 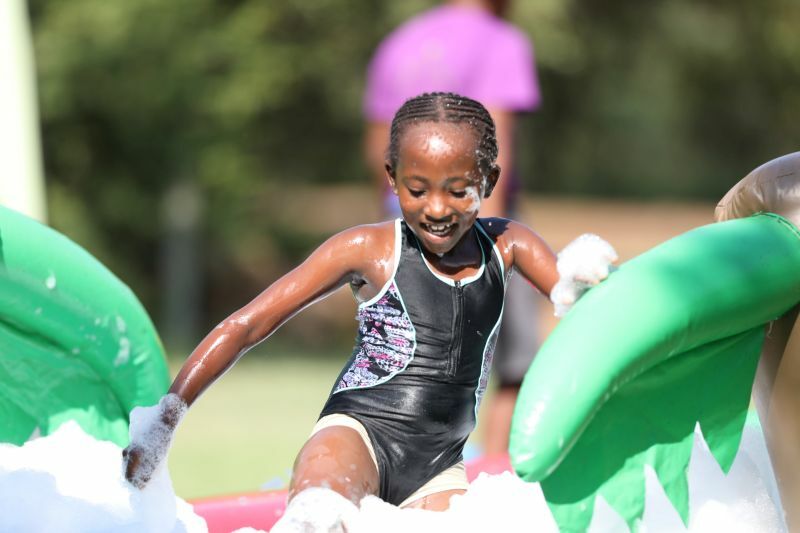 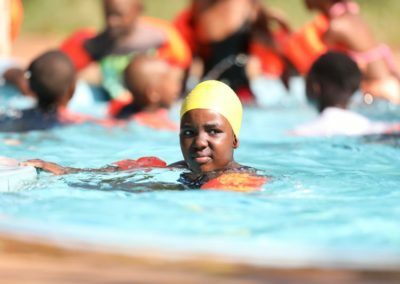 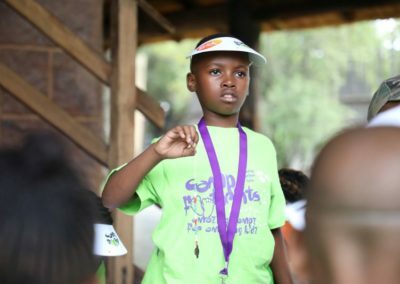 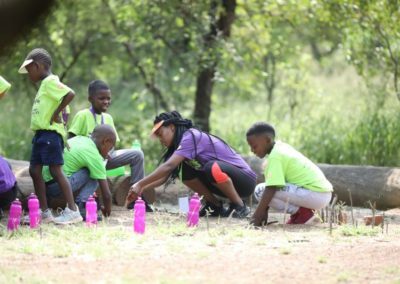 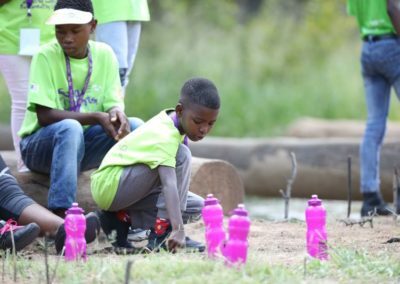 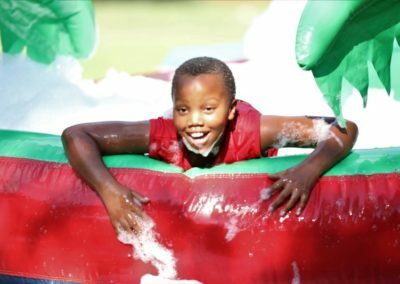 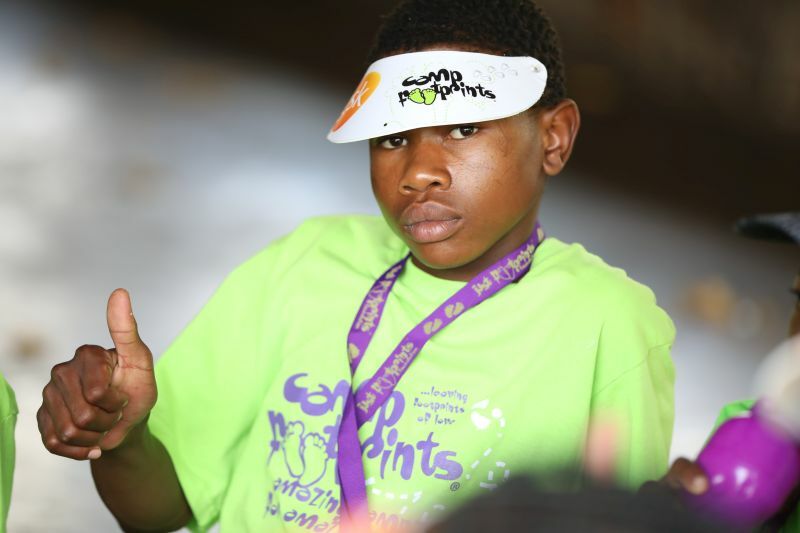 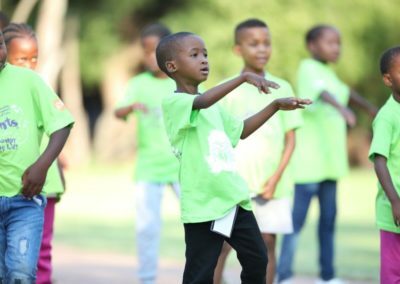 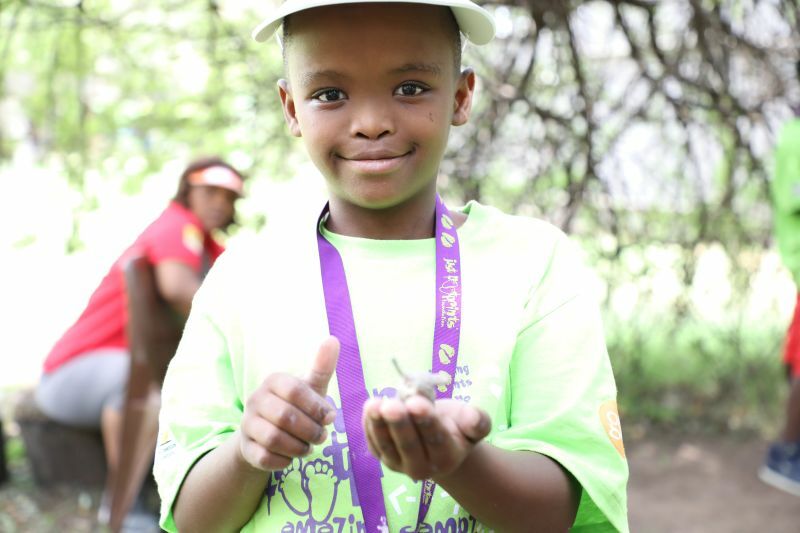 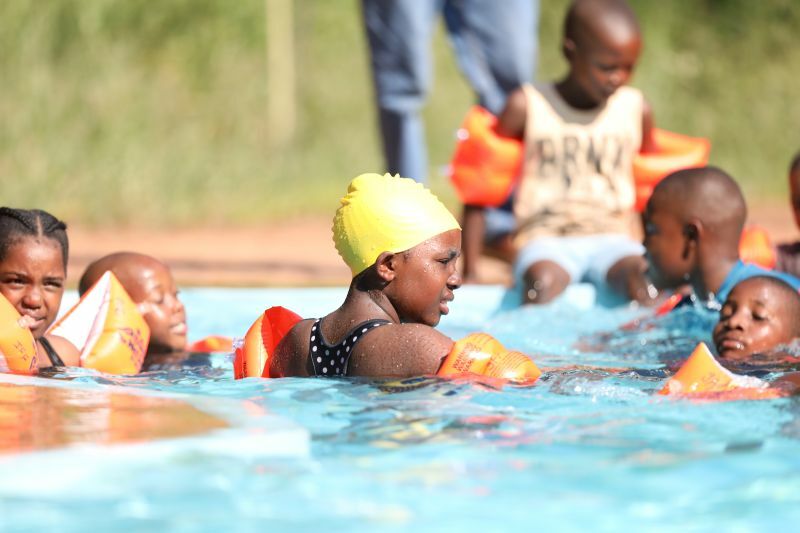 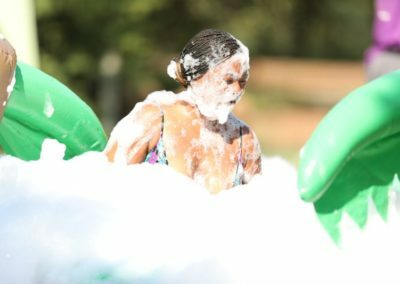 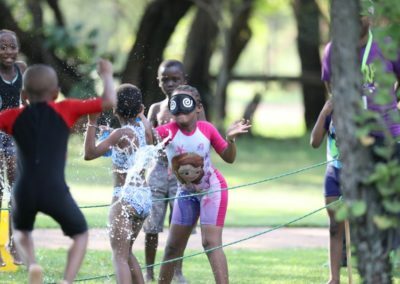 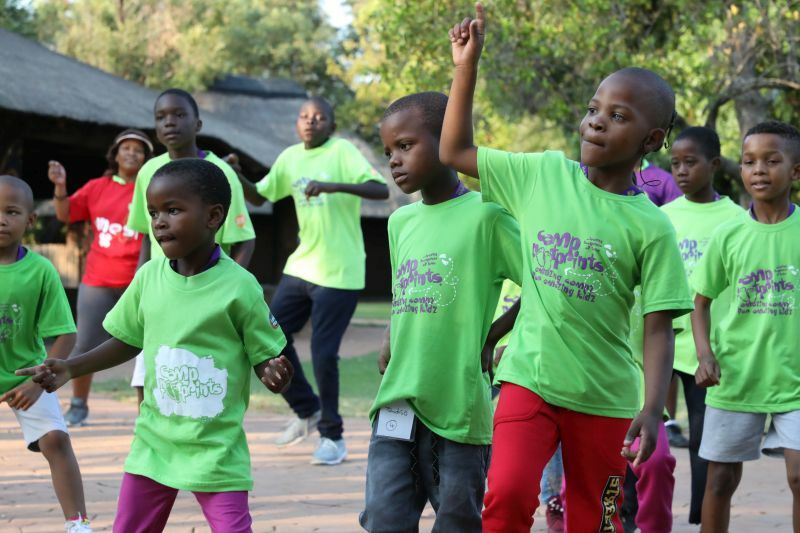 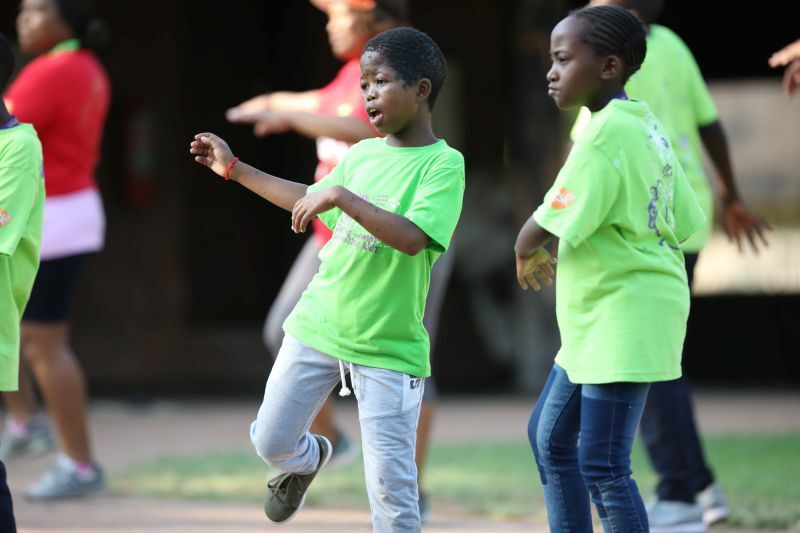 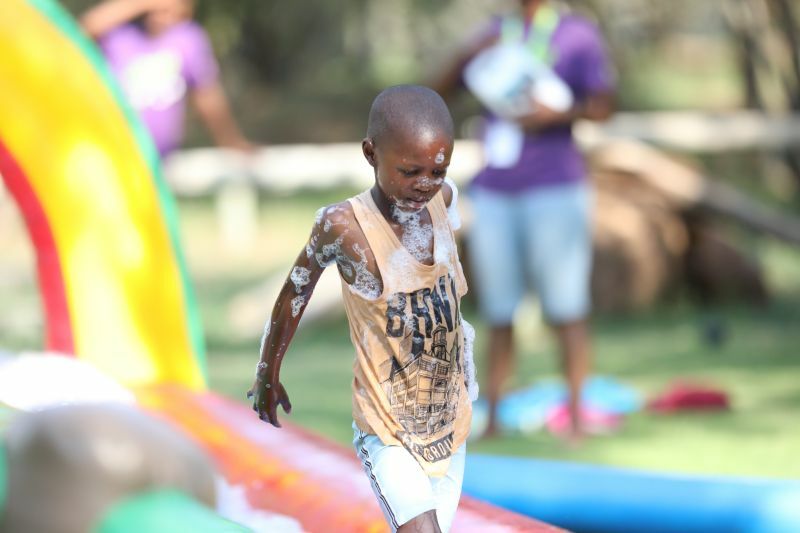 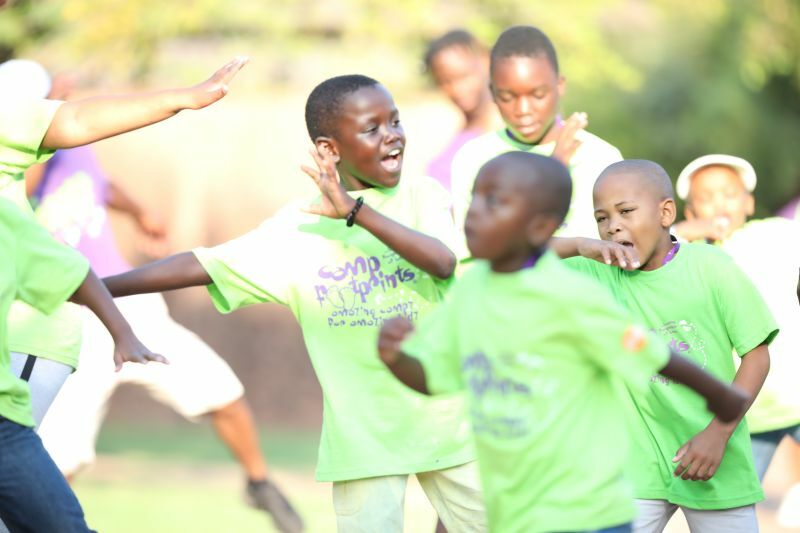 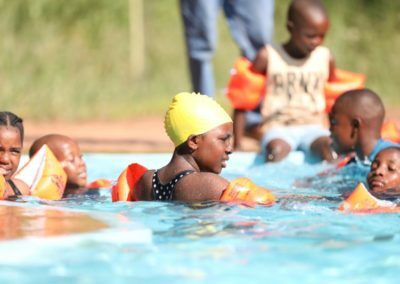 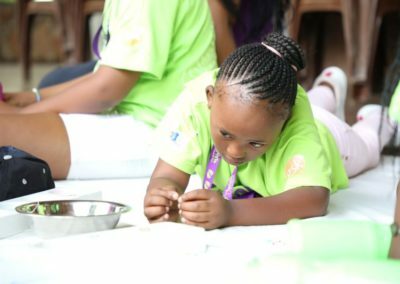 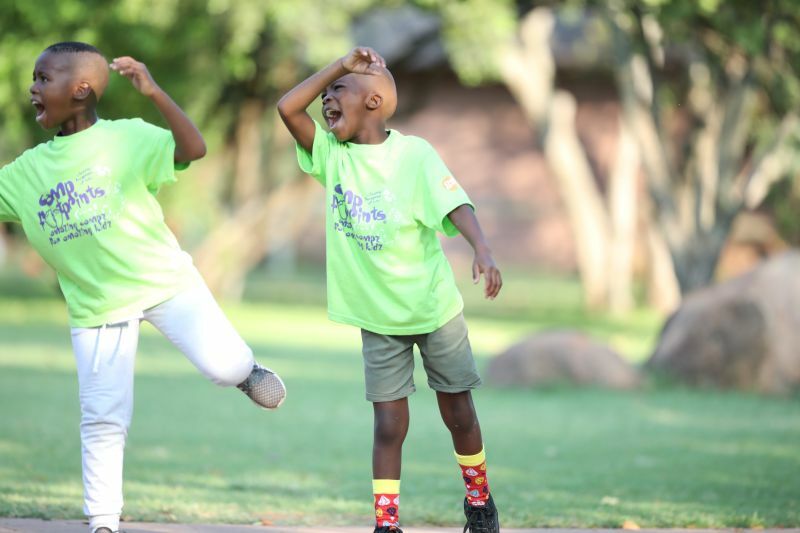 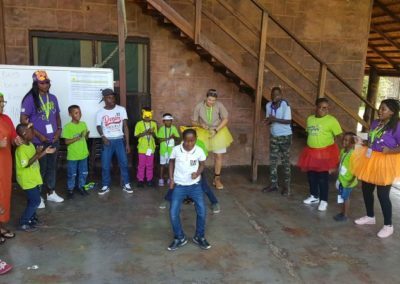 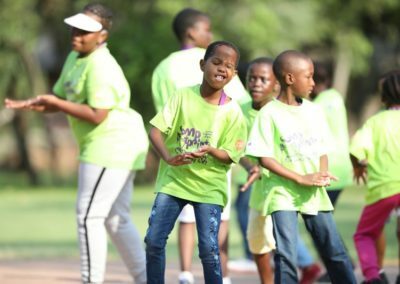 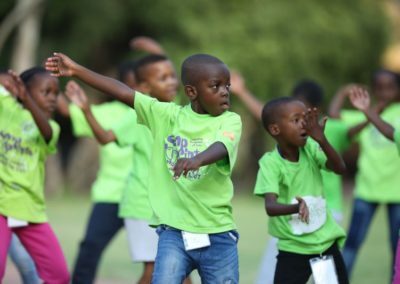 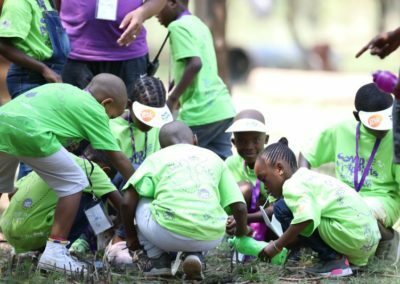 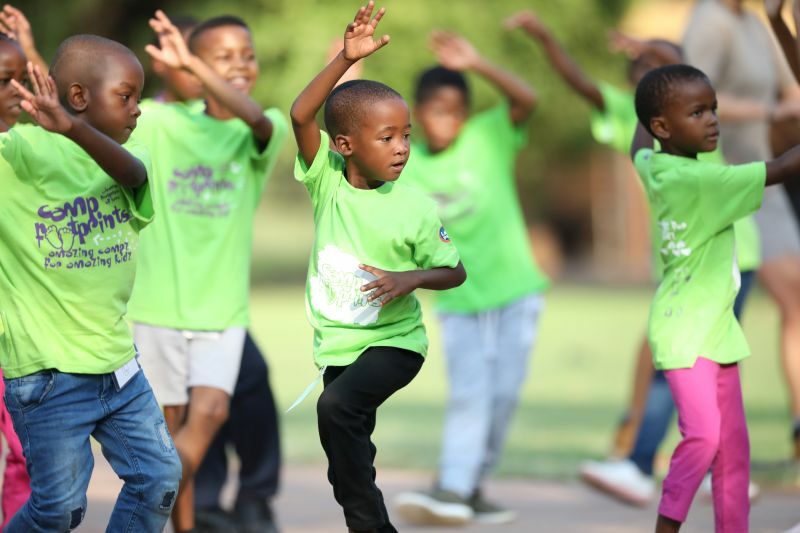 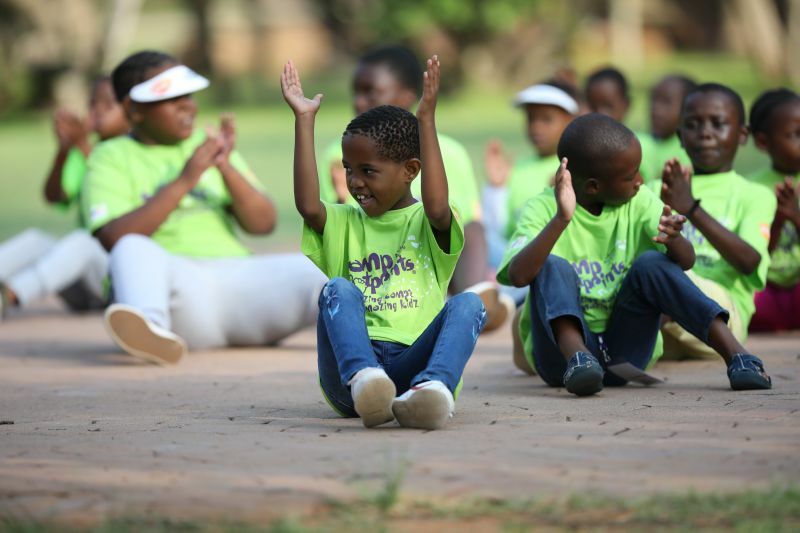 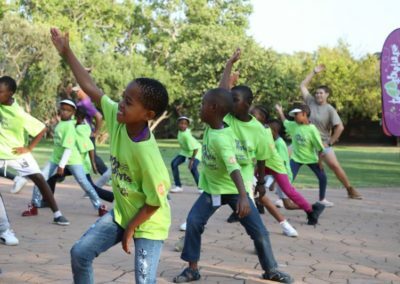 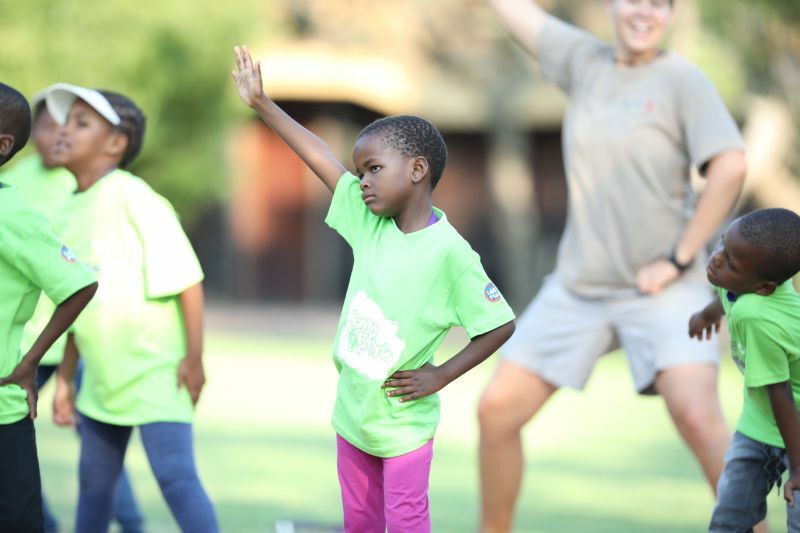 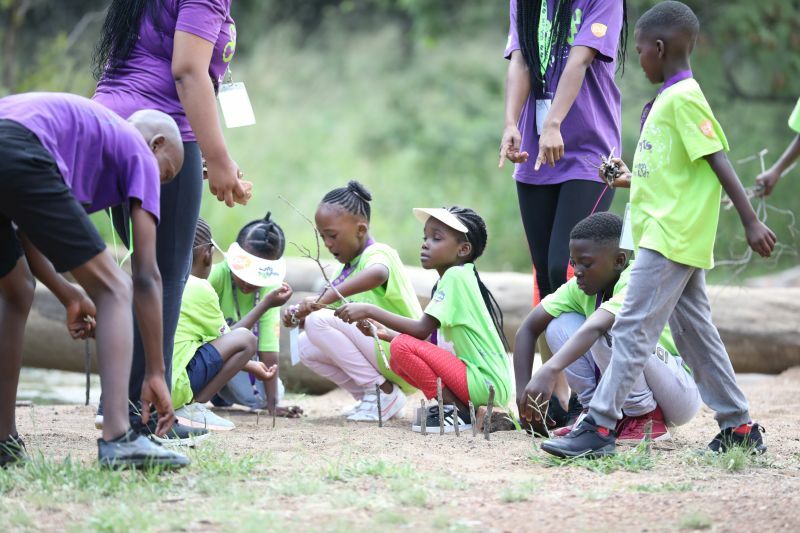 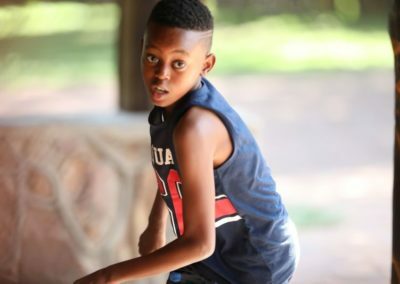 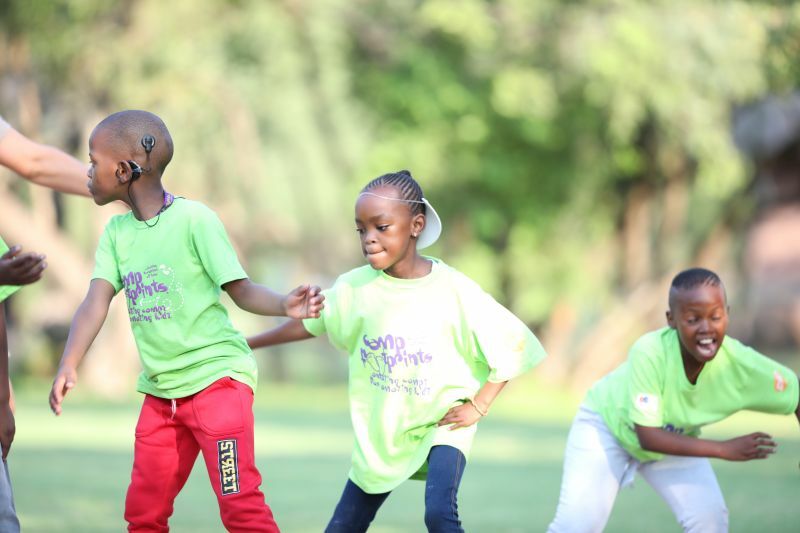 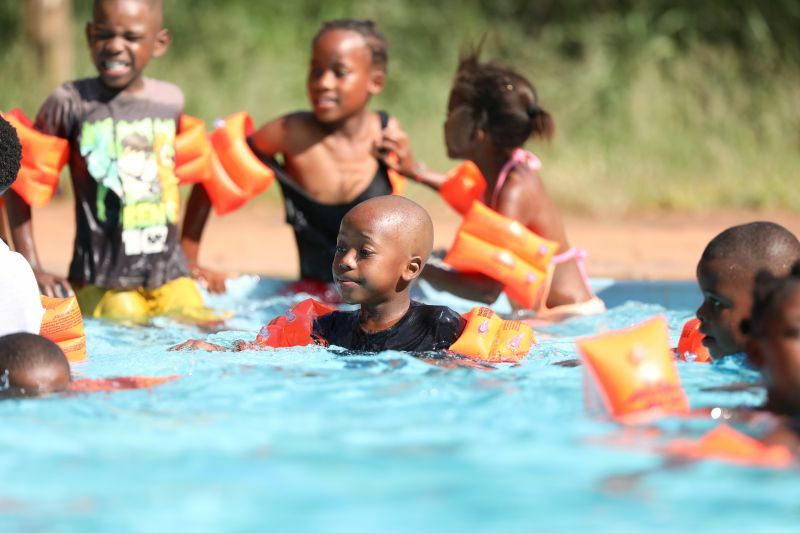 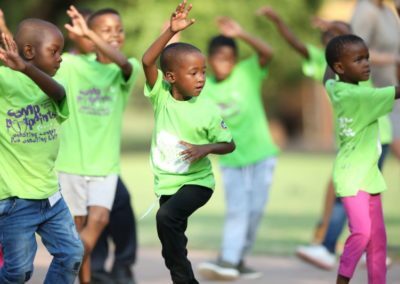 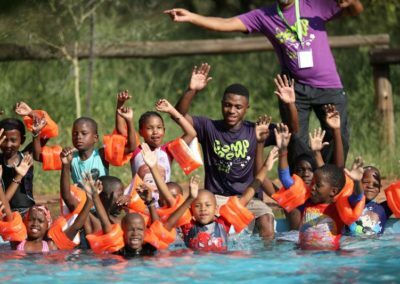 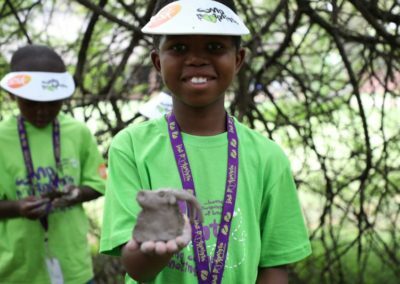 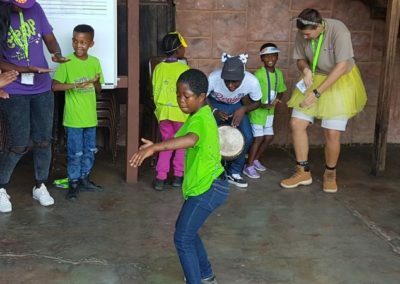 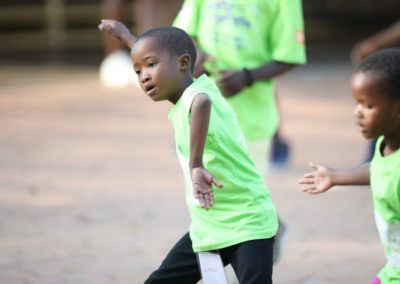 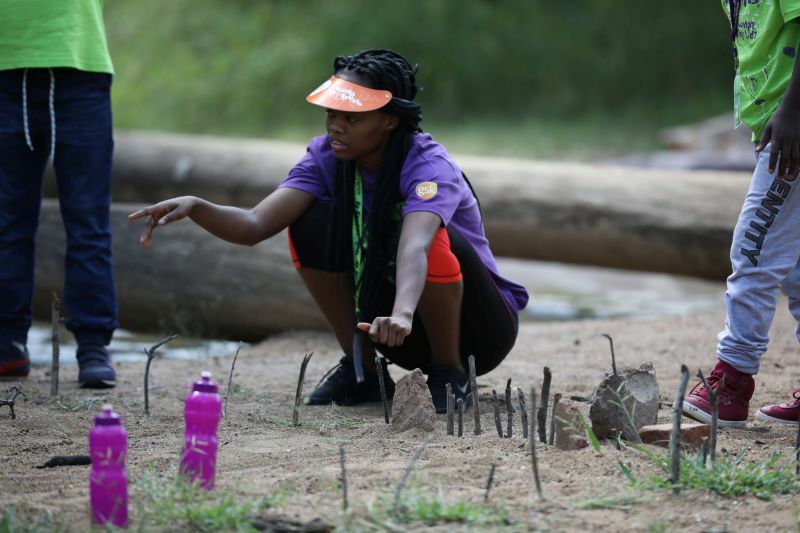 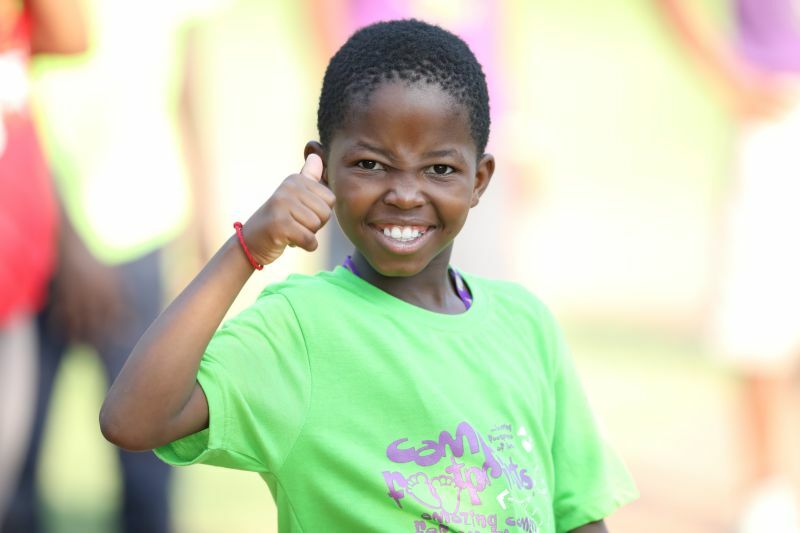 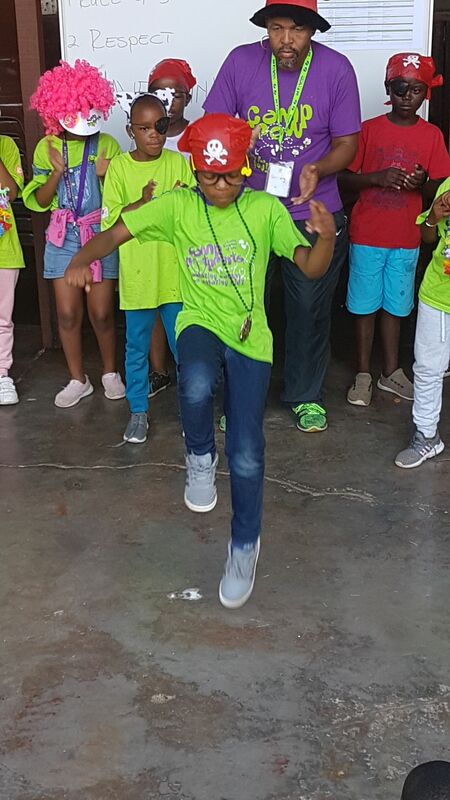 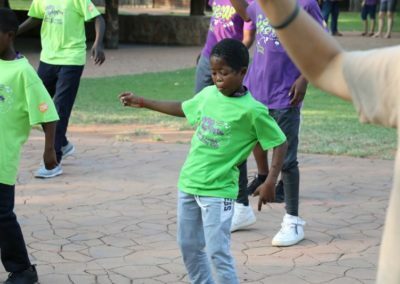 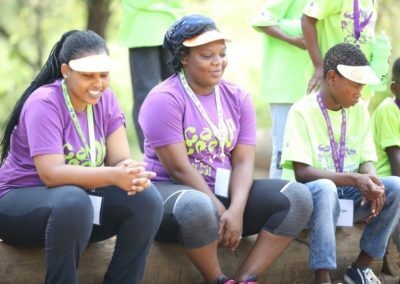 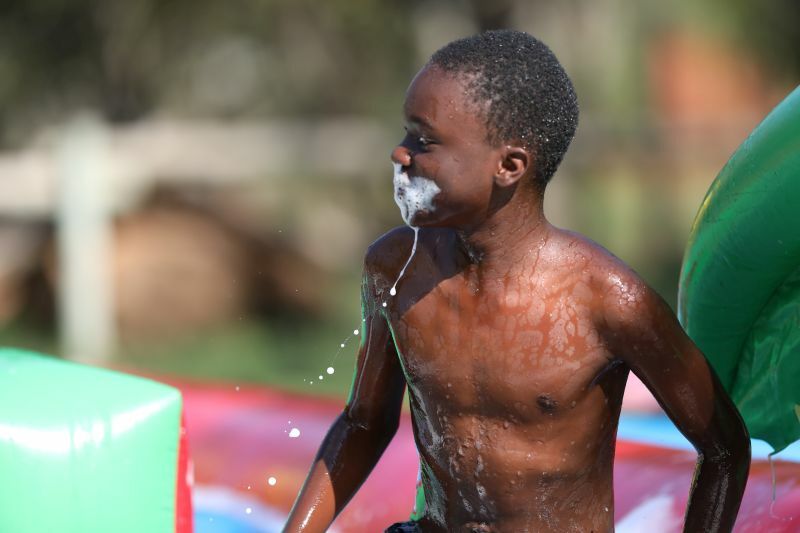 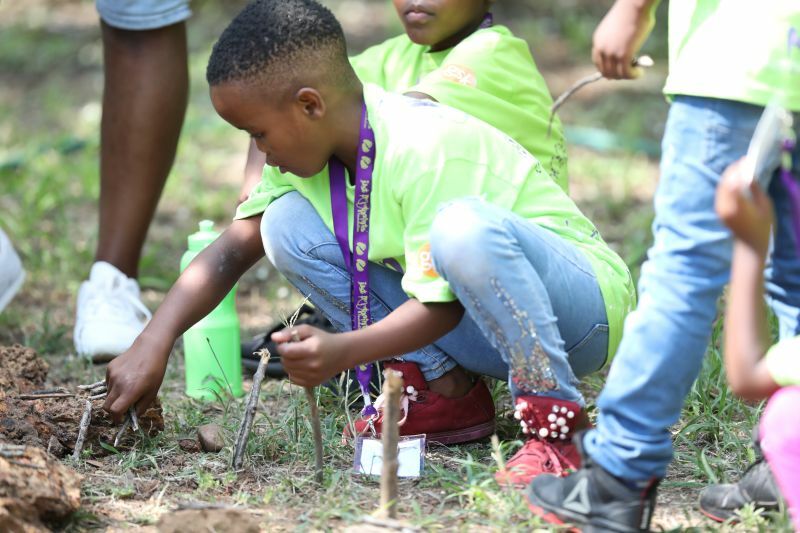 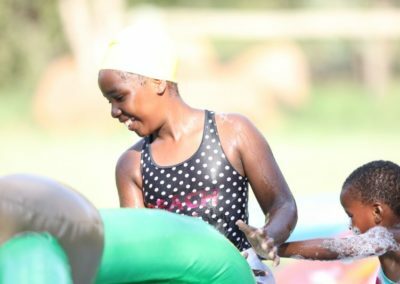 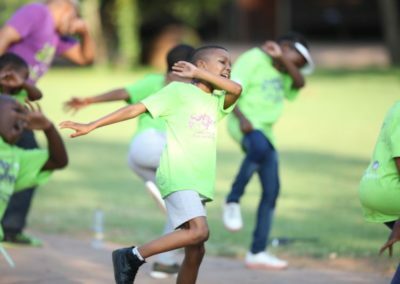 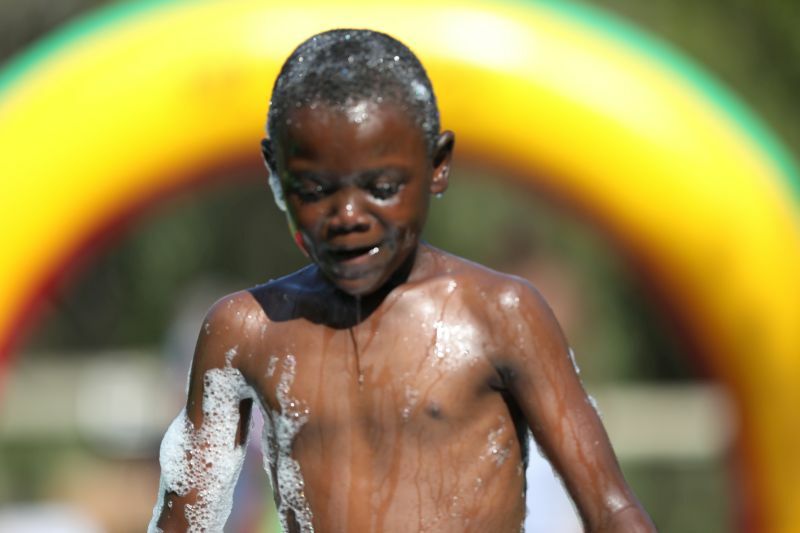 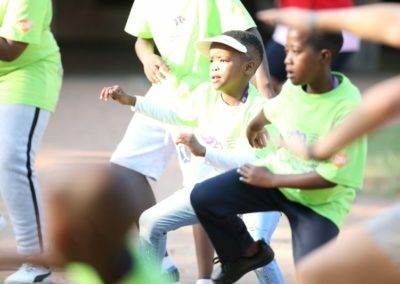 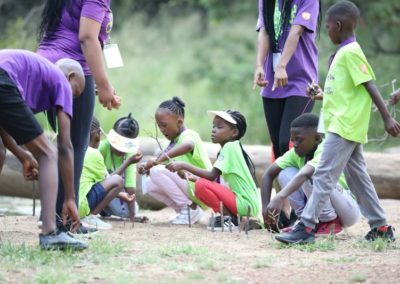 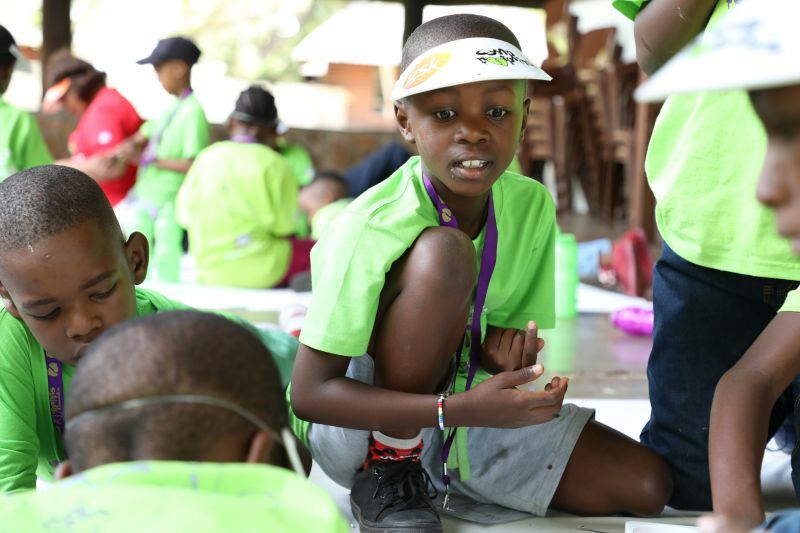 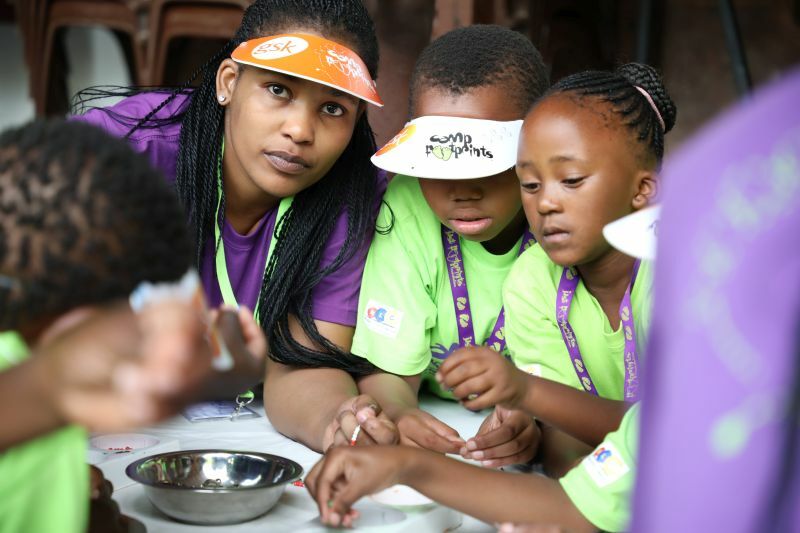 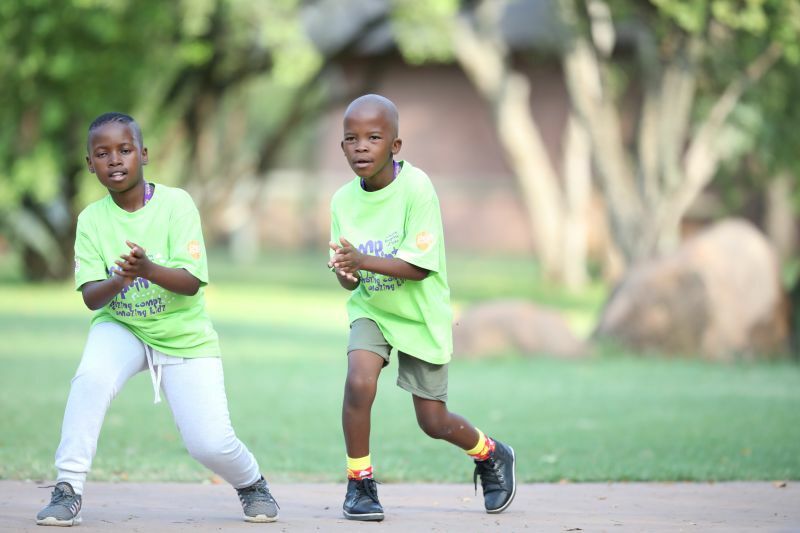 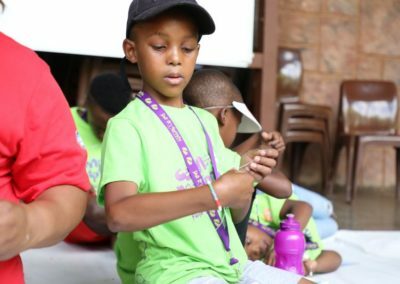 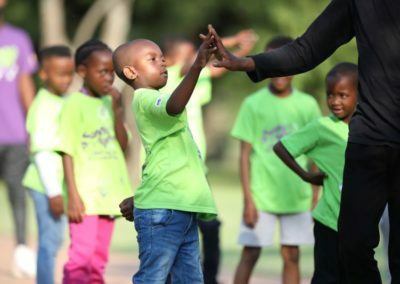 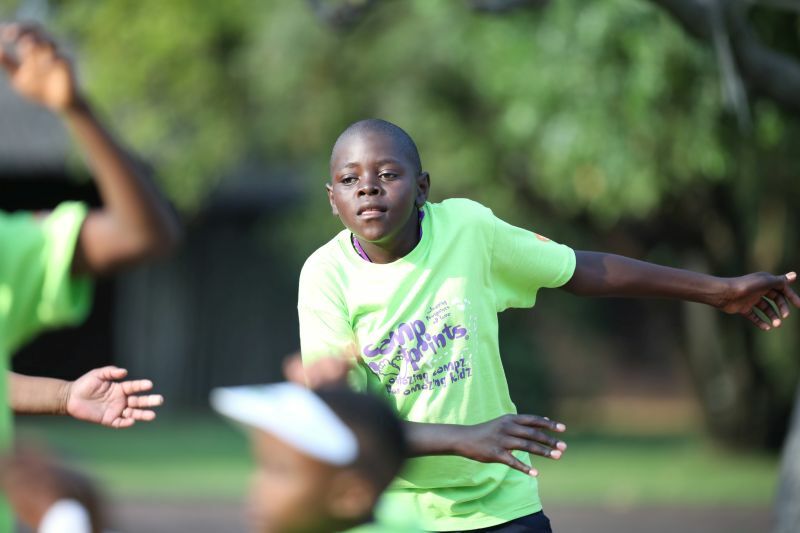 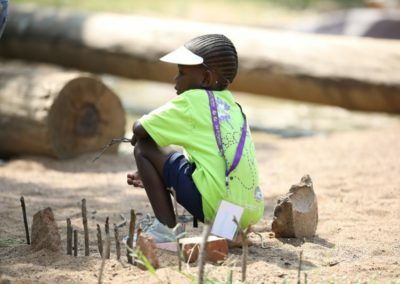 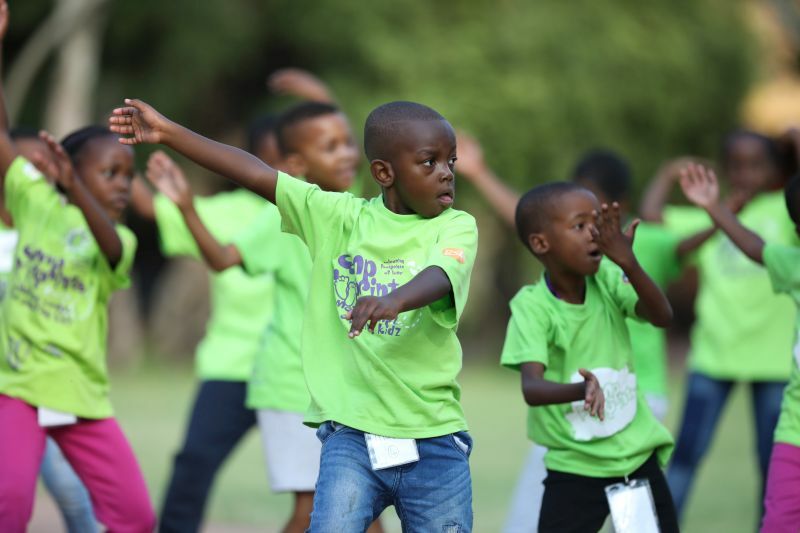 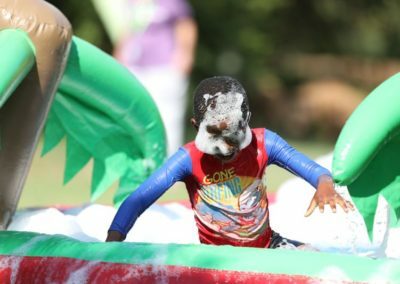 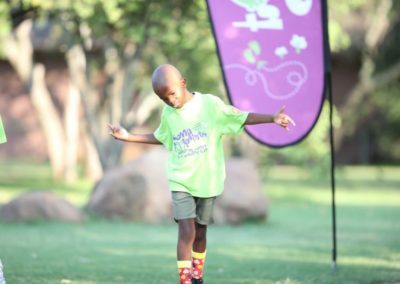 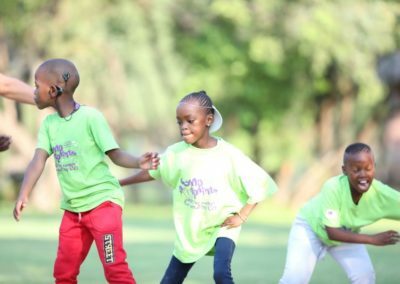 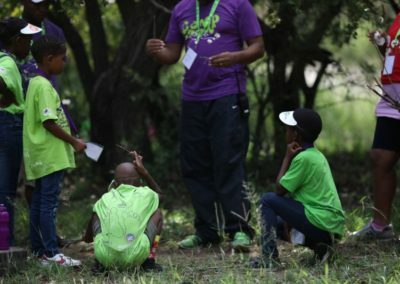 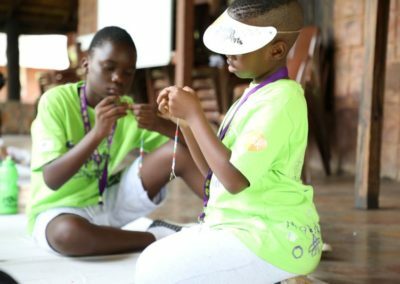 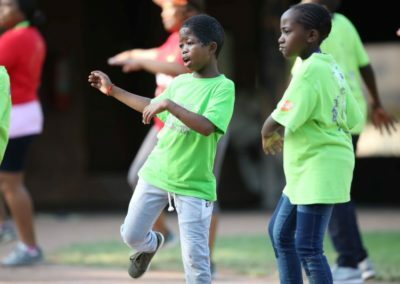 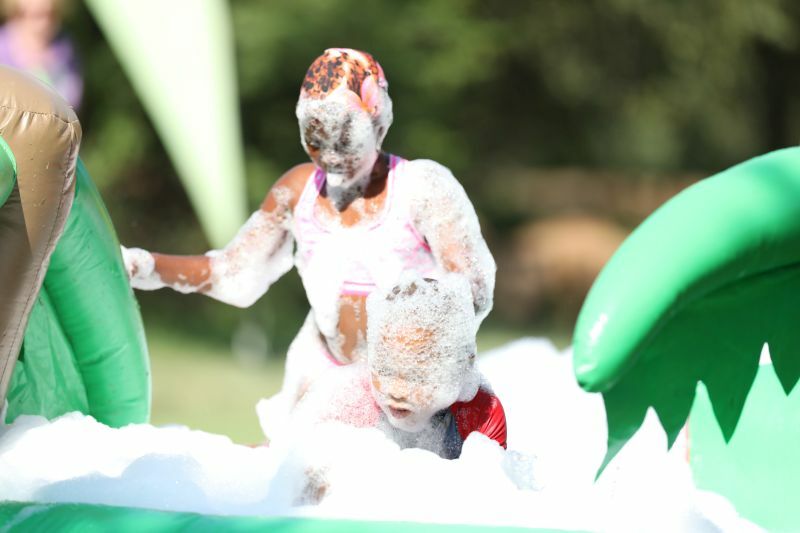 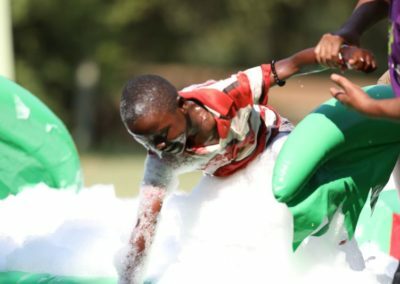 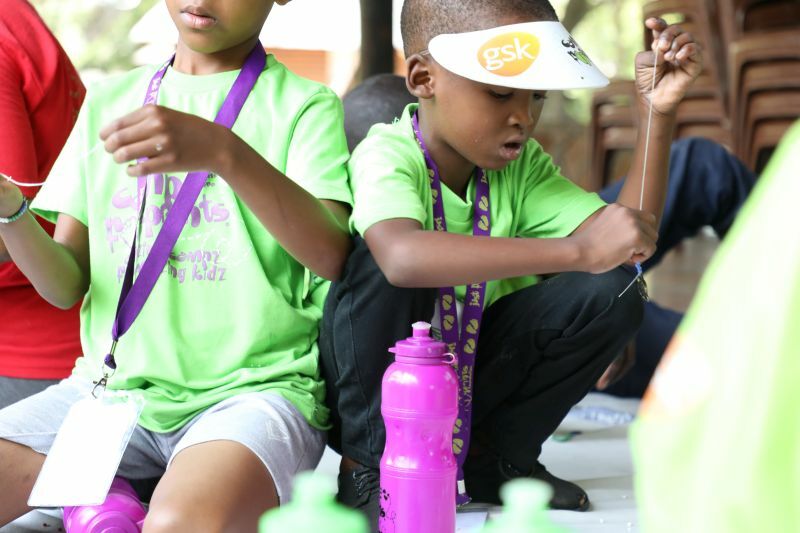 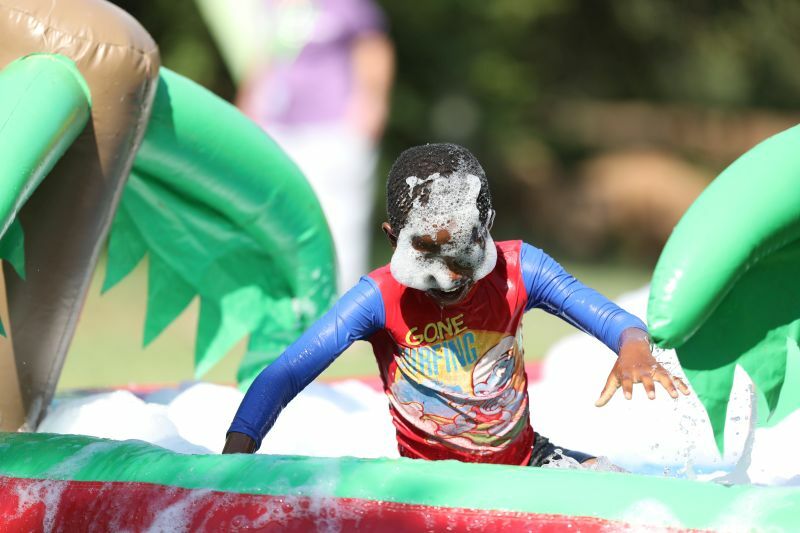 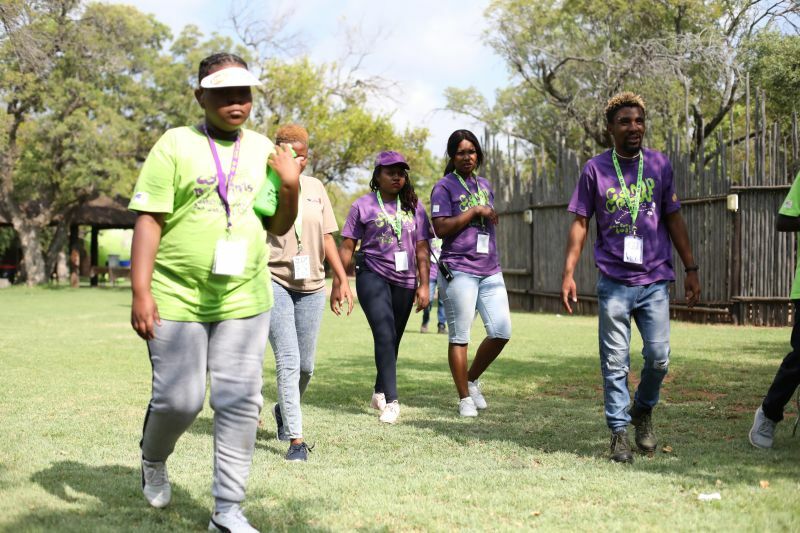 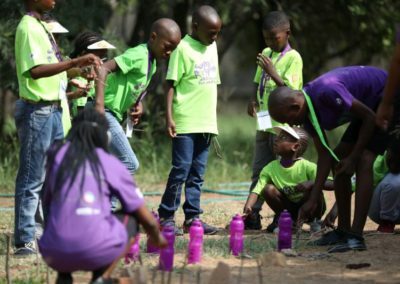 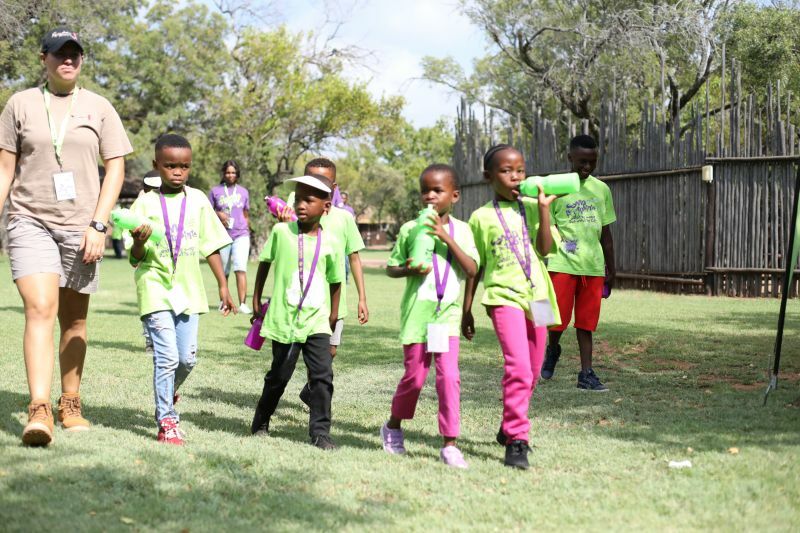 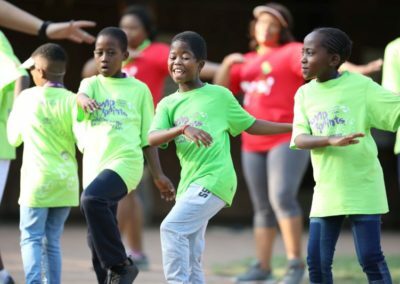 This is the second time that Camp Footprints hosted children from Surgeons for little lives. 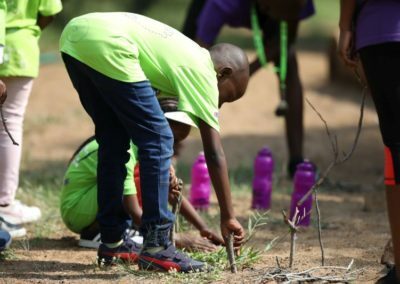 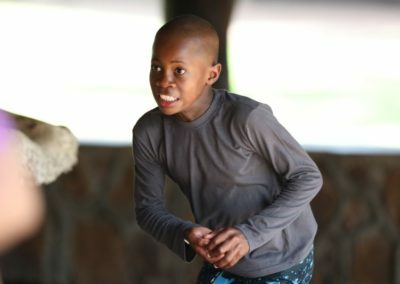 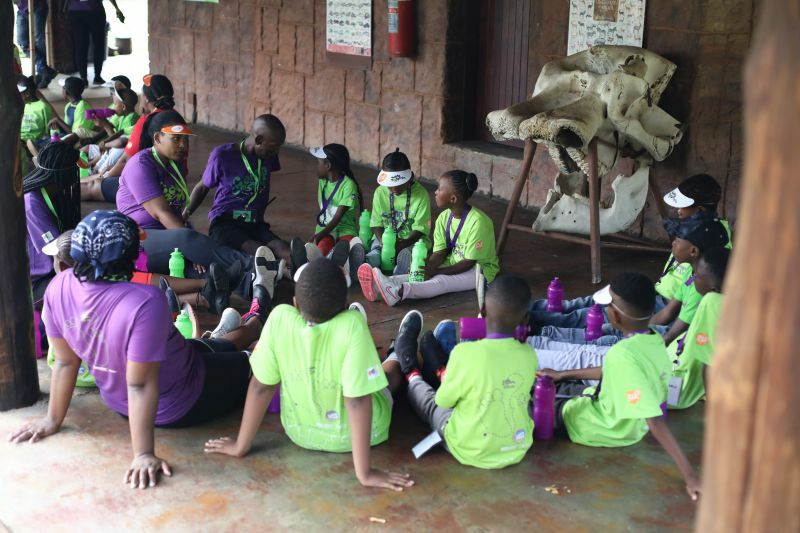 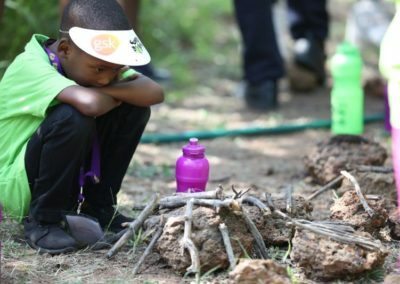 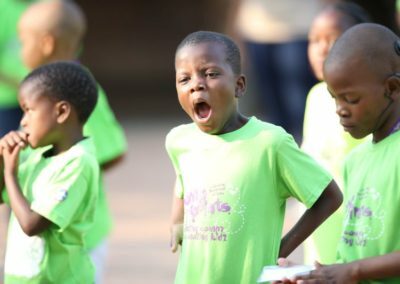 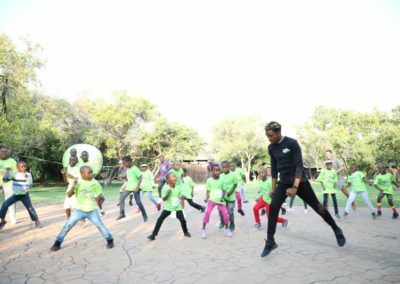 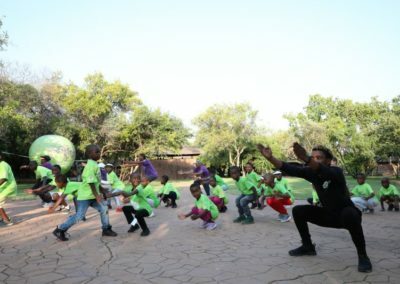 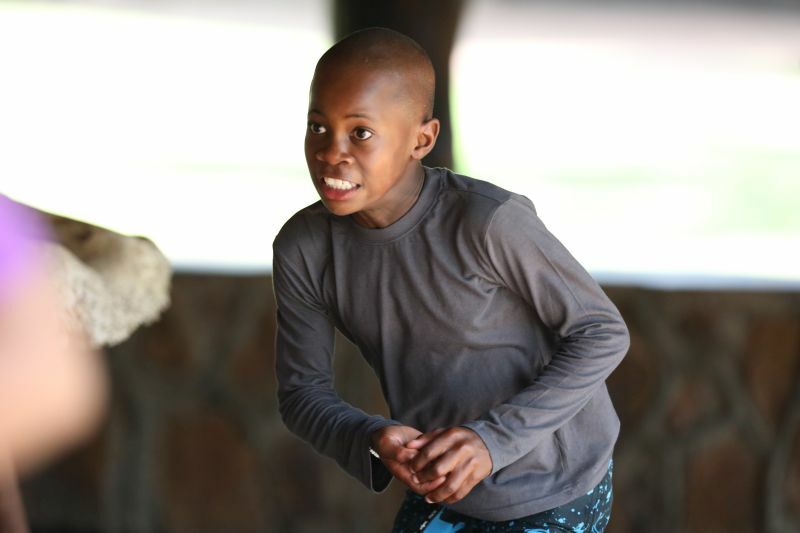 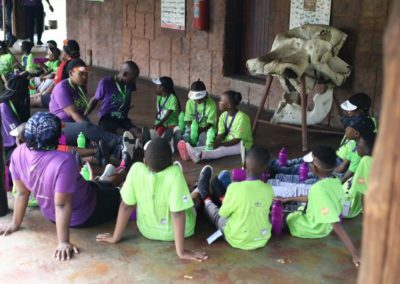 Out of the 45 campers attending this year, only one have attended our camps before which made having camp in the Big 5 game reserve an amazing experience for the children and the wildlife including giraffe, zebra and a variety of buck that they saw on their early morning game drives held them spell bound. 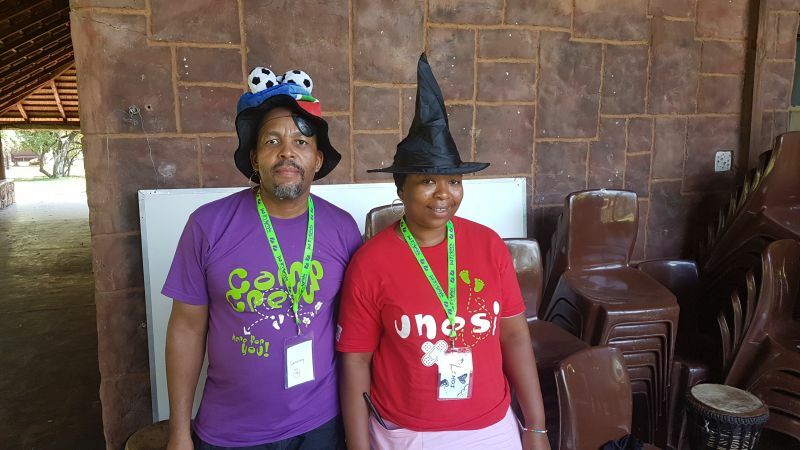 This was also their first time on a game viewer, so this was a double treat for the campers. 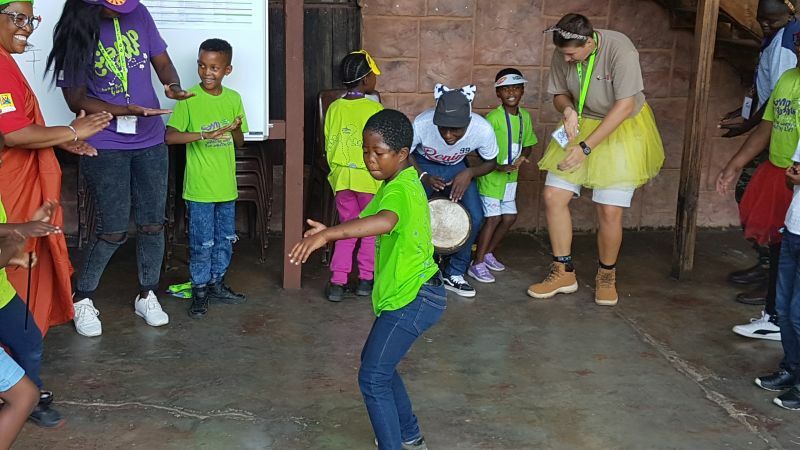 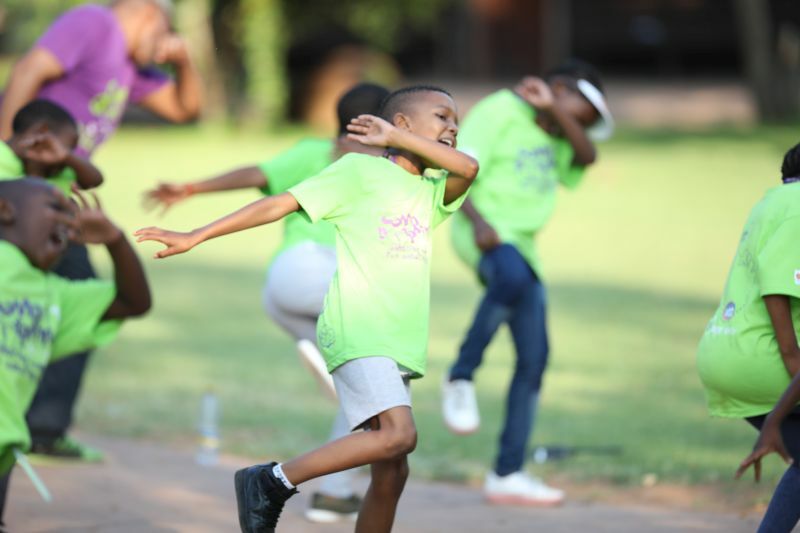 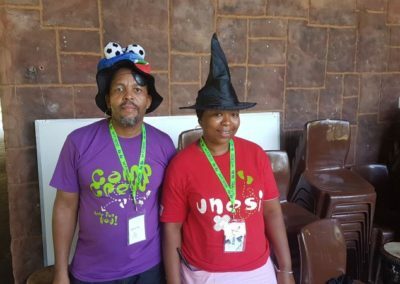 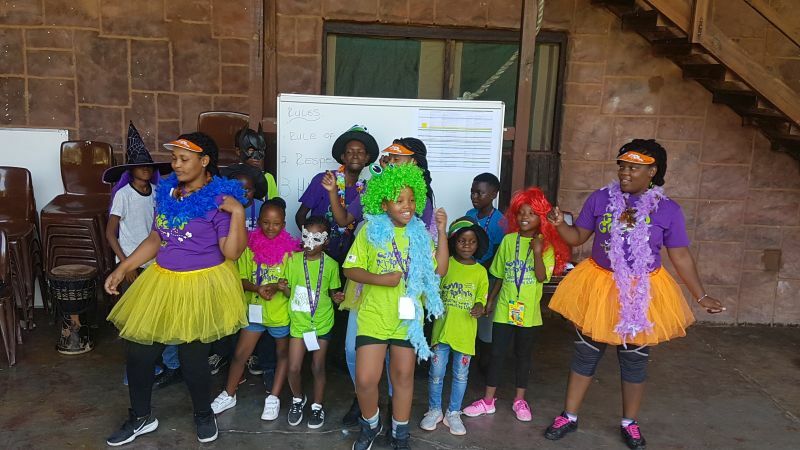 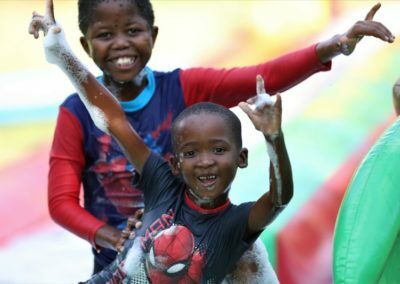 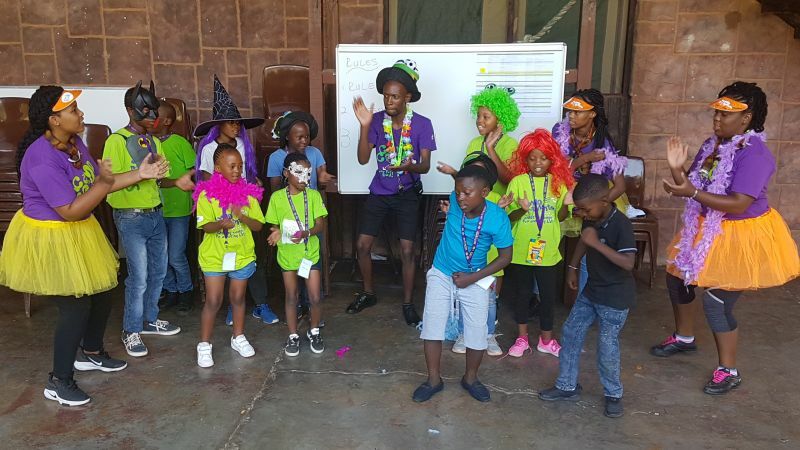 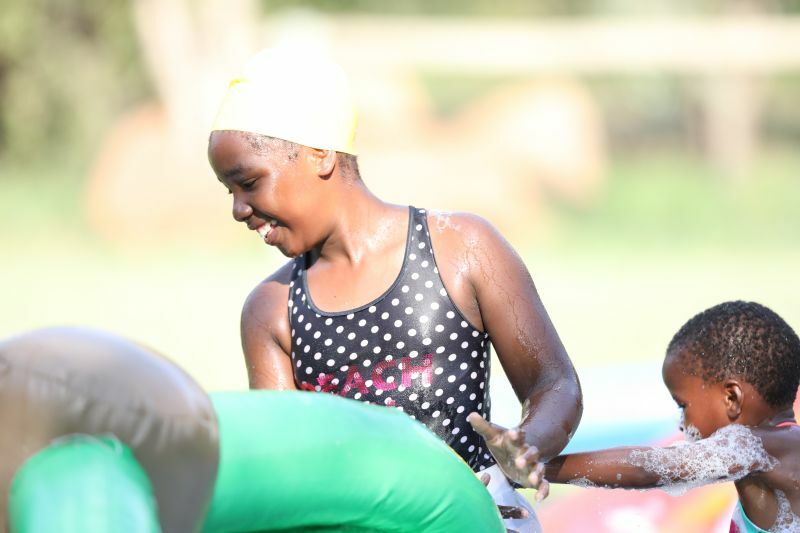 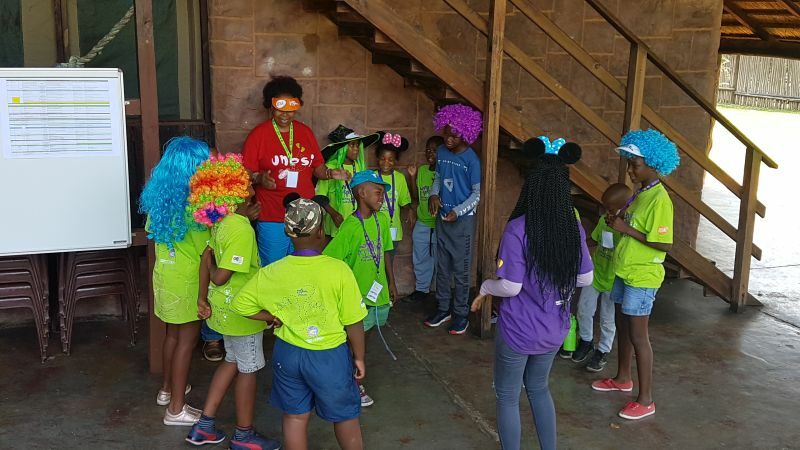 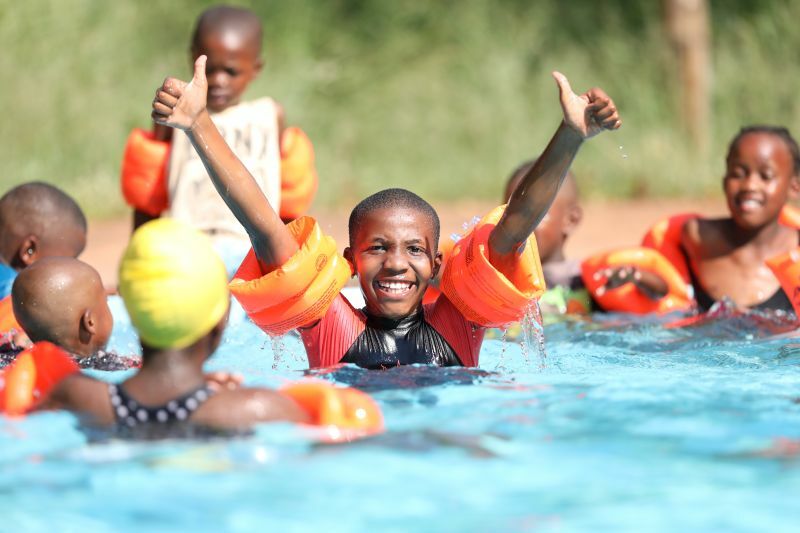 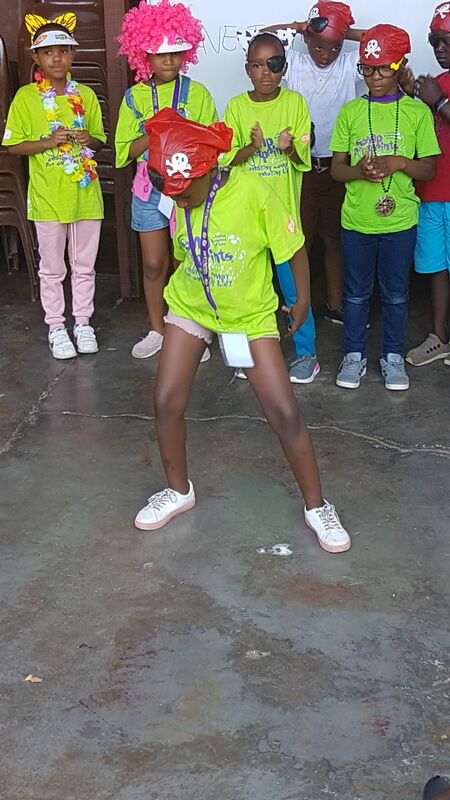 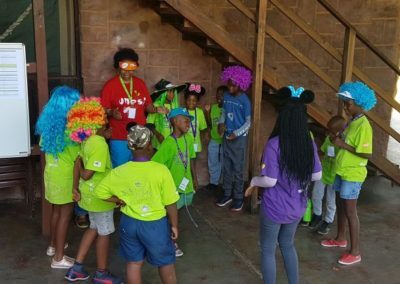 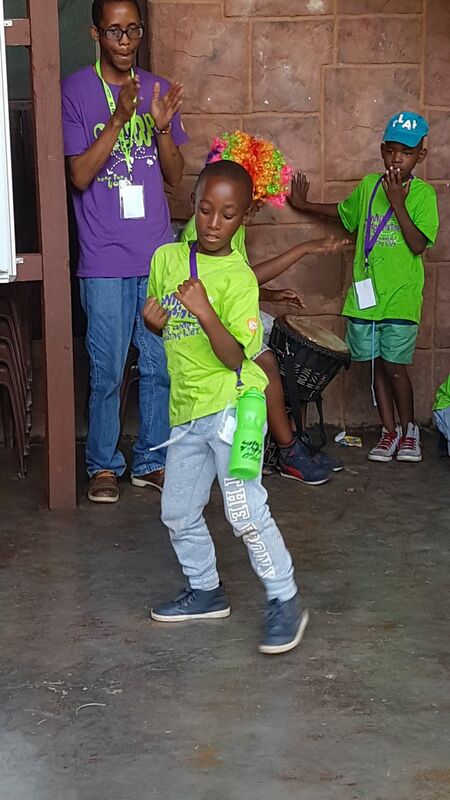 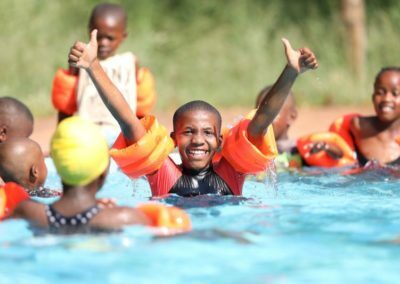 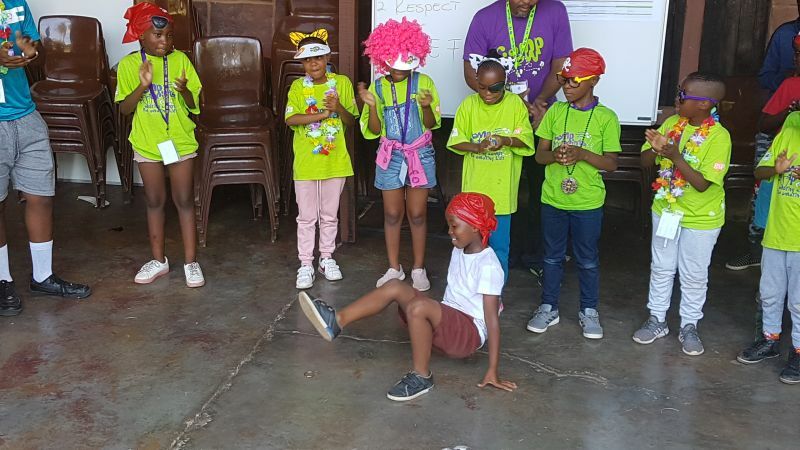 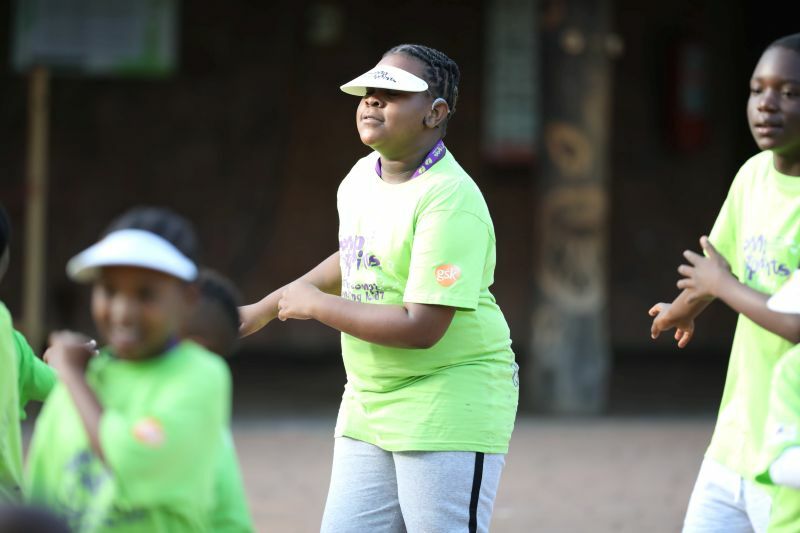 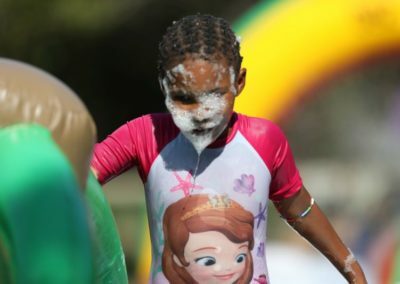 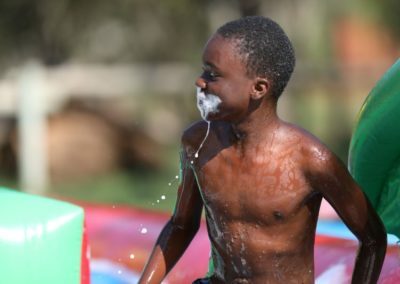 45 campers, 9 volunteers/staff from Surgeons for little lives and 11 JFF staff with 8 facilitators from the campsite and volunteers enjoyed a weekend of sports, swimming and loads of fun and adventure. 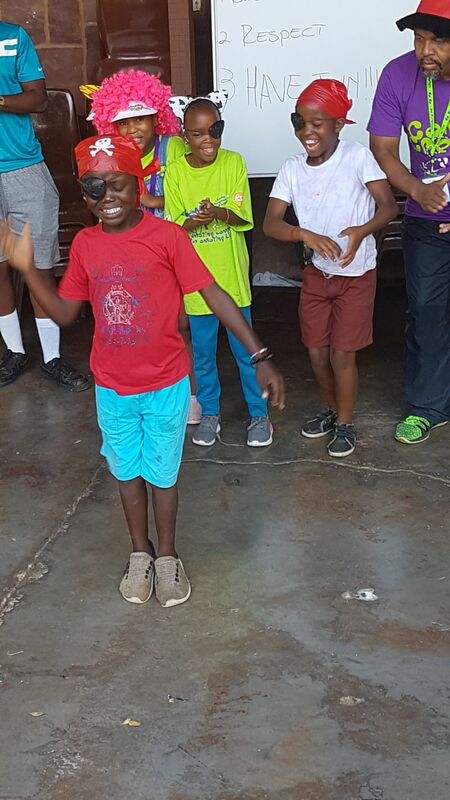 Having recently passed our criteria with our international donor and partner, we were proud to see to every medical need of our campers in our newly built and refurbished Med Schack (medical centre) where our doctor was on site and available throughout the camp. 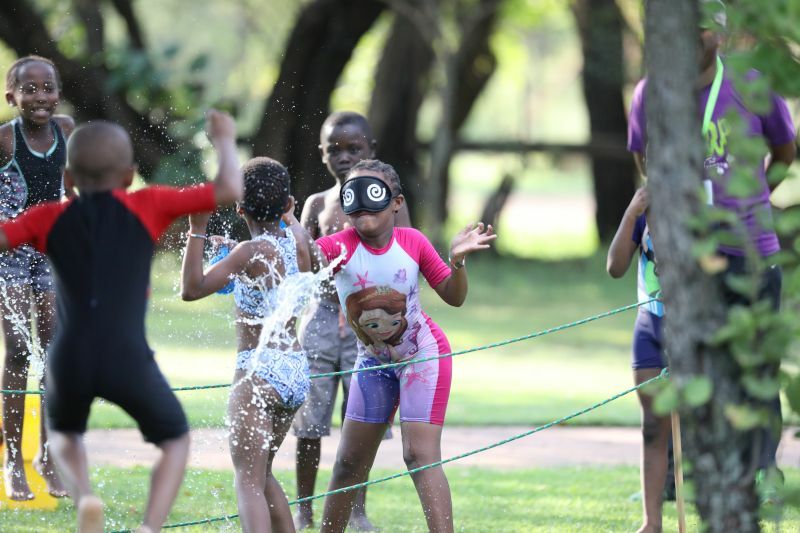 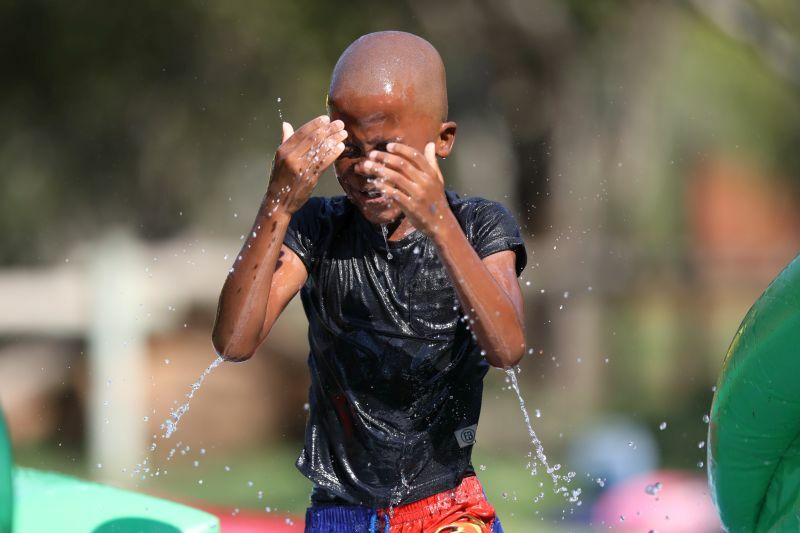 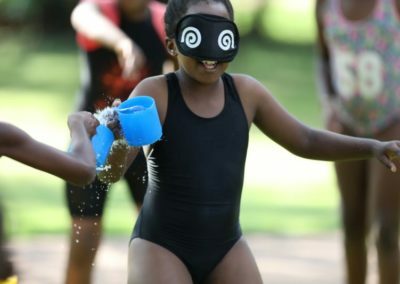 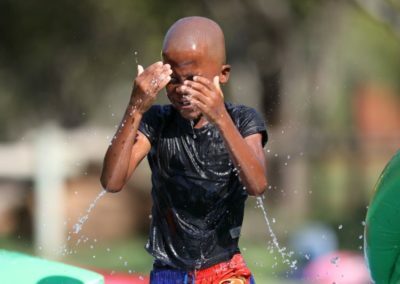 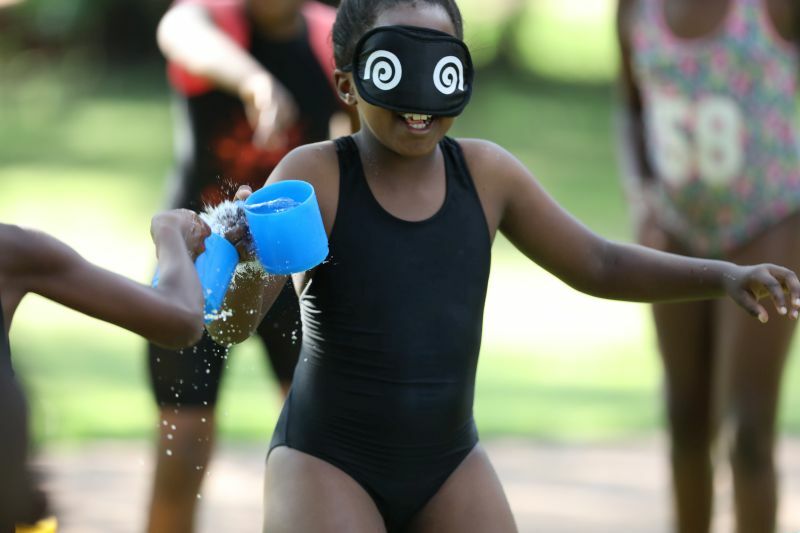 Hygiene – Washing of hands became part of the routine before every meal which tuned into a fun exercise for all. 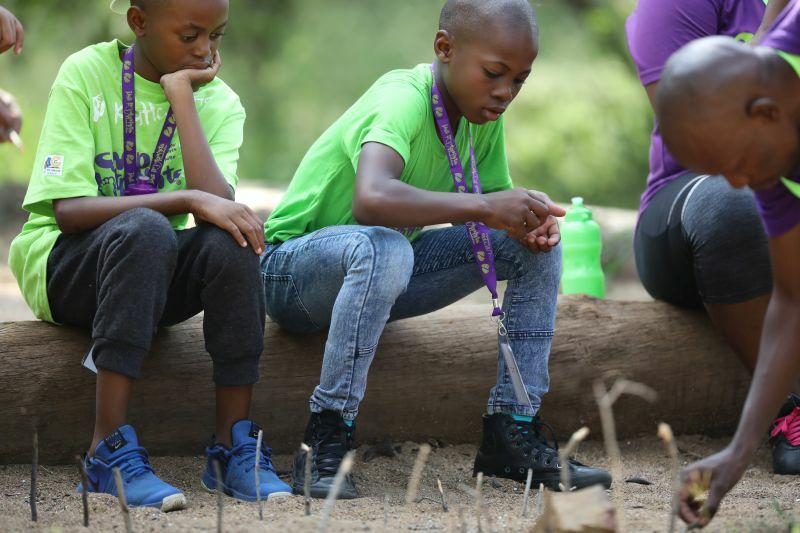 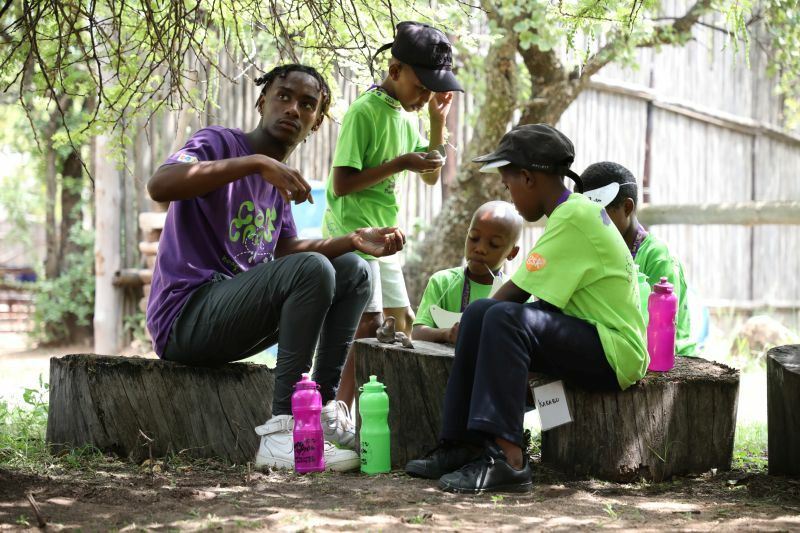 Group work/Teamwork – They were in their body check group for the duration of the camp, they learned how to depend on one another and how work together as a team. 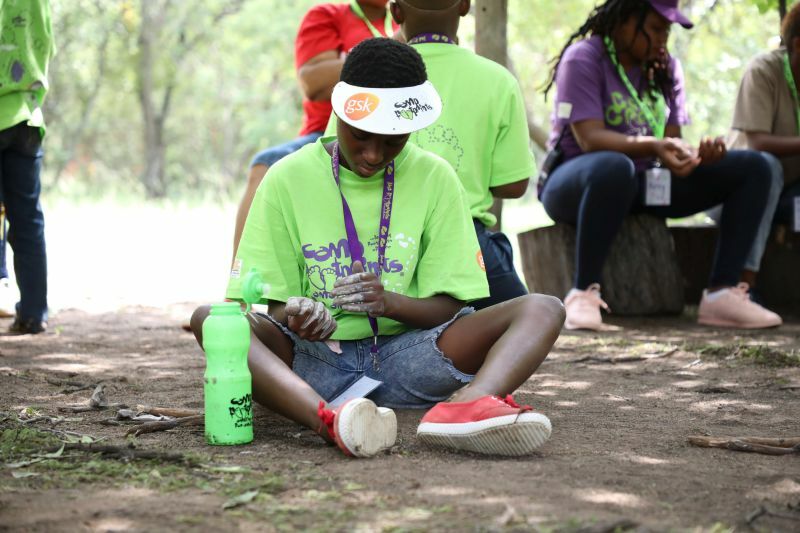 Creative thinking – One of the activities required them to design and make zoo animals for a zoo that they designed themselves. 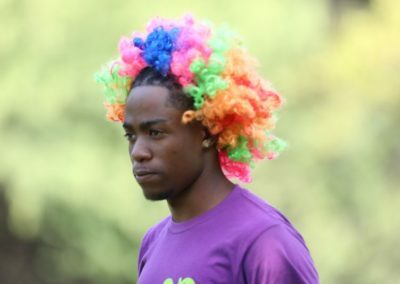 It allowed them to venture into their creative talents. 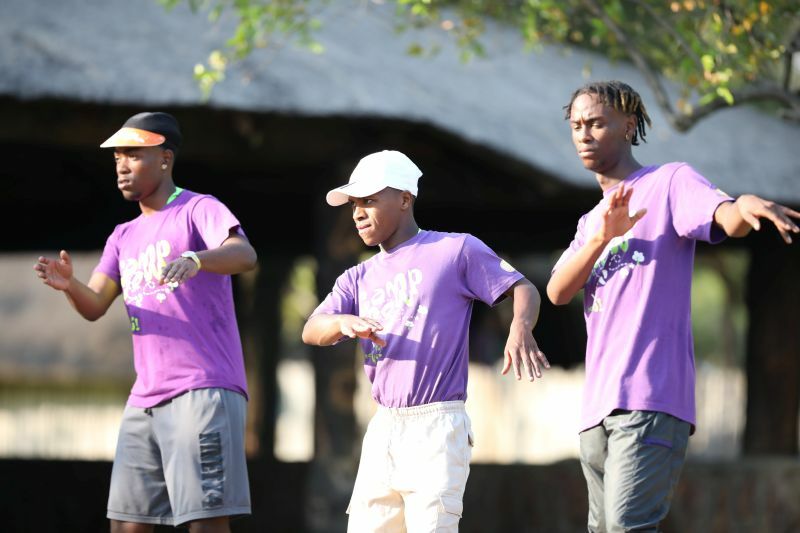 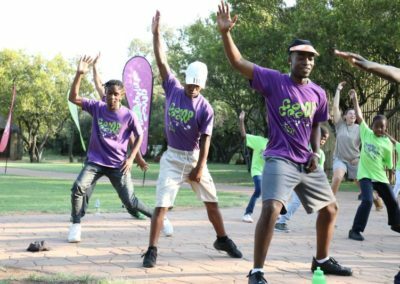 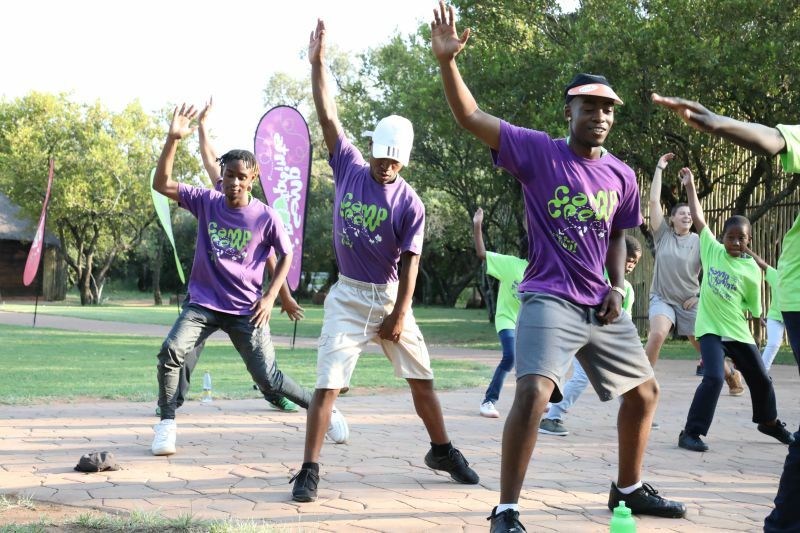 Respect – They were praised and commended on any behaviour that showed respect towards fellow campers and camp crew members. 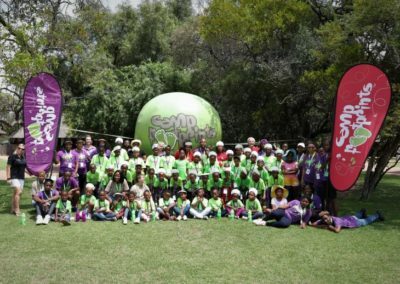 Each camper received a ‘Super Camper Certificate’ during the camp. 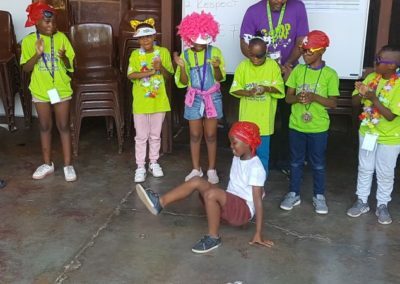 This is a certificate that we hand out in a fun way after every meal to recognize each child according to what the facilitators/crew members observed during camp. 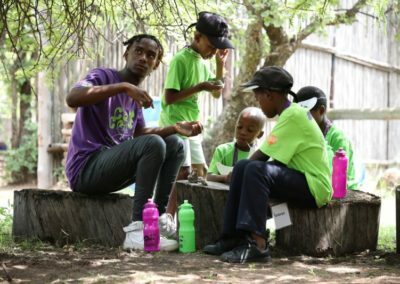 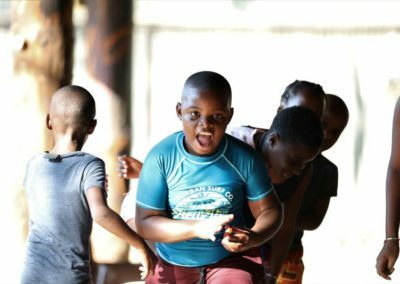 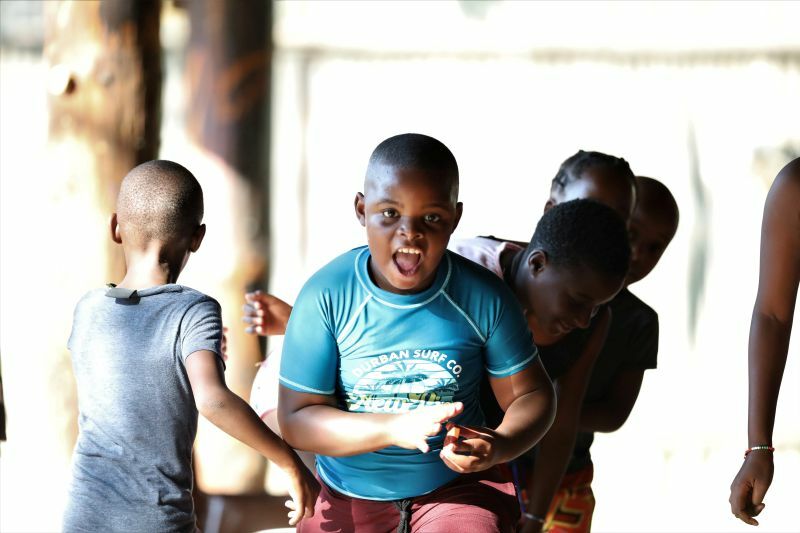 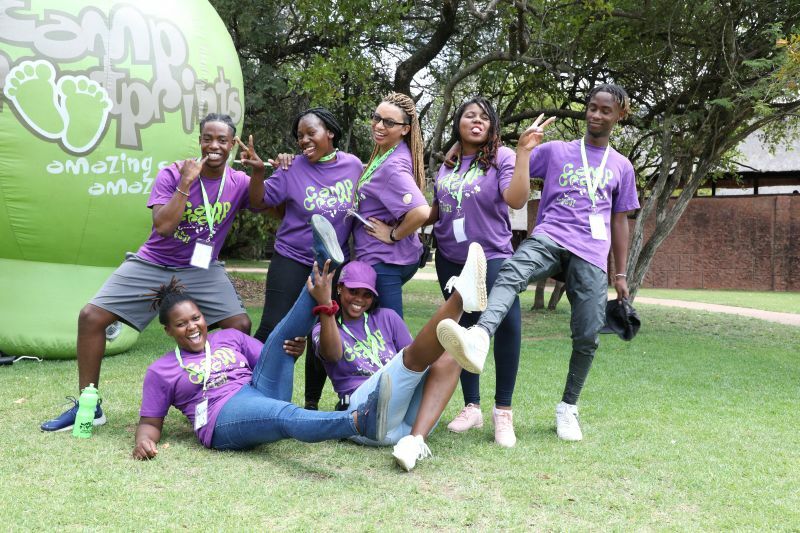 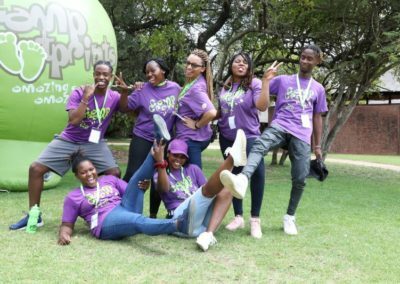 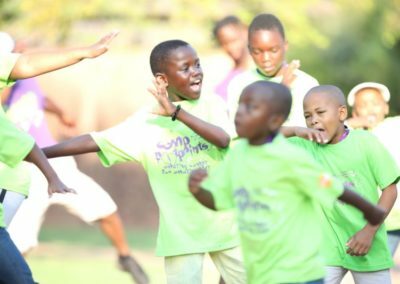 It was such a pleasure to work with all and we are looking forward to a continuous partnership and more amazing camps for these amazing children!